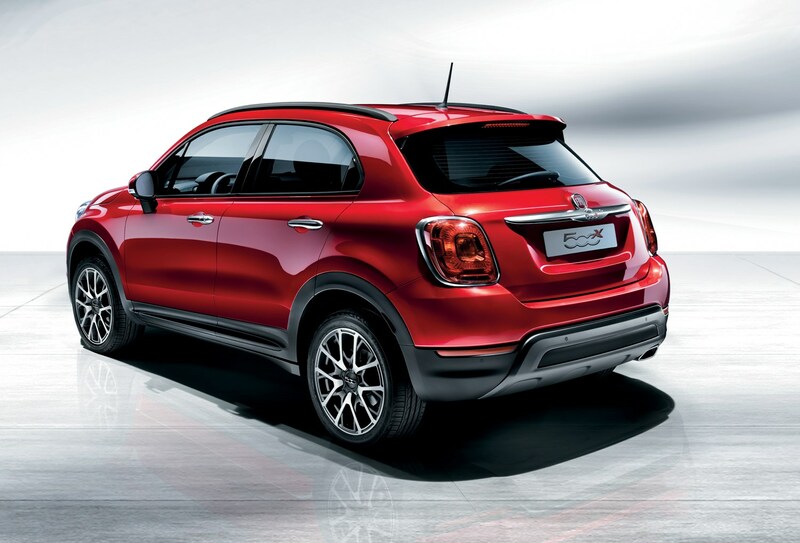 From launch there were two different versions of the 500X to choose from and five trim levels that followed a similar naming structure to the hatchback and 500L models. 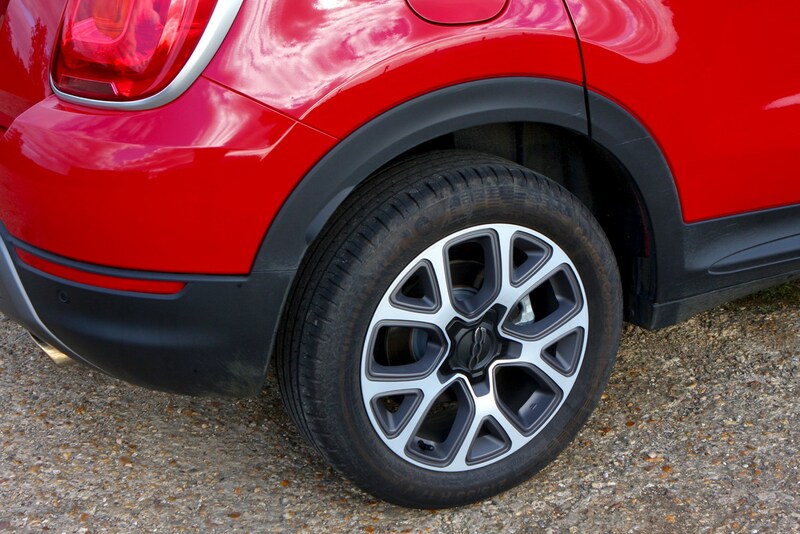 For the two-wheel drive versions you had three trims to choose from - Pop, Pop Star and Lounge - and for those who want off-roading ability the 4x4 versions were available in two trims; Cross and Cross Plus. 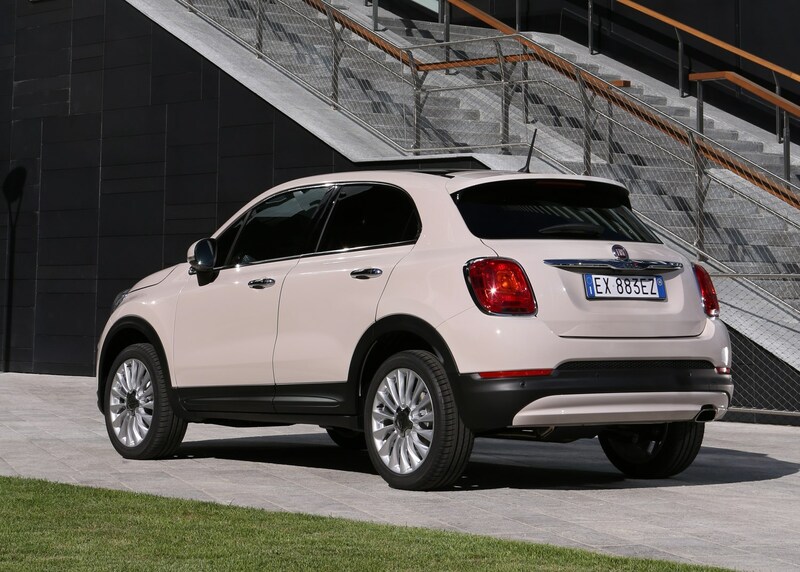 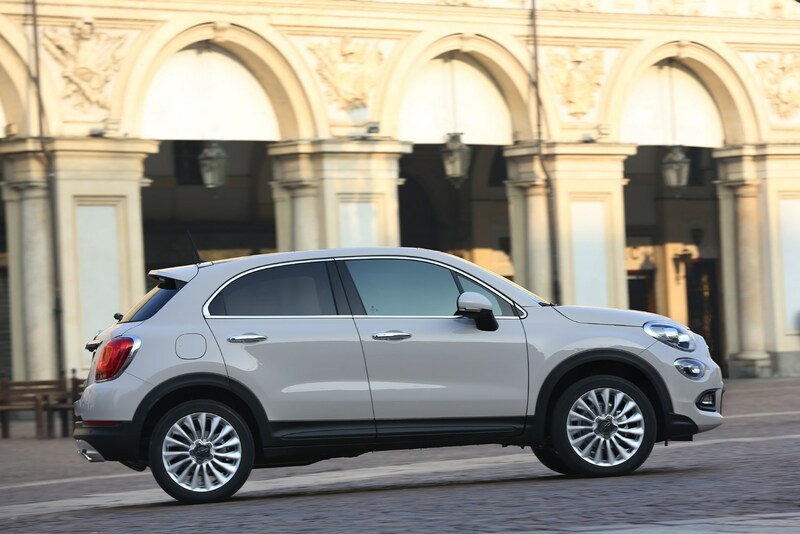 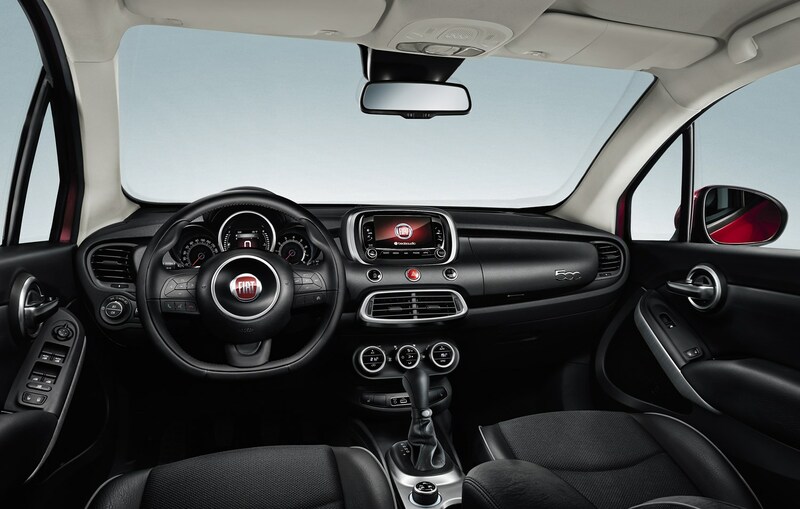 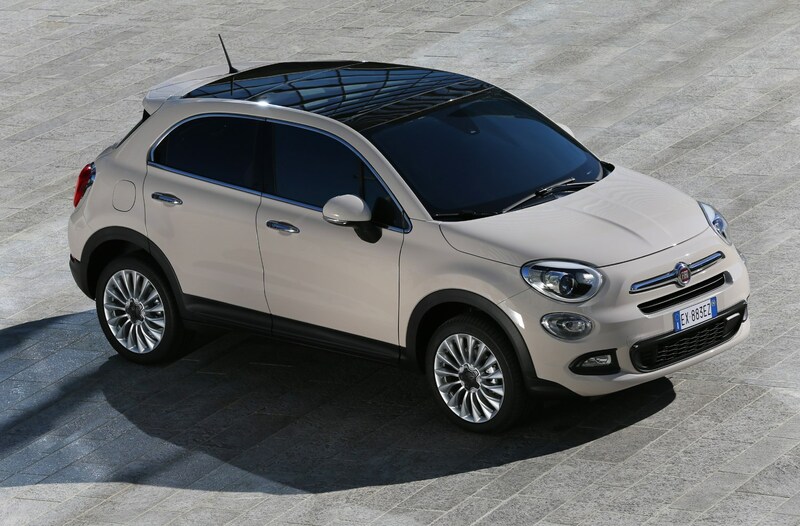 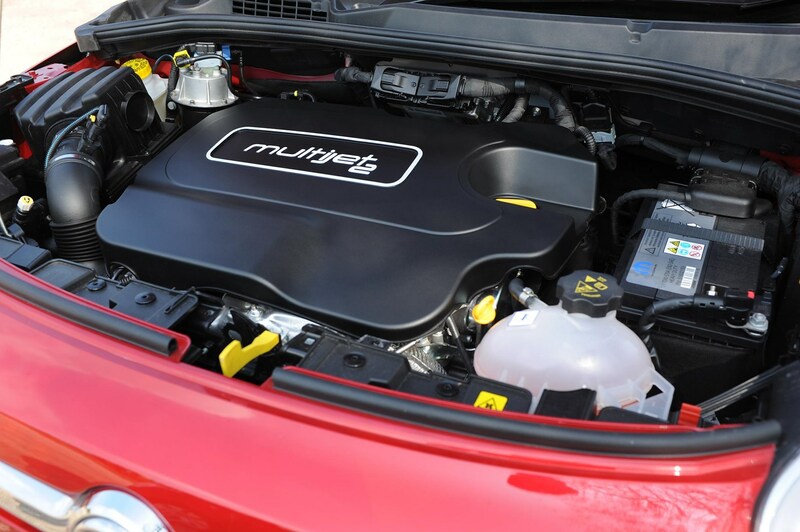 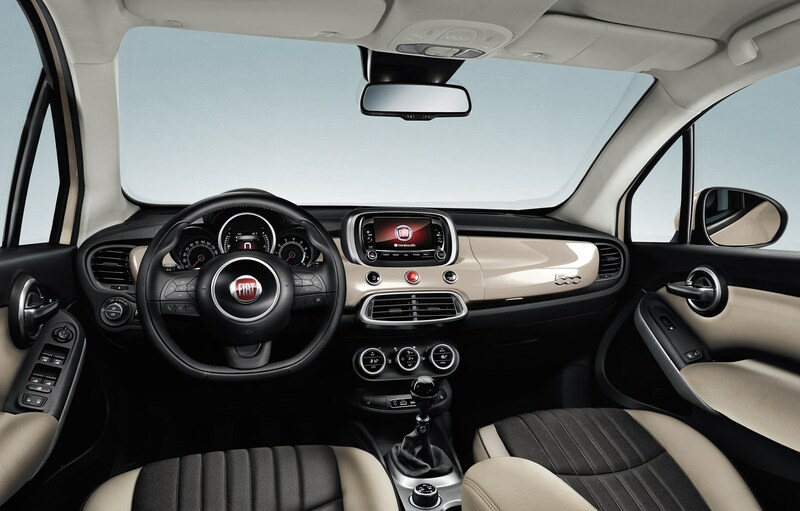 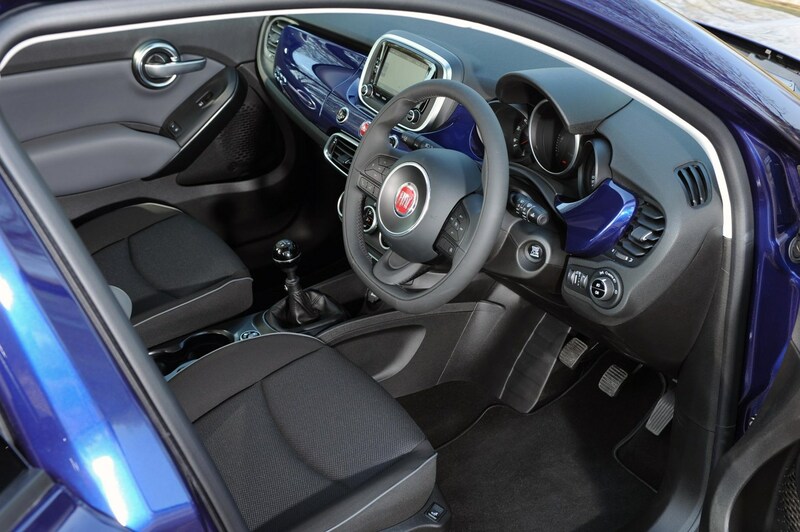 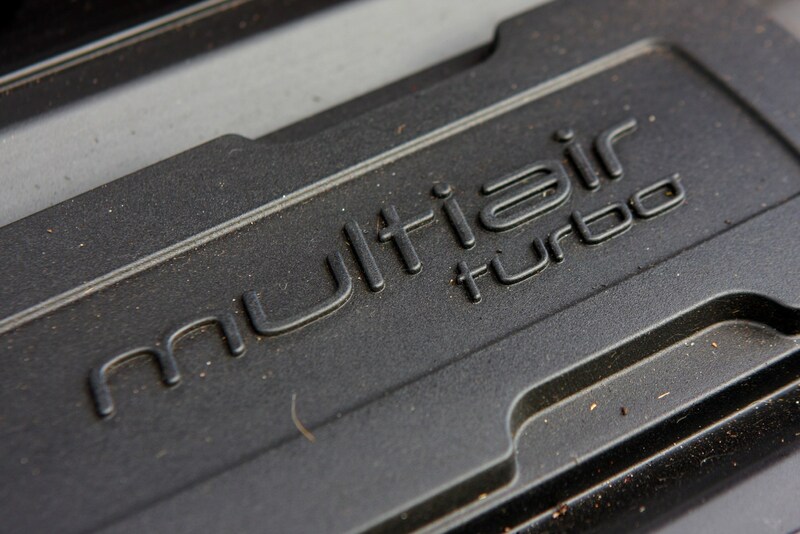 Fiat offered an exclusive Opening Edition of the 500X which was available to order online only and was offered with a choice of three powertrains: a 140hp 1.4 Turbo MultiAir II manual two-wheel drive version, a 120hp 1.6 MultiJet II two-wheel drive manual and a 140hp 2.0 MultiJet II 4x4 nine-speed automatic. 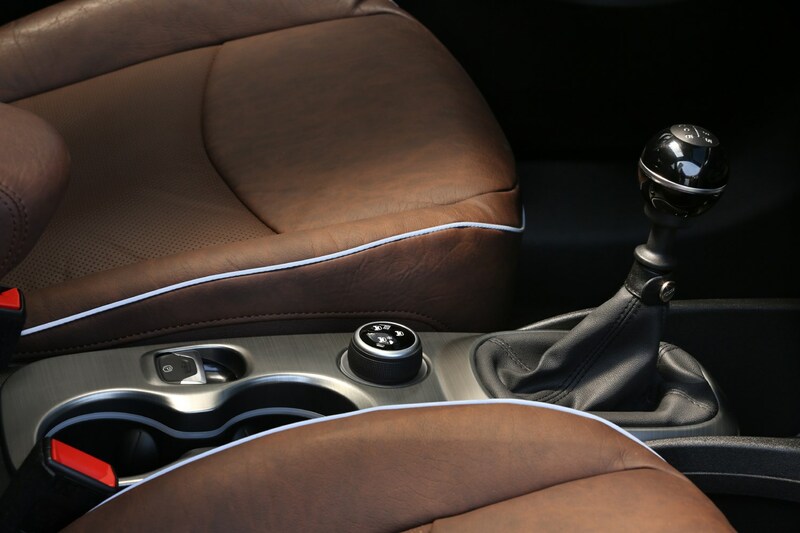 Two-wheel drive models were only available with an Art Grey pastel paint finish and includes a range of features as standard including 18-inch alloy wheels, automatic climate control, Lane Assist, reversing camera, an anti-collision system, Keyless Entry & Go system and electric lumbar adjustment on the front seats – items normally relegated to the options list. 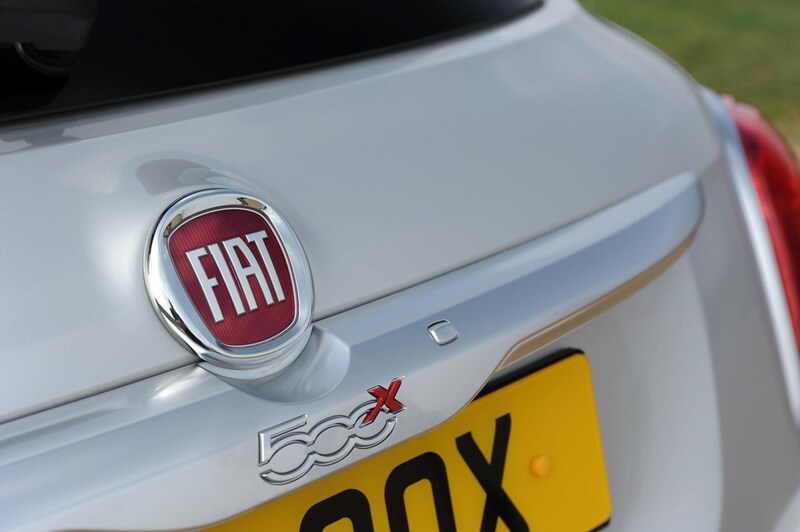 Plus they got an exclusive ‘Opening Edition’ badge. 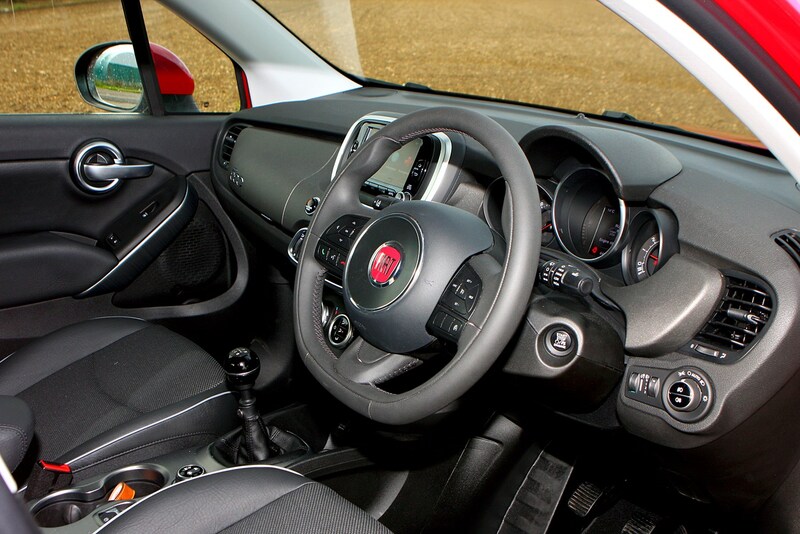 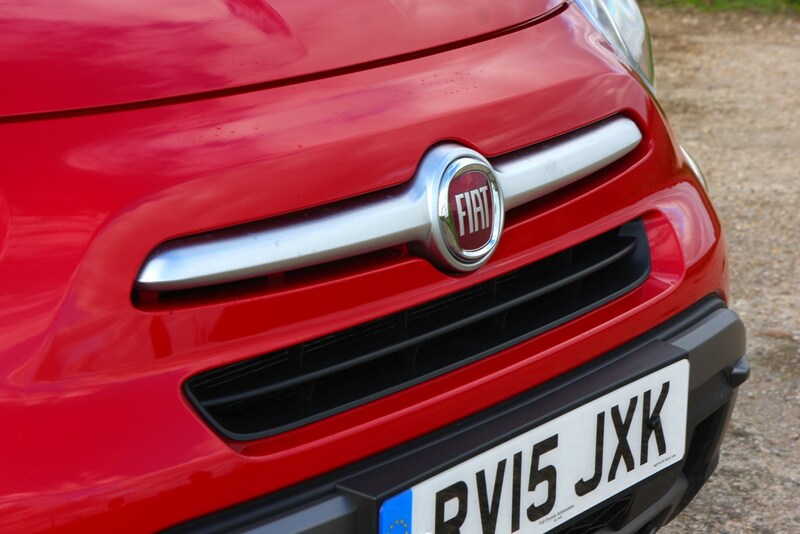 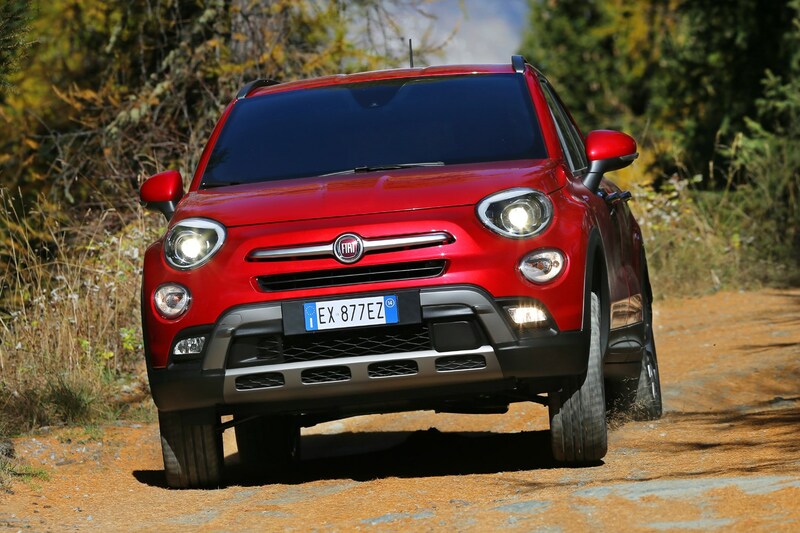 The 4x4 version was offered only in ‘Amore Red’ and, like the two-wheel drive versions, included a range of additional equipment including the Uconnect 6.5-inch infotainment system with sat-nav, a red-and-black leather interior, rain and light sensors and folding door mirrors. 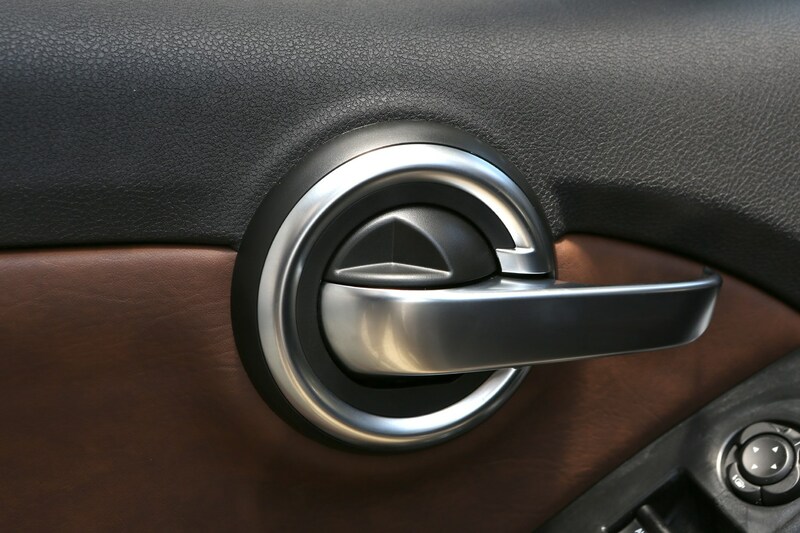 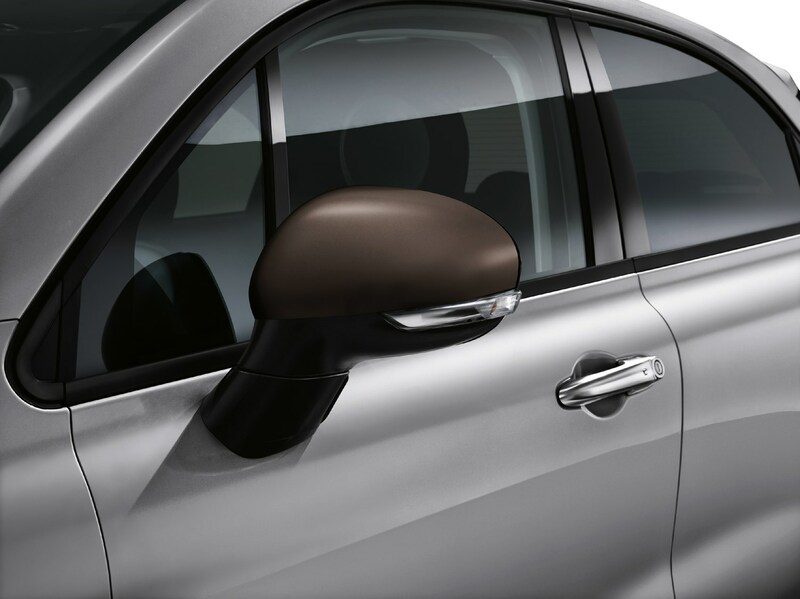 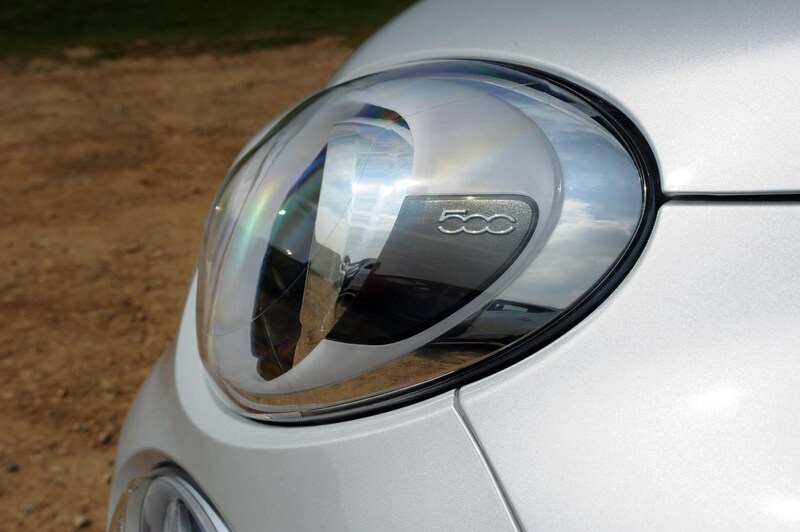 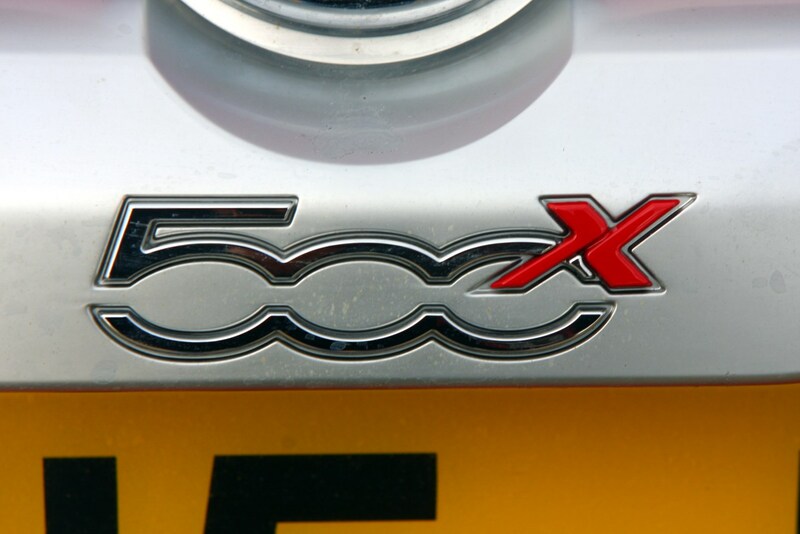 The 500X range started with the Pop trim which offered 16-inch wheels, body coloured front and rear bumpers, electric heated door mirrors, manual air conditioning, daytime running lights, cruise control with speed limiter, electric front and rear windows, a height-adjustable driver's seat and an electric handbrake. 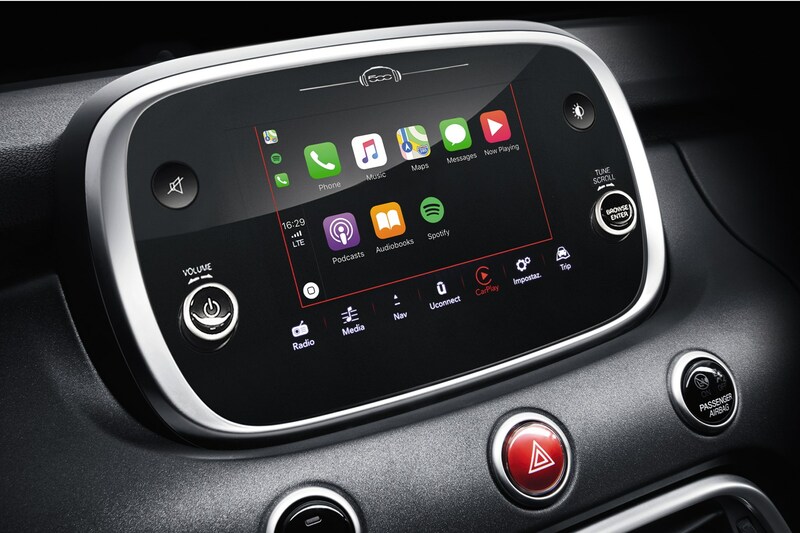 Moving up the range to Pop Star added 17-inch alloy wheels, body-coloured door mirrors, front fog lights, automatic climate control, rear parking sensors, a drive mode selector with three different modes and the Uconnect infotainment system with a five-inch touchscreen featuring Bluetooth, music streaming connectivity and access to apps on your smartphone. 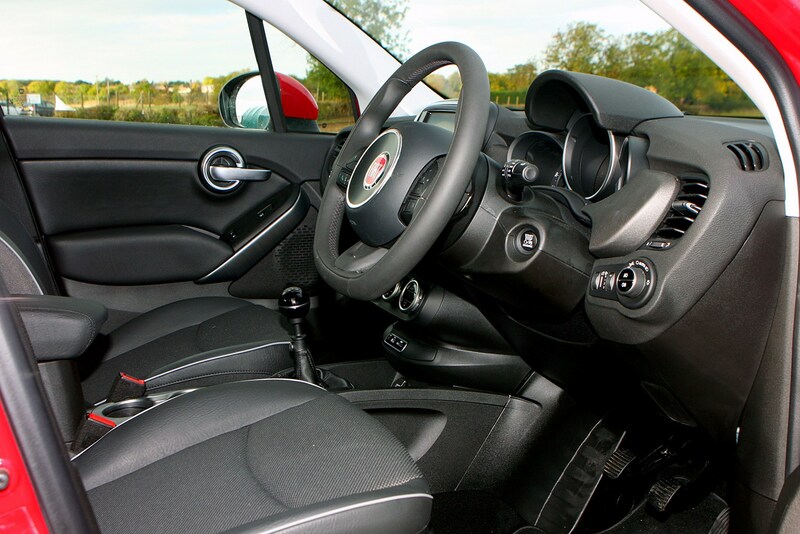 Top of the two-wheel drive range was Lounge which offered 18-inch alloy wheels with gloss silver finish, tinted windows and exterior chrome trim, a 6.5-inch Uconnect infotainment system with navigation, an adjustable cargo floor, adjustable front armrest with storage, ambient interior lighting and front floor mats. 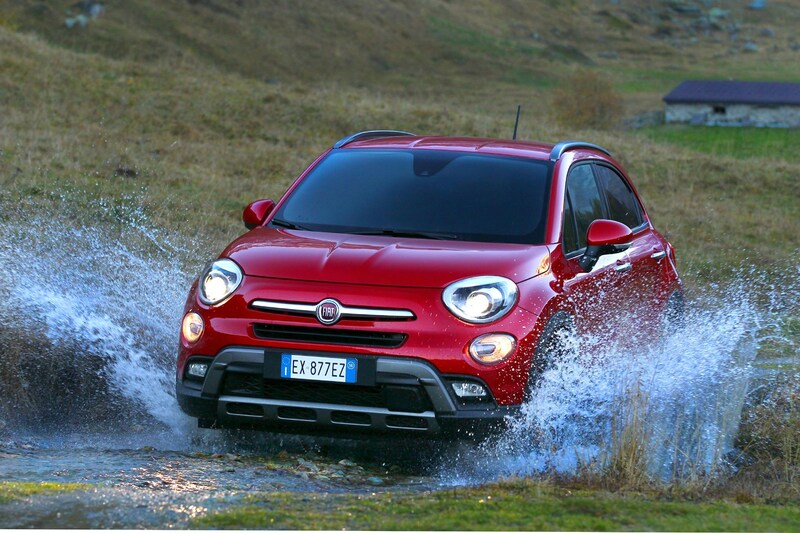 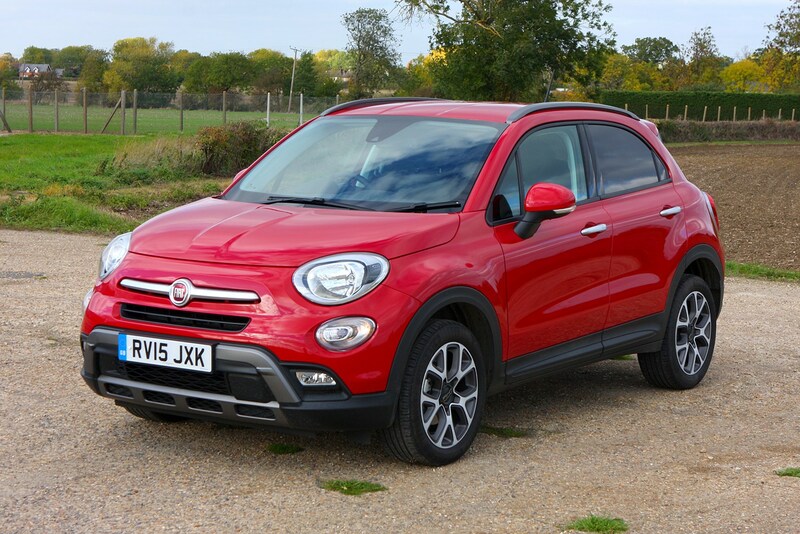 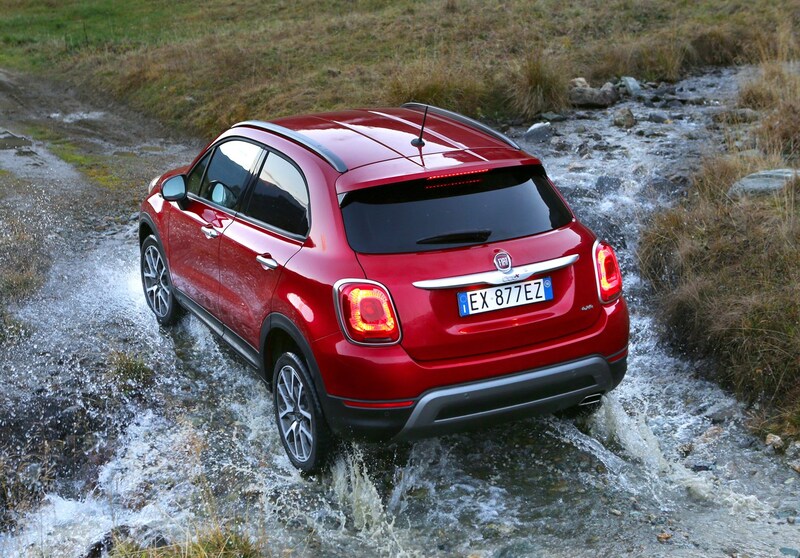 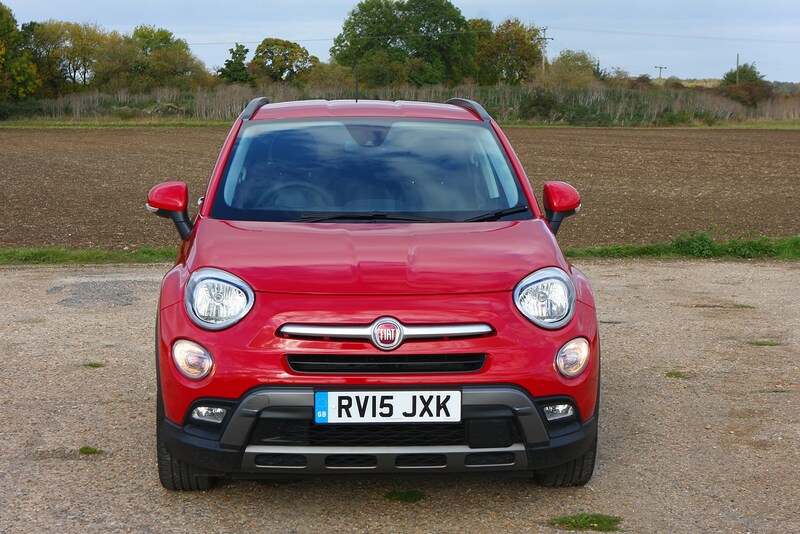 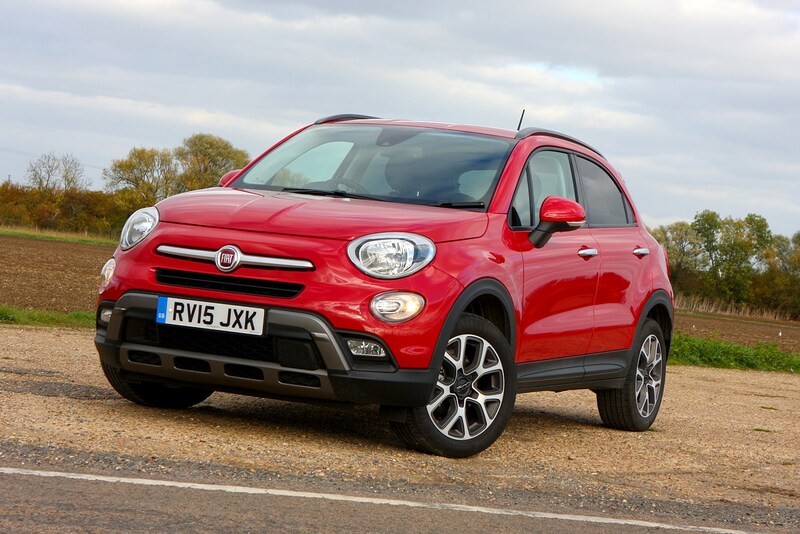 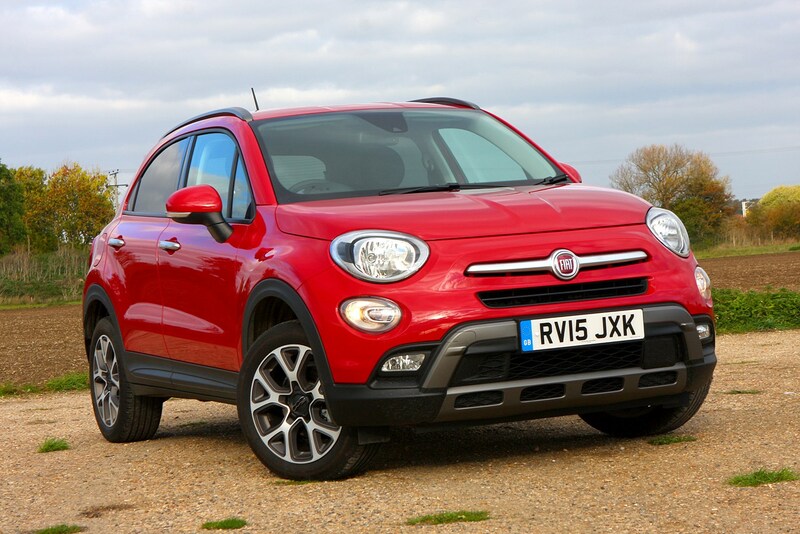 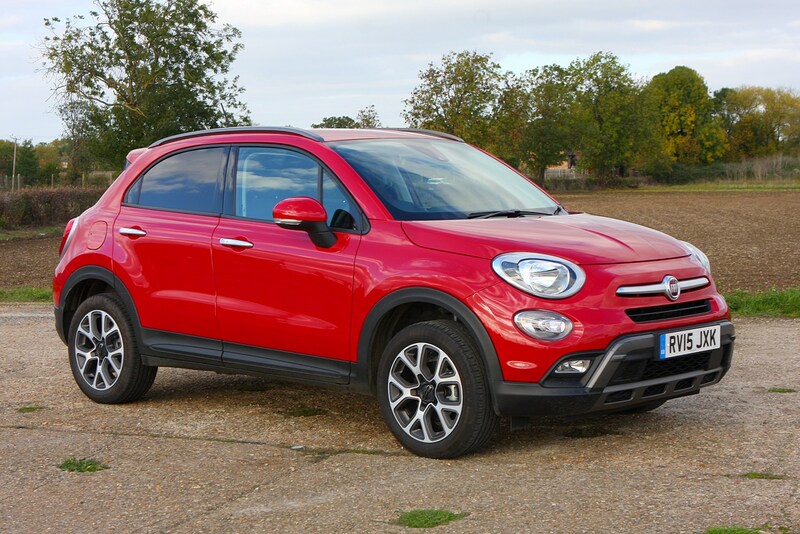 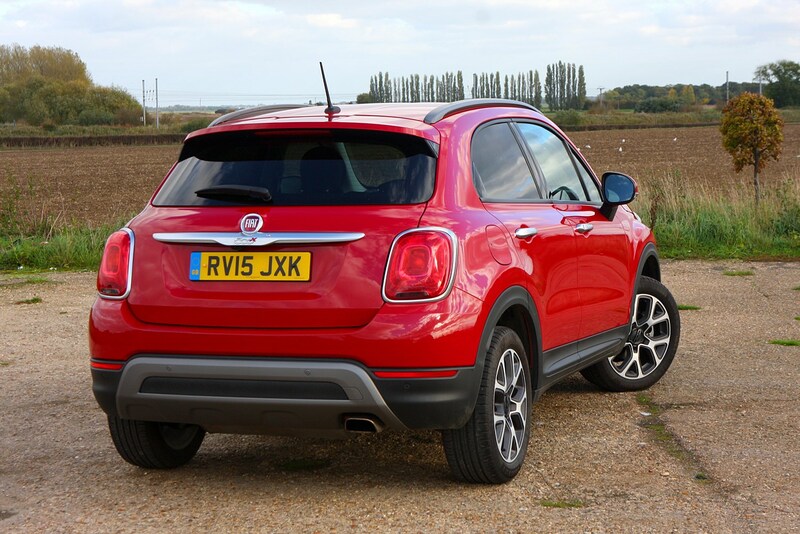 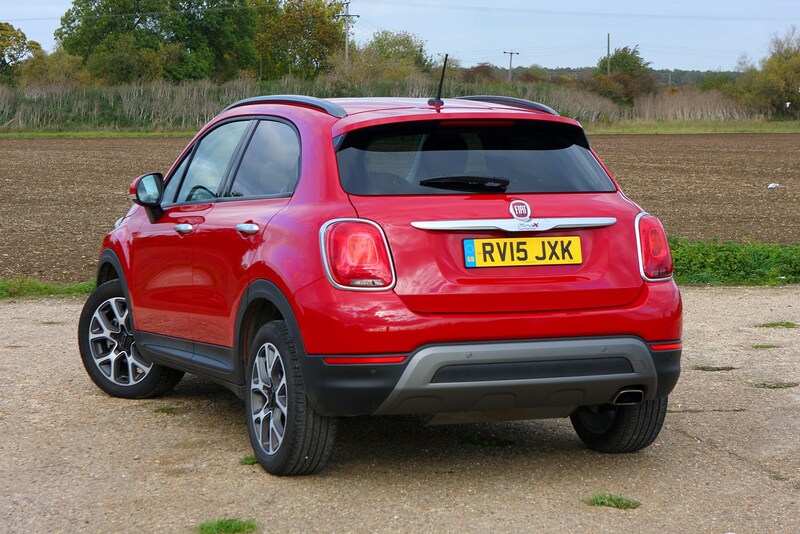 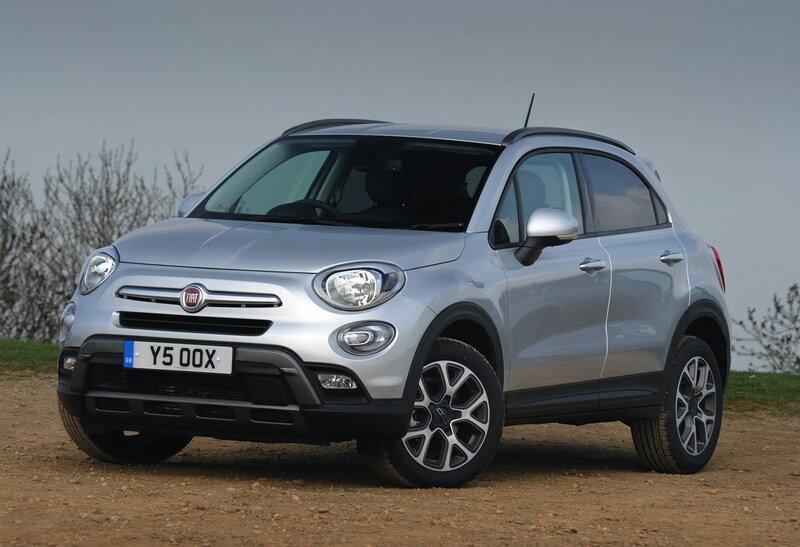 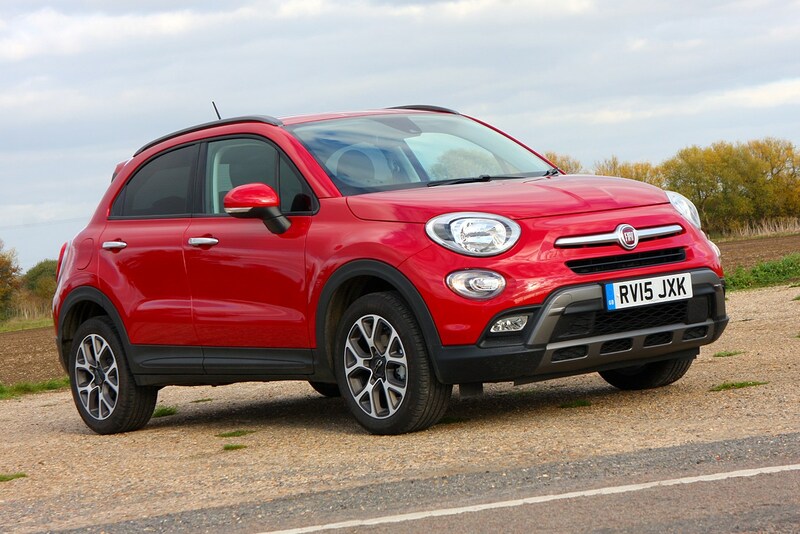 If you are looking for a Fiat 500X with off-roading ability then you had two trims to choose from; Cross and Cross Plus. 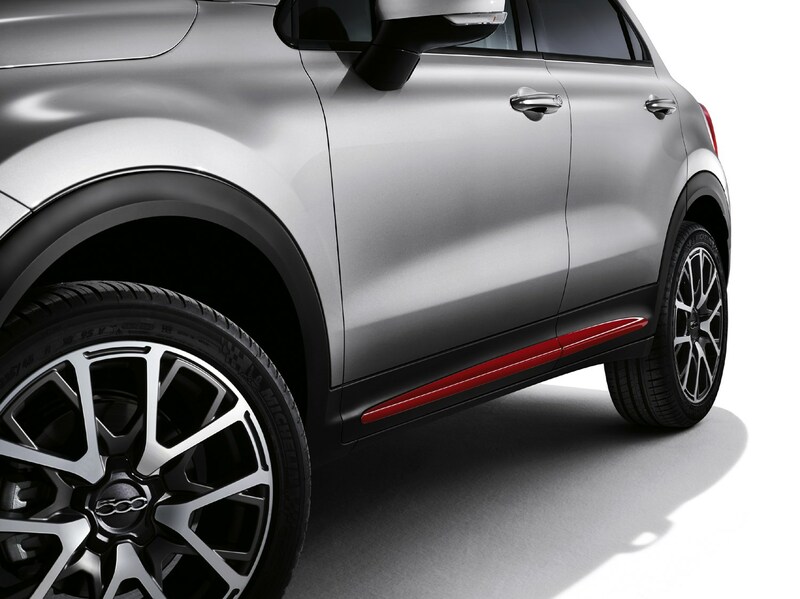 The Cross trim came with all the kit available in Pop Star trim with the inclusion of a Traction Plus system, dark tinted rear windows, roof bars, unique bumpers front and rear with chrome exhaust trims, Cross-specific 17-inch alloy wheels, a special dashboard finish and an adjustable front armrest with storage as standard. 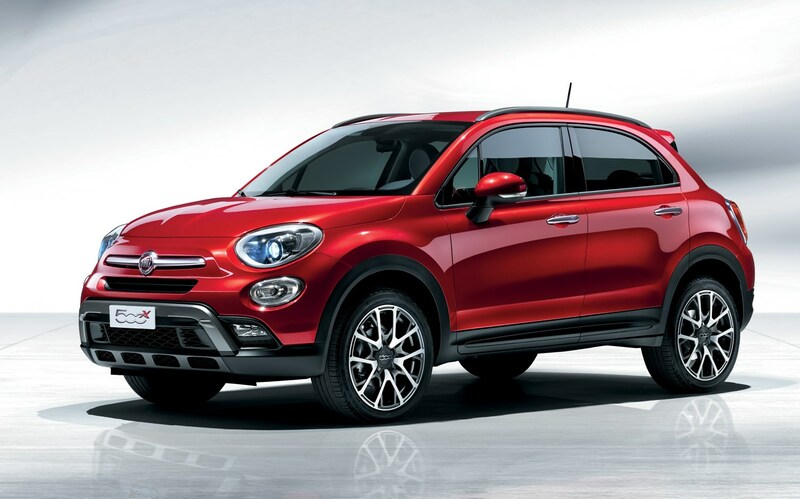 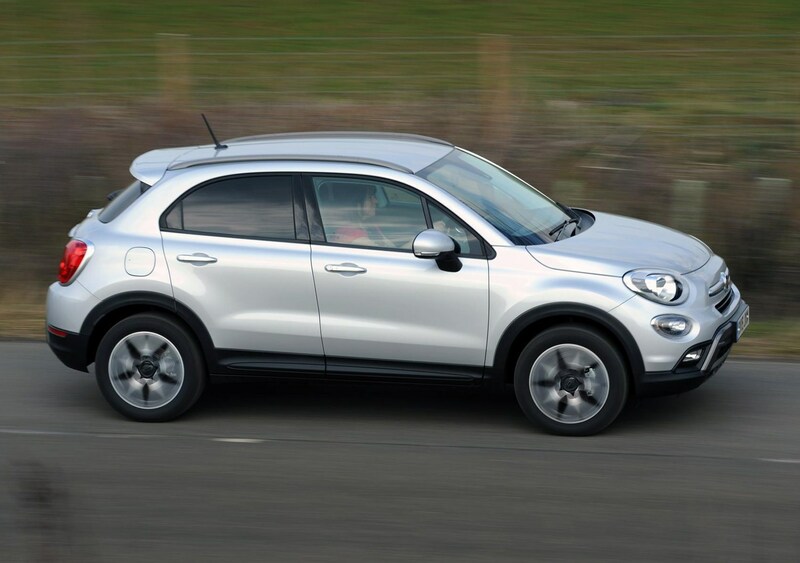 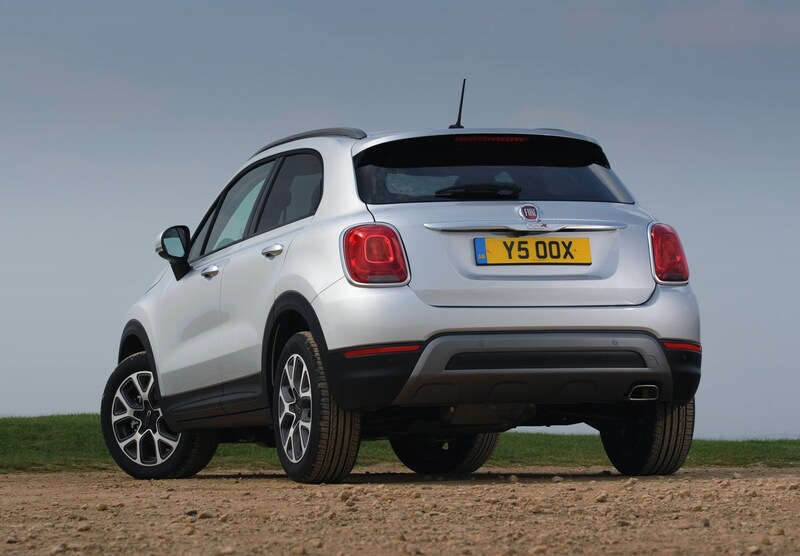 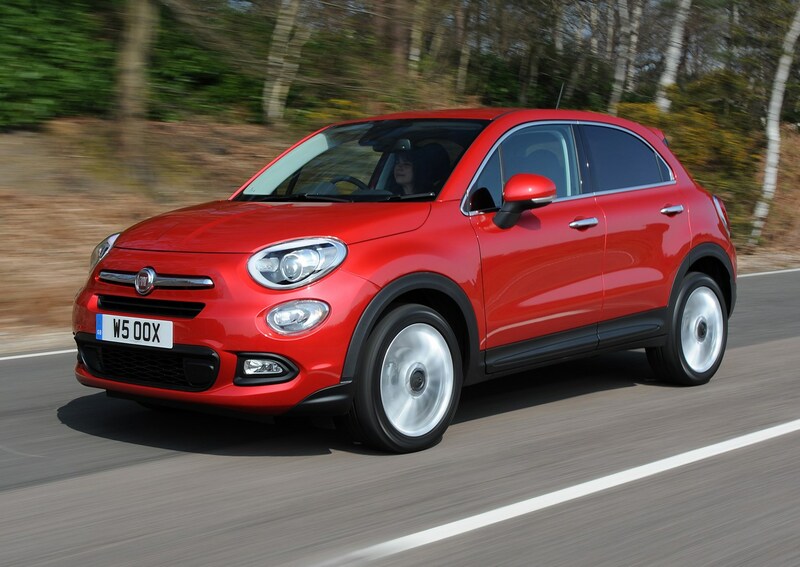 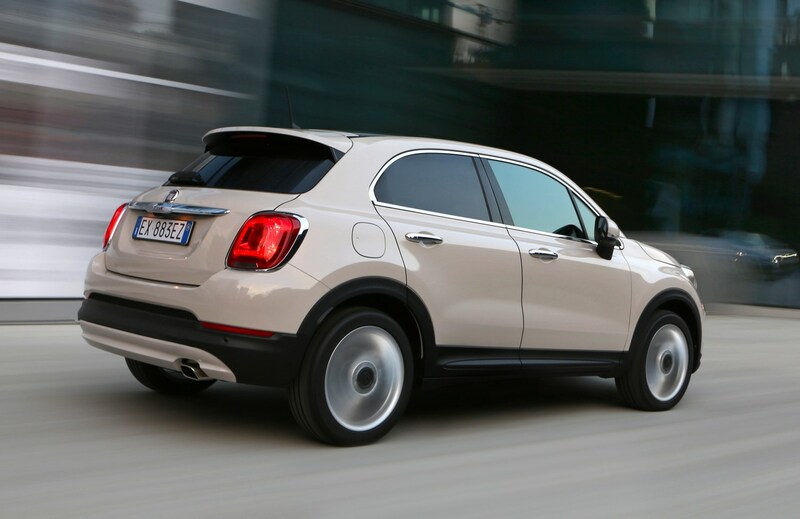 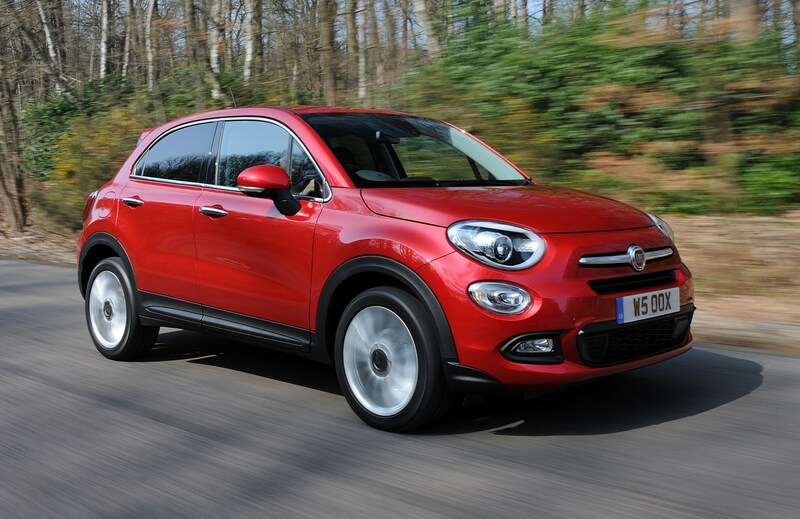 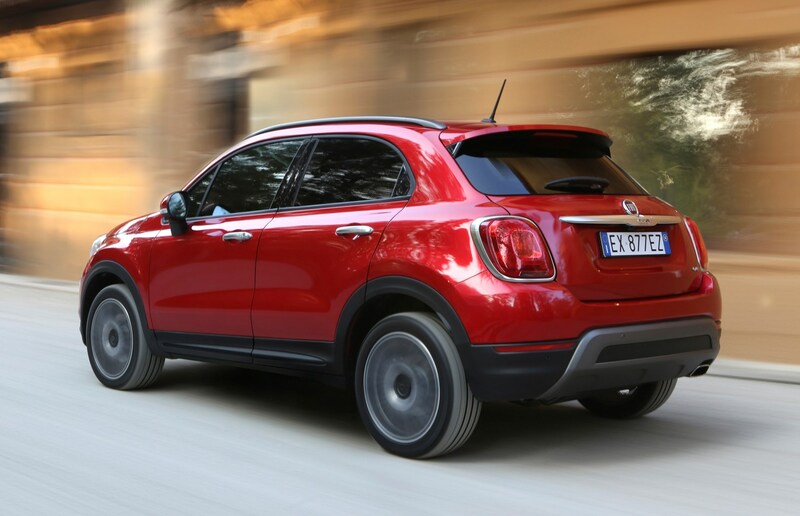 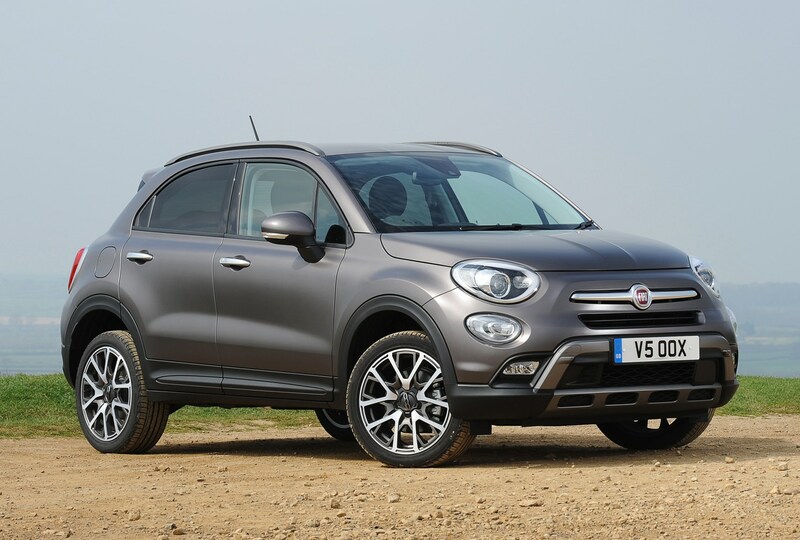 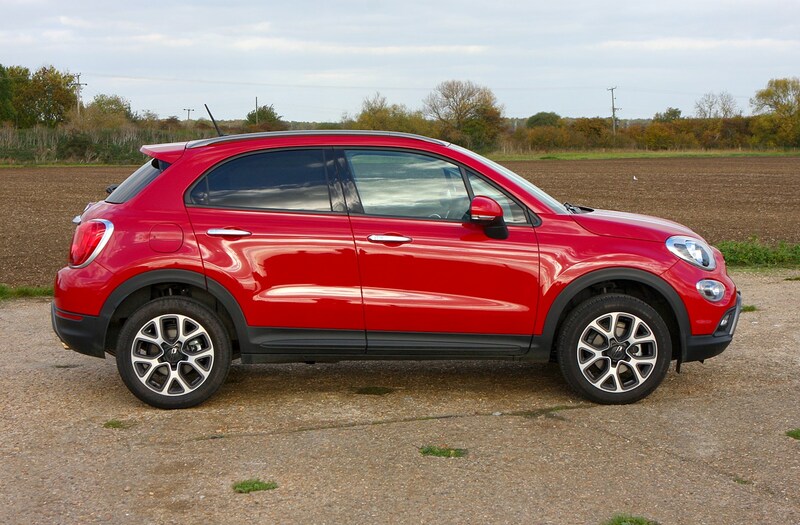 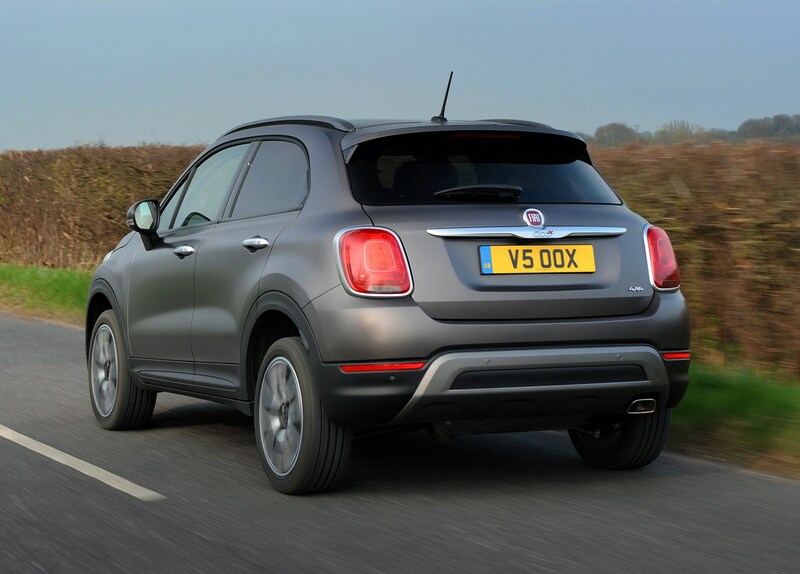 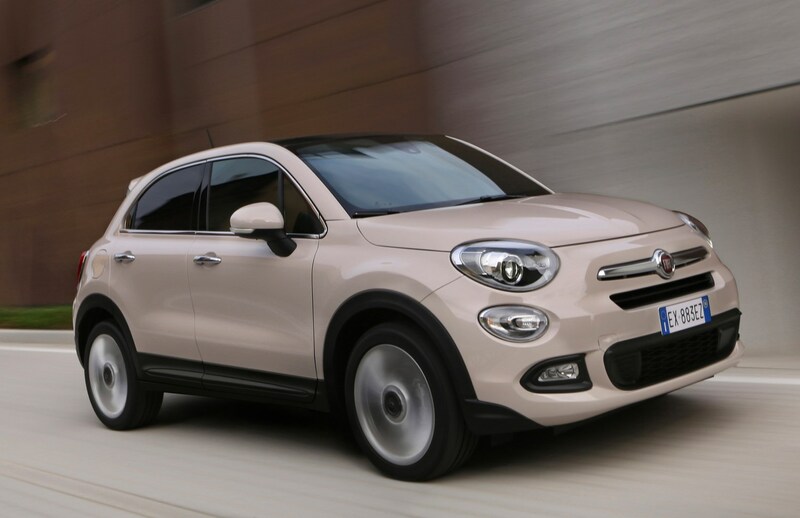 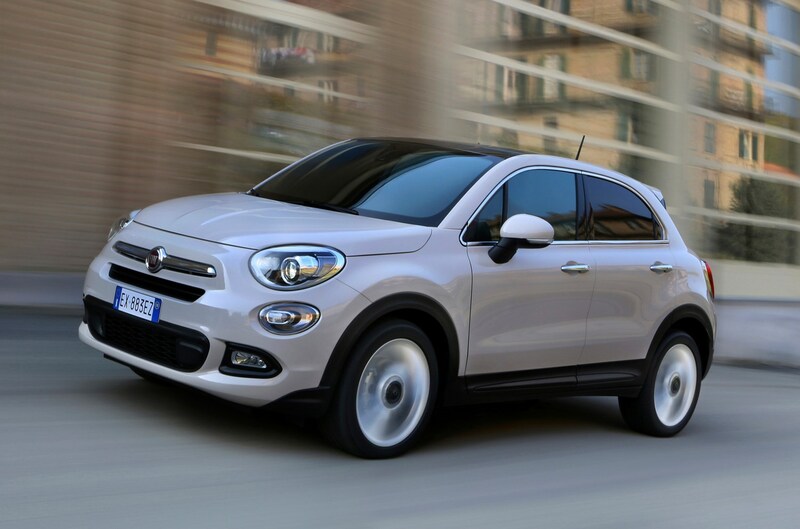 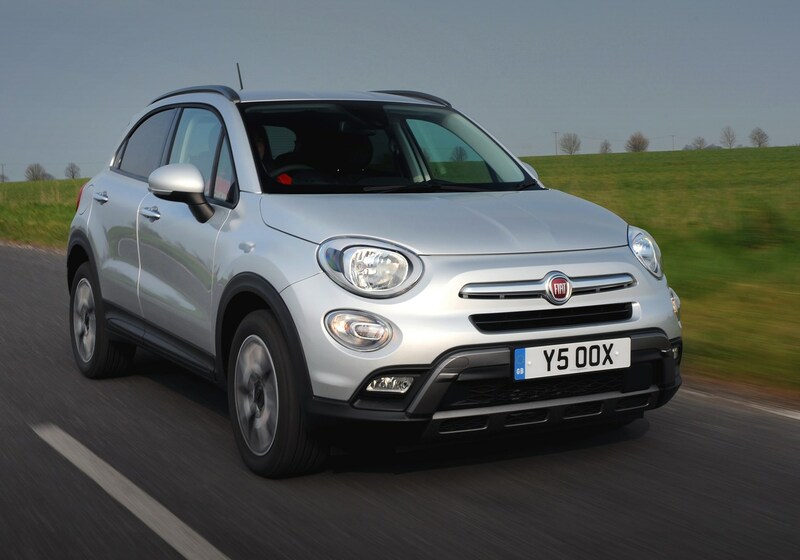 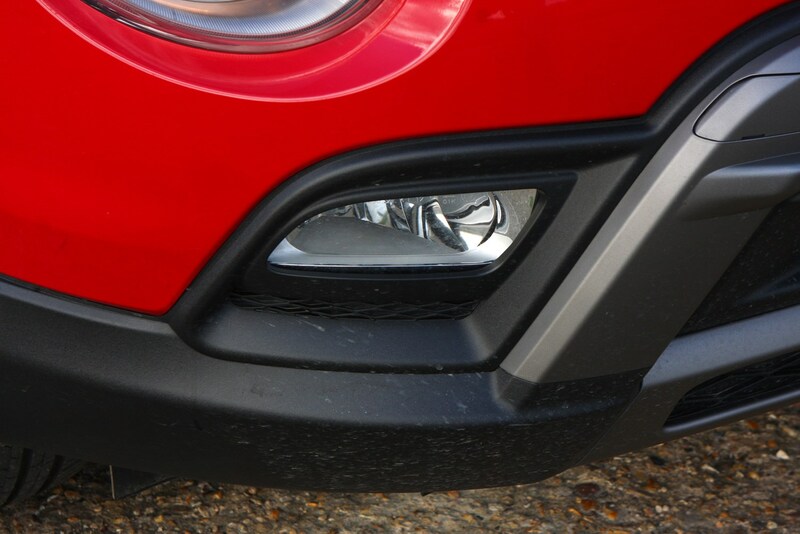 The range-topping Fiat 500X Cross Plus built on the specification of the Cross adding HID headlamps, an adjustable cargo floor, front floor mats, Cross Plus-specific 18-inch alloy wheels; the 6.5-inch Uconnect infotainment system with 3D navigation and ambient interior lighting. 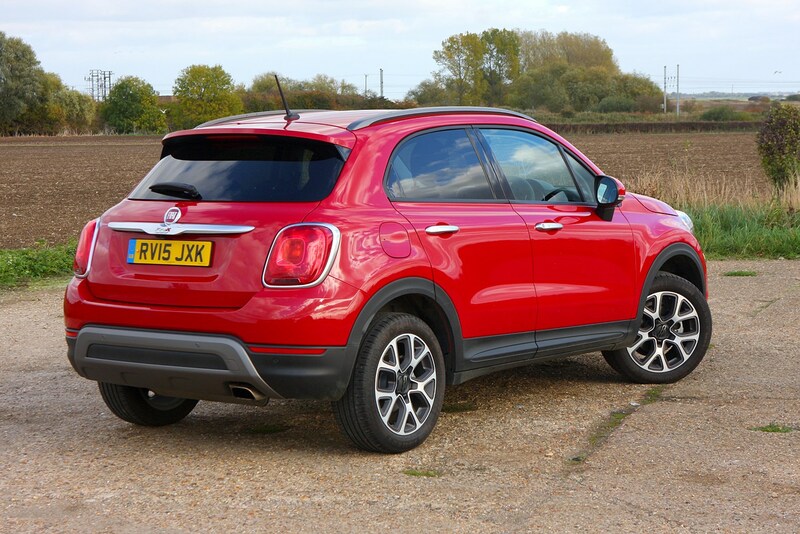 The Fiat 500X had 12 colours to choose from at launch, plus a range of optional kit available depending on the trim you chose. 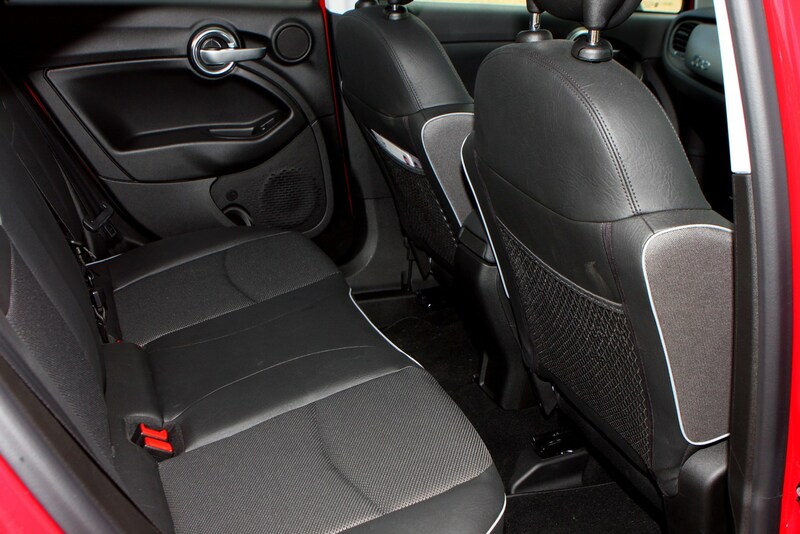 Option packs that were worth considering included the Safety Pack which bundles Lane Assist, Blind Spot Assist, ParkView reversing camera and a new Brake Anti-collision system together and the Comfort Pack which includes Keyless Entry & Go; front armrest and electric lumbar adjustment on the front seats. 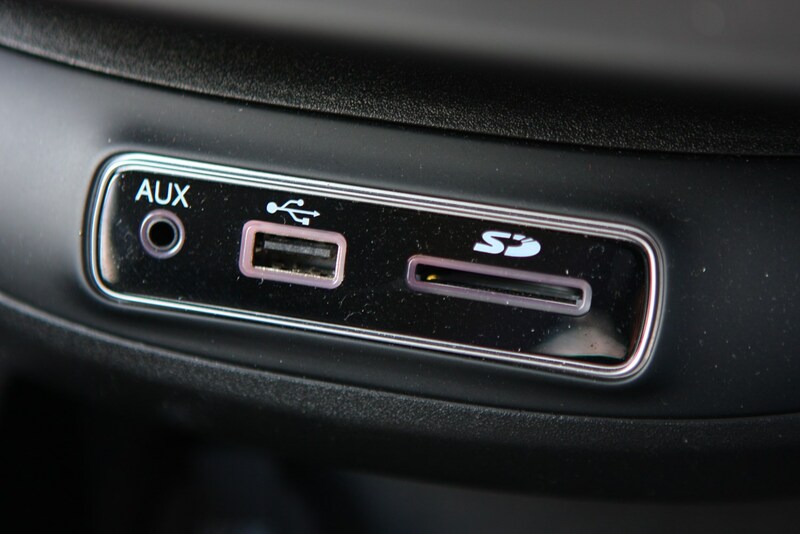 Also available as an option was the upgraded BeatsAudio sound system, developed in collaboration with Beats by Dr. Dre. 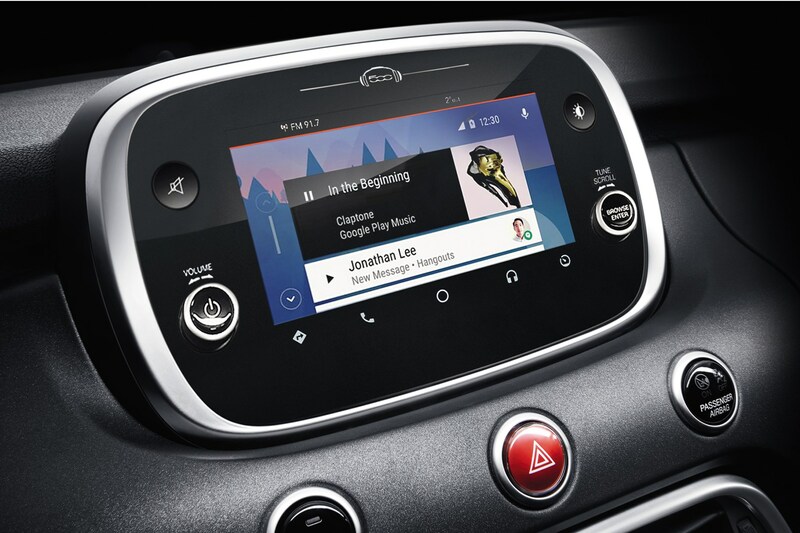 The premium hi-fi system boasts a 560-watt, eight-channel digital amplifier with eight speakers and a subwoofer in the boot, rather than the 120-watt four-speaker system or 180-watt six-speaker configuration found in standard models. 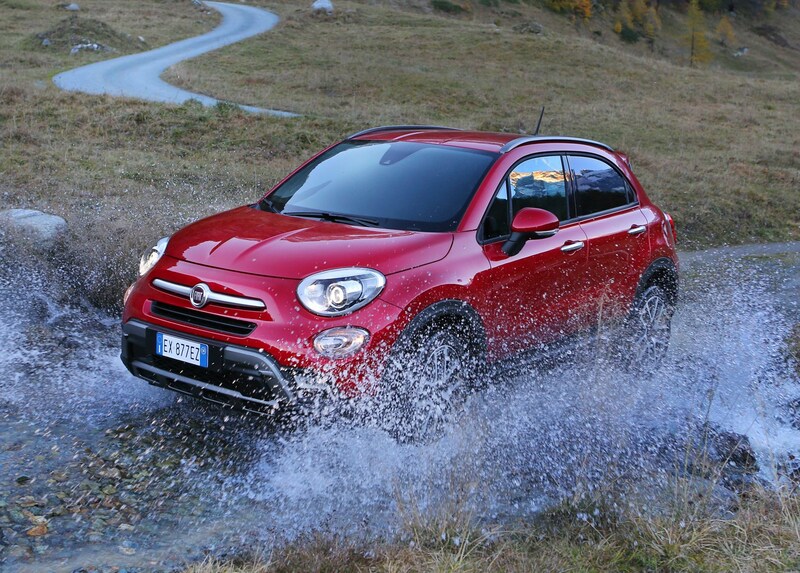 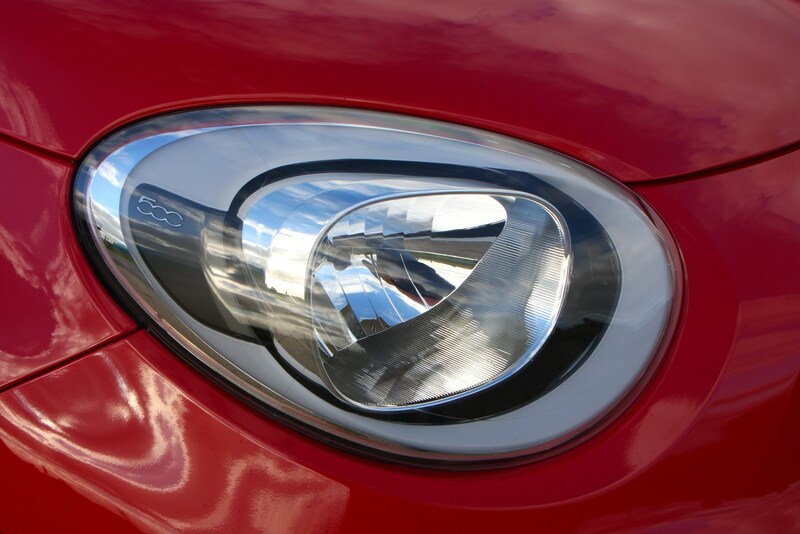 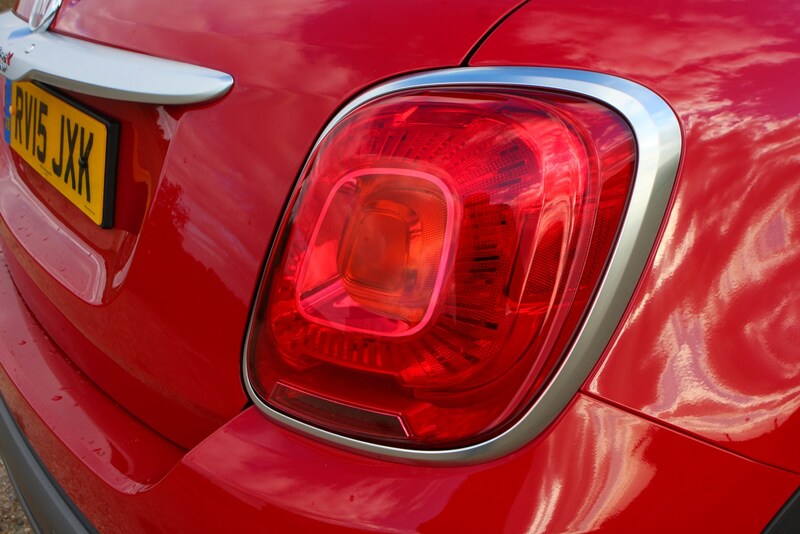 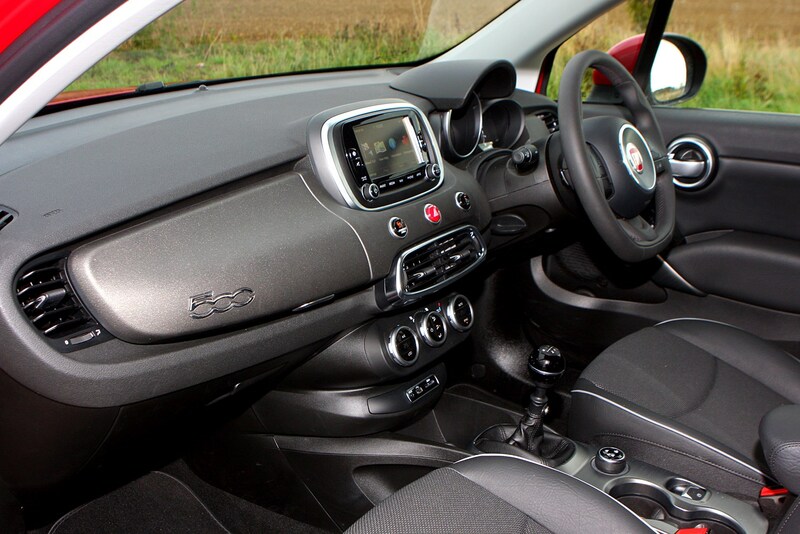 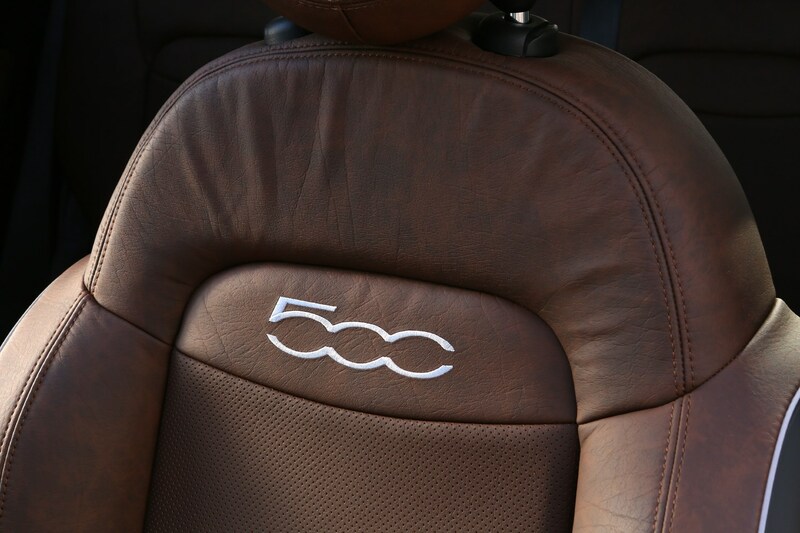 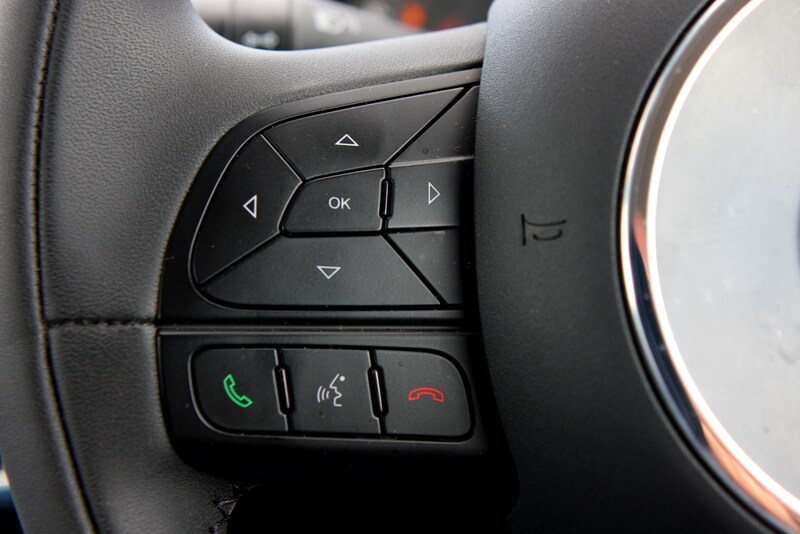 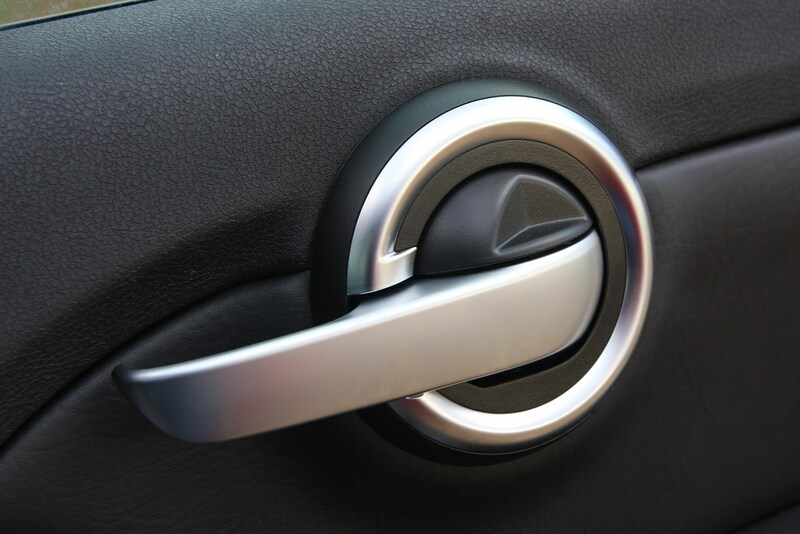 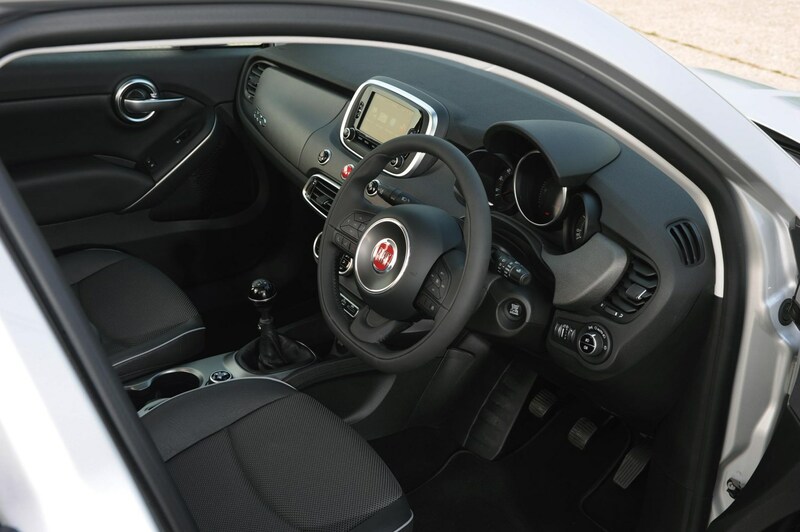 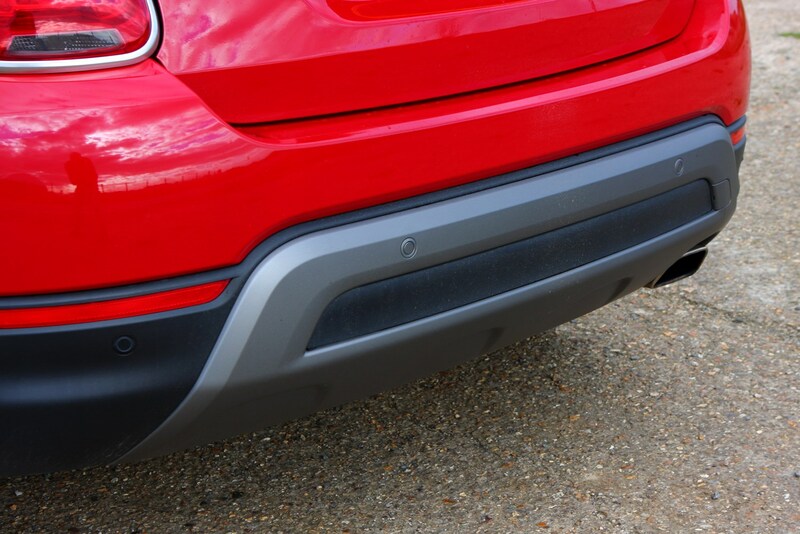 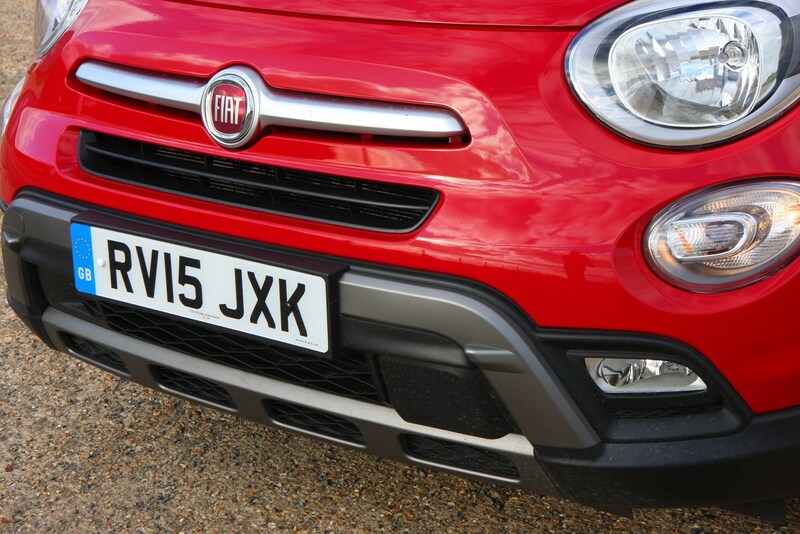 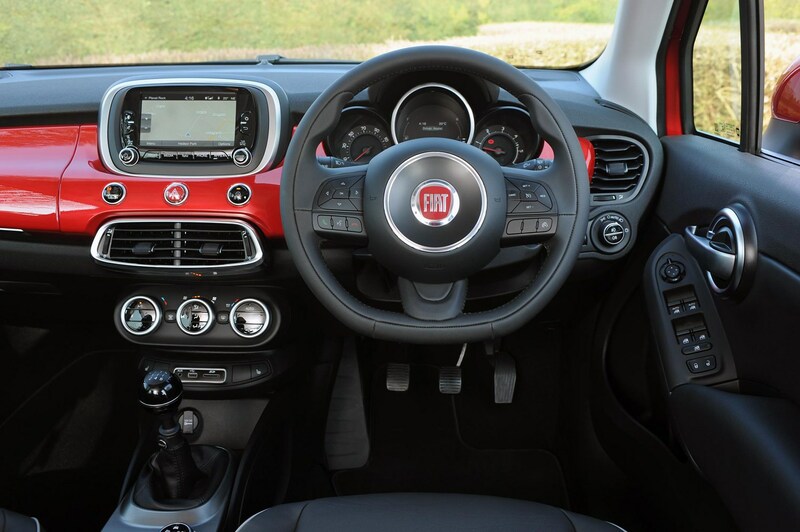 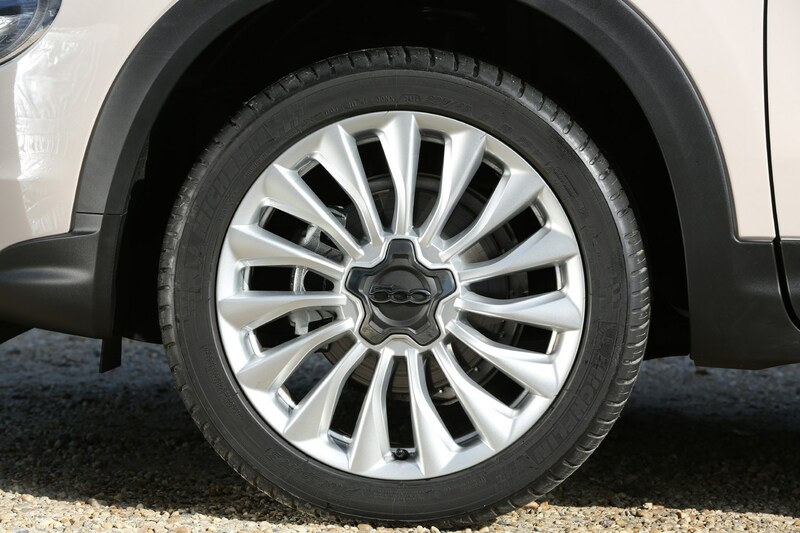 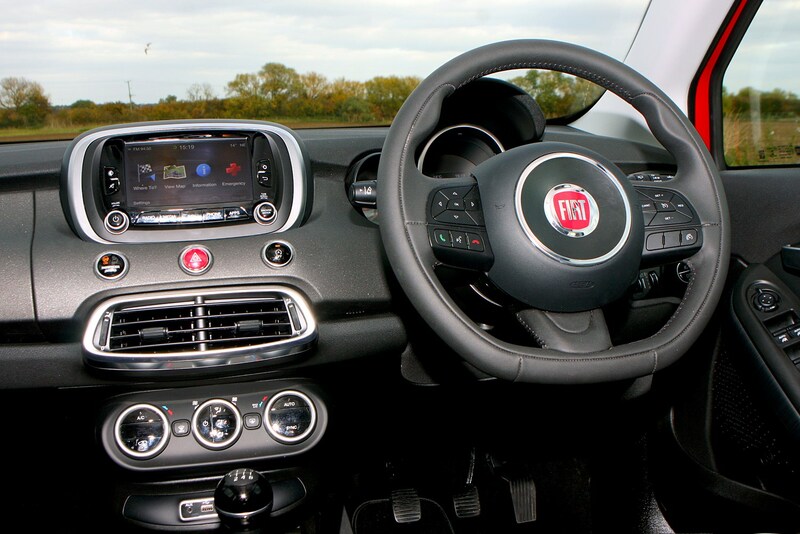 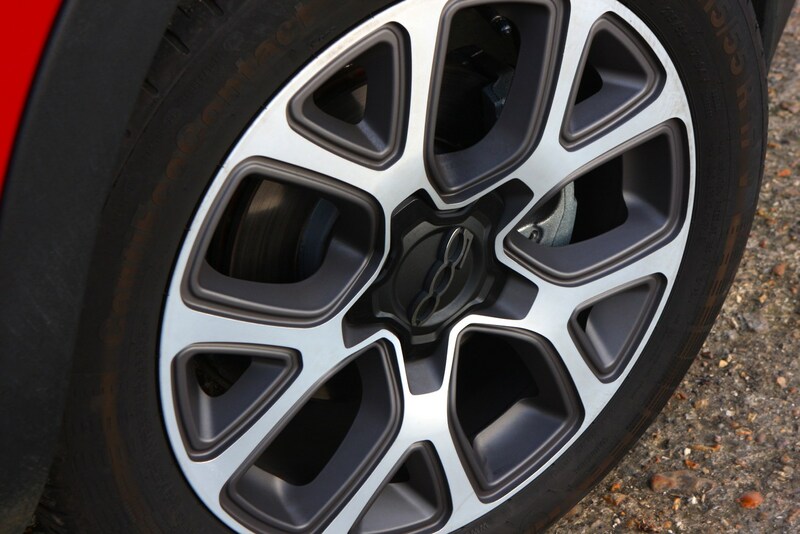 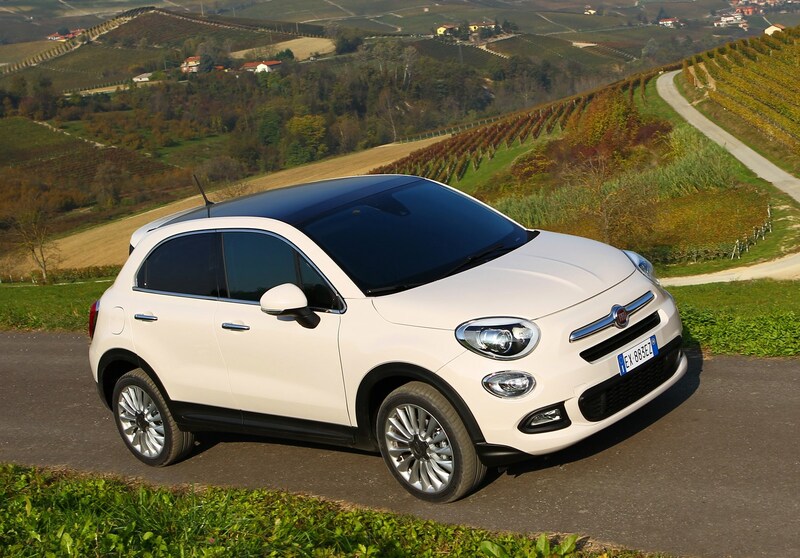 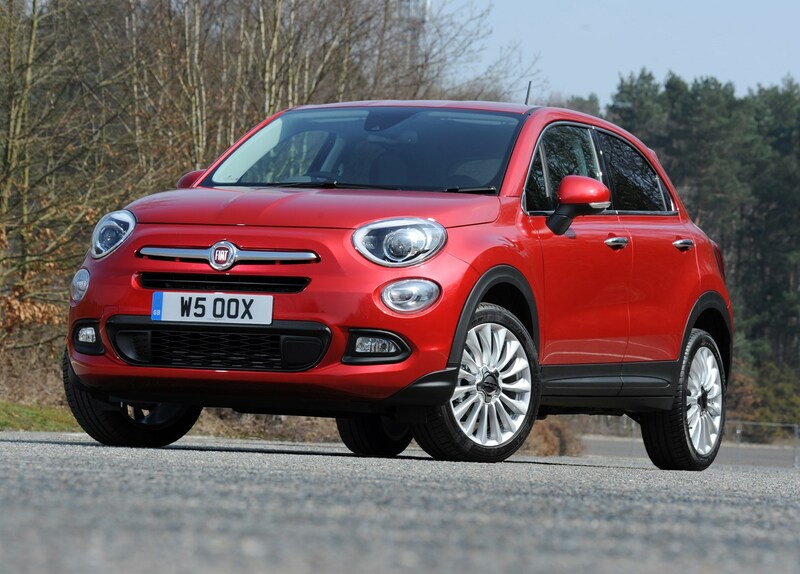 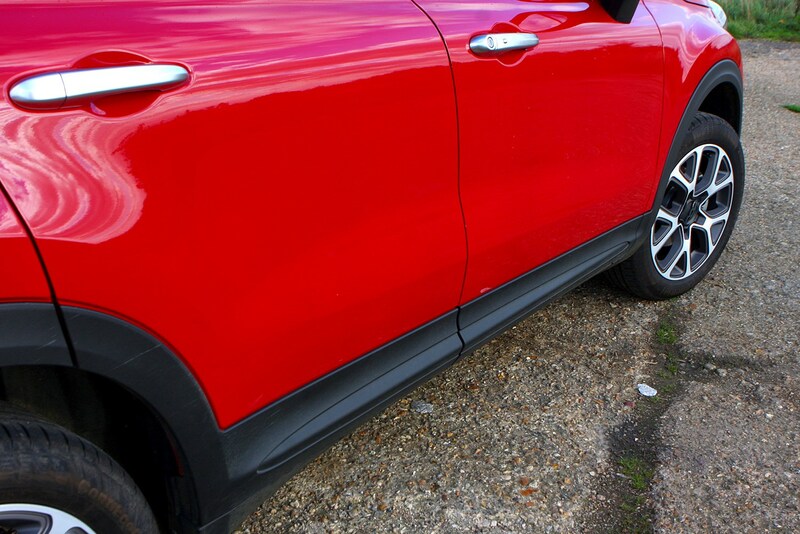 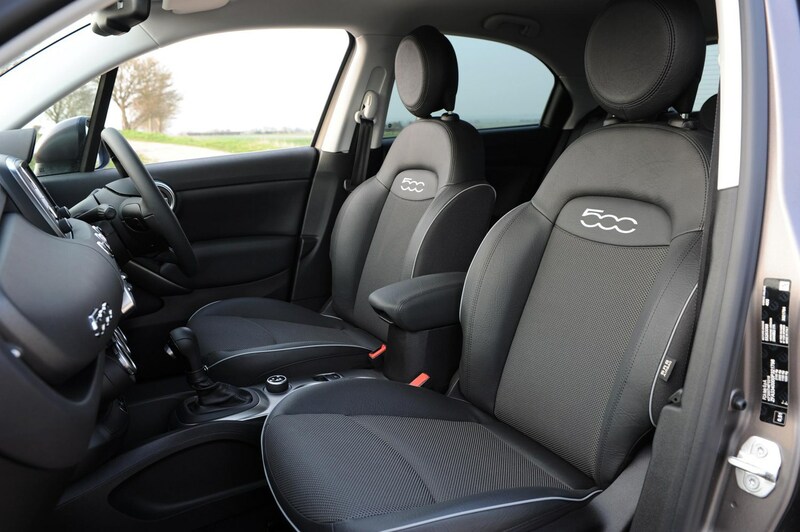 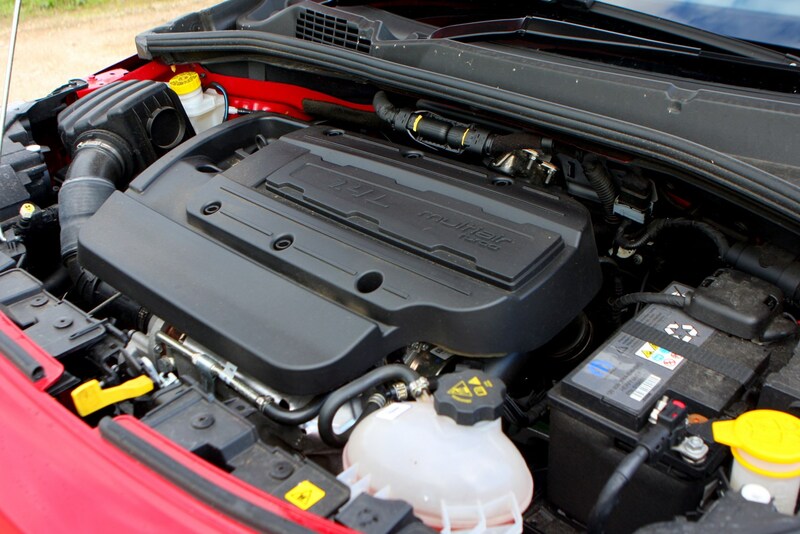 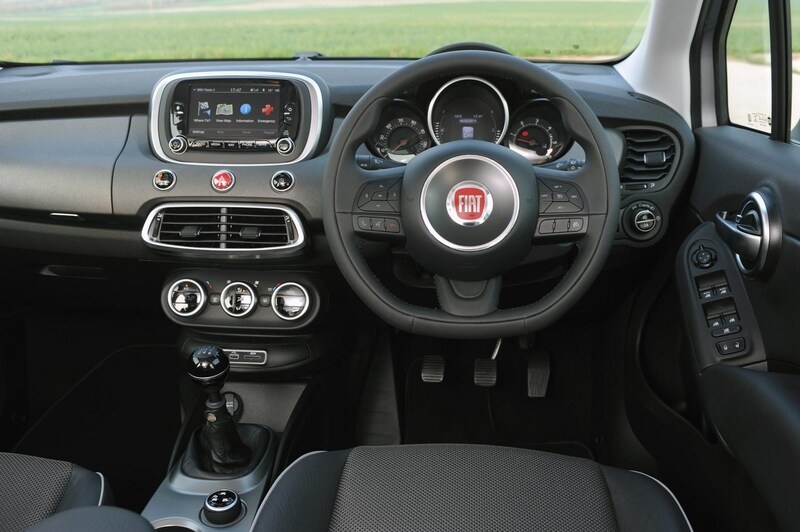 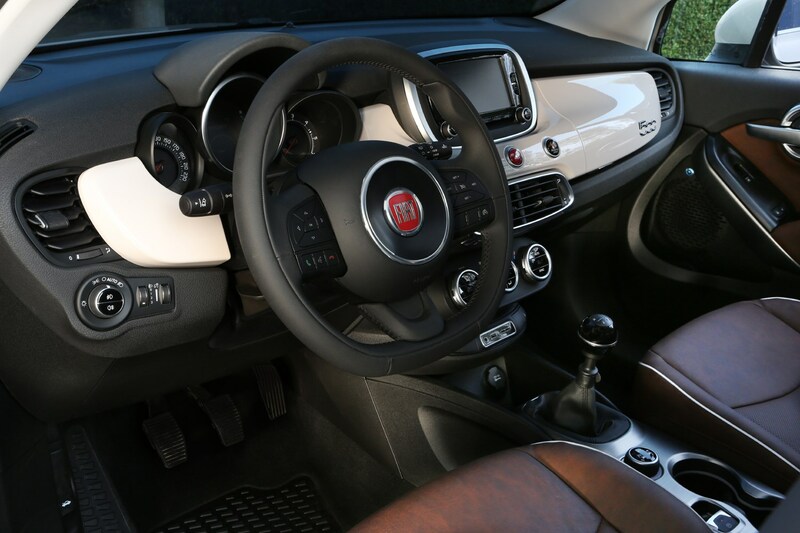 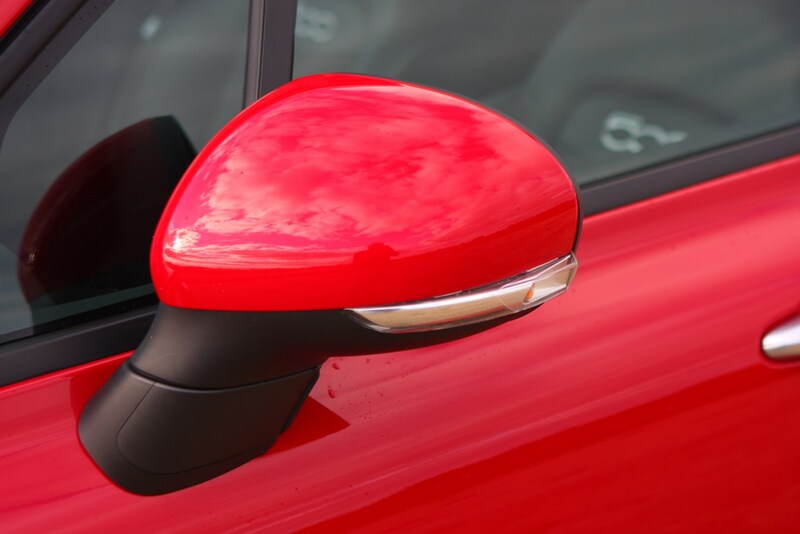 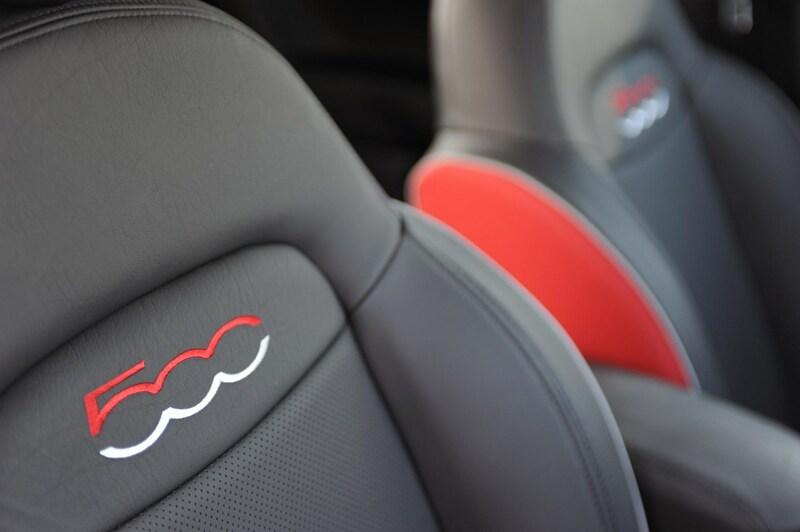 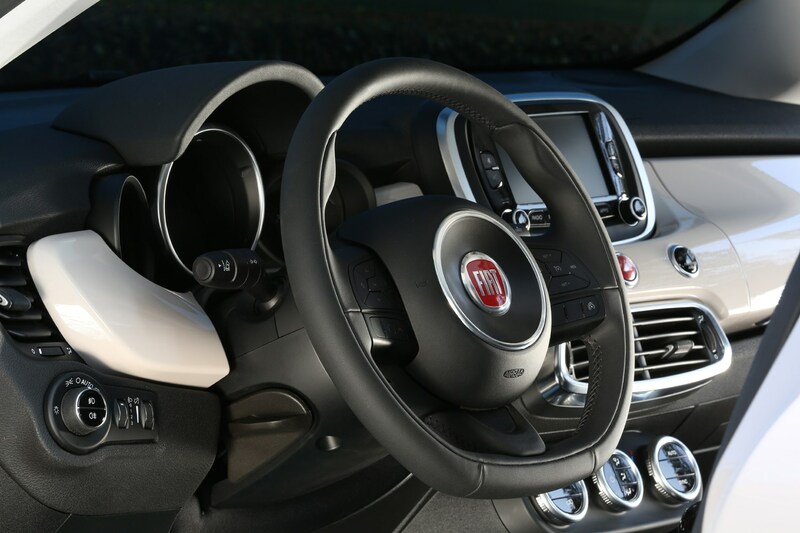 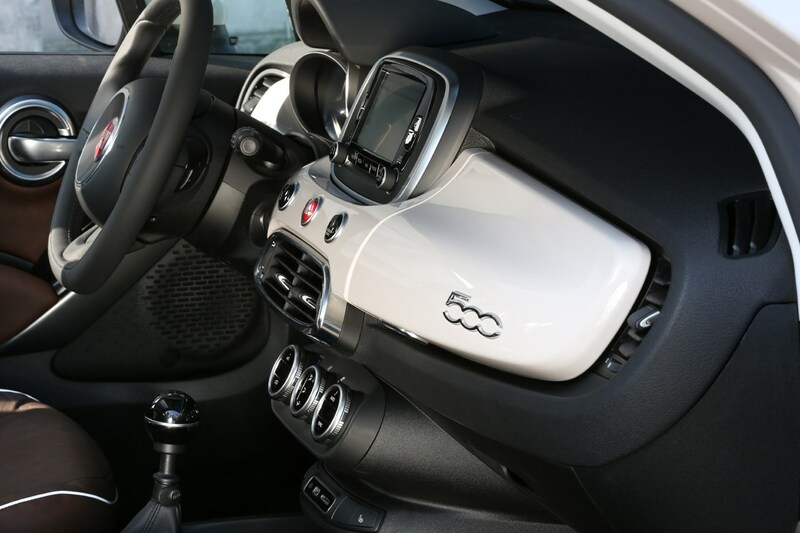 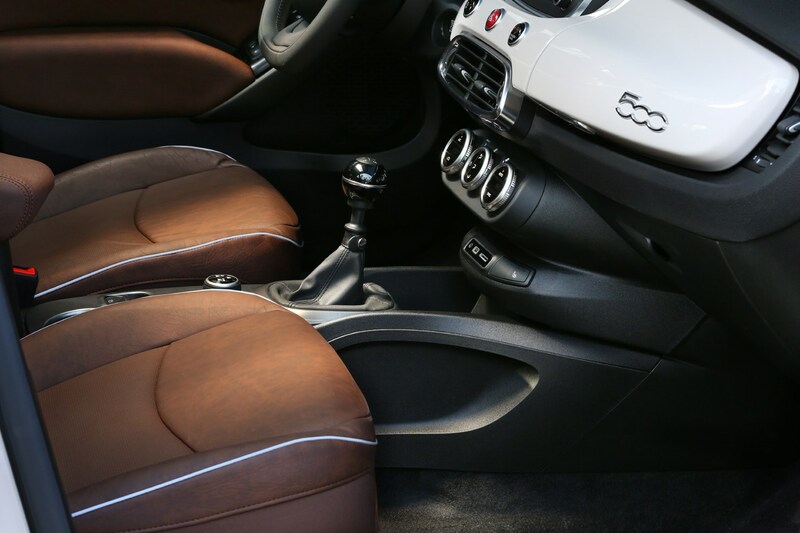 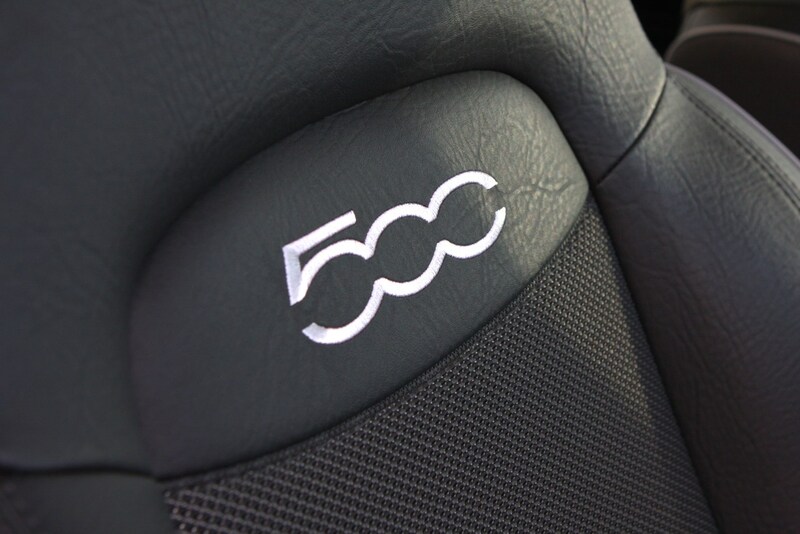 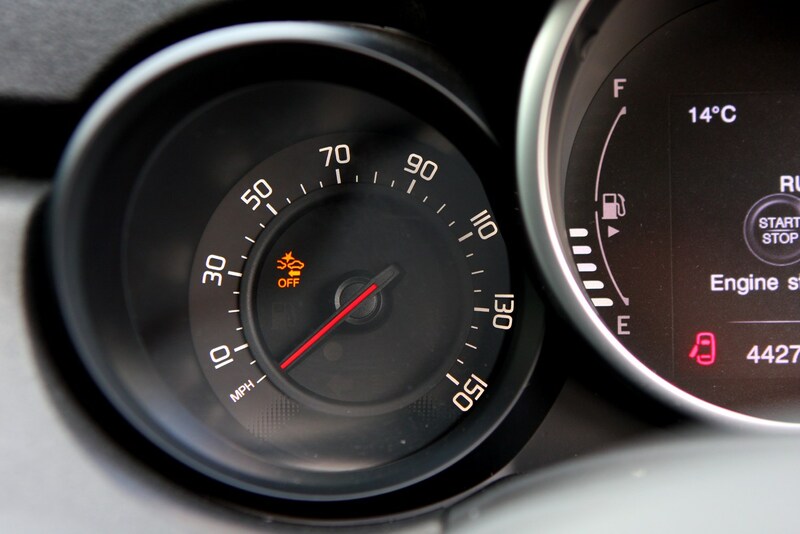 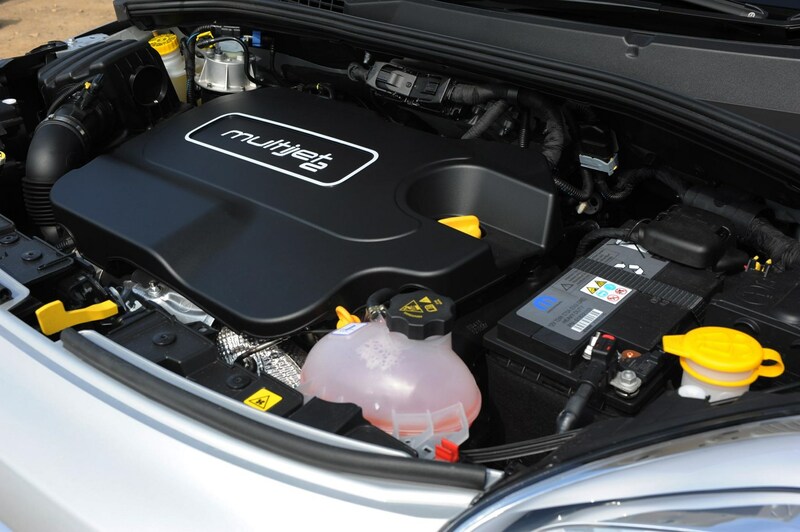 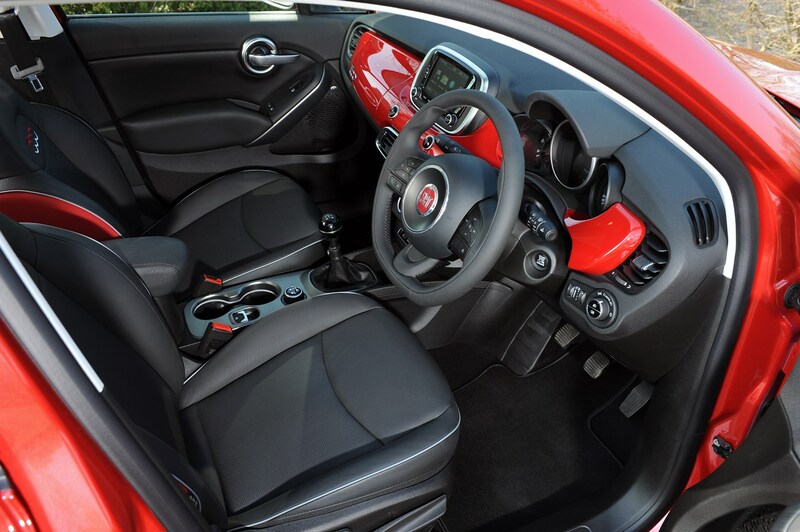 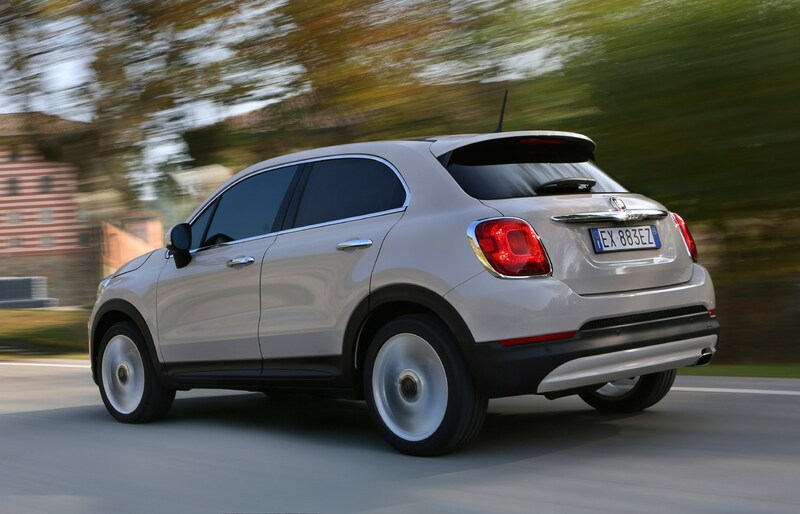 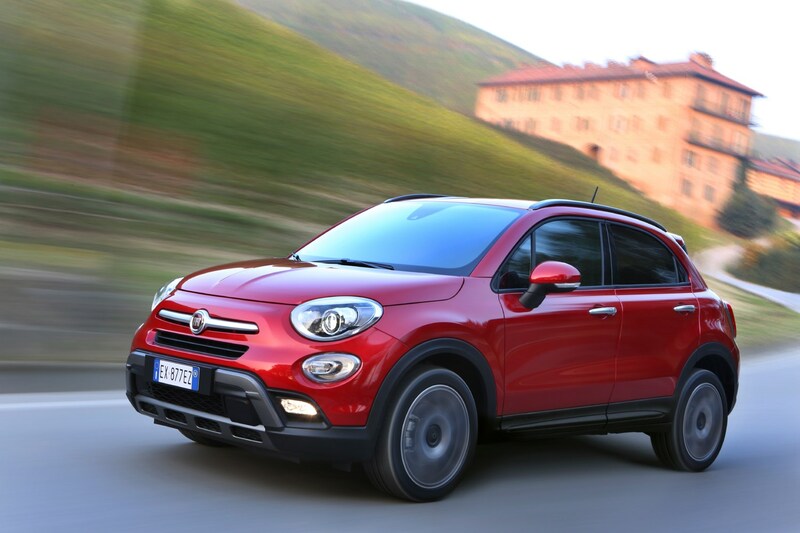 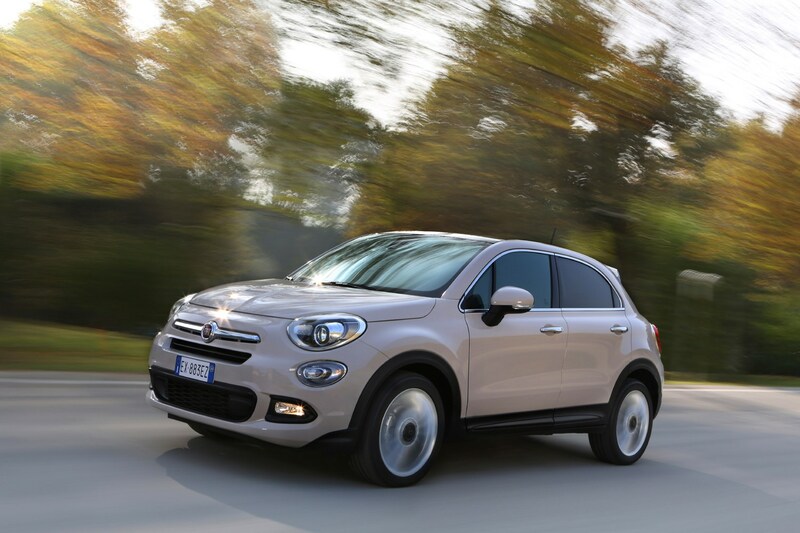 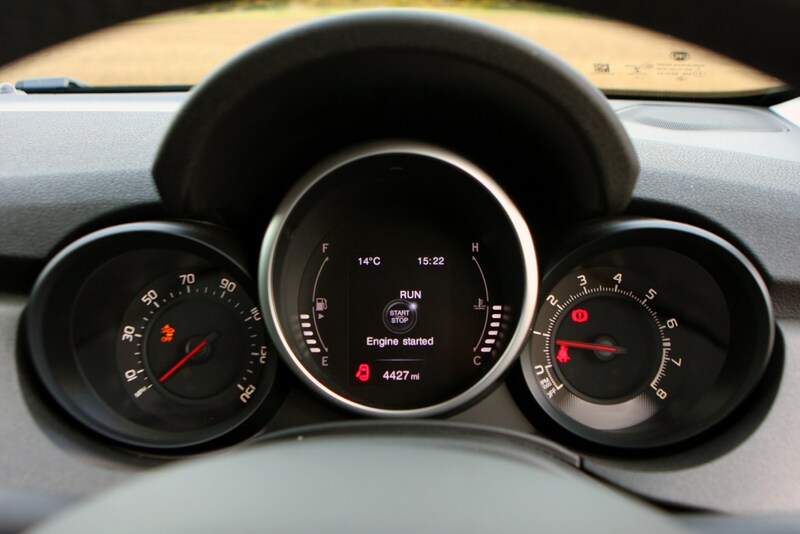 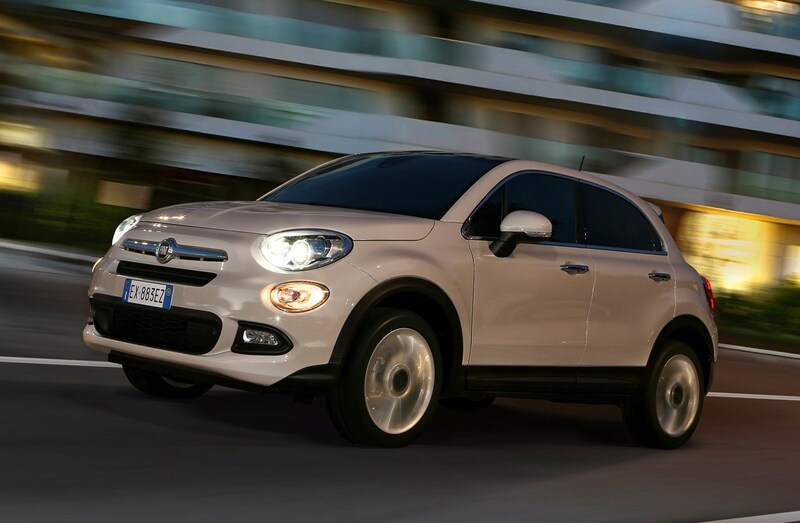 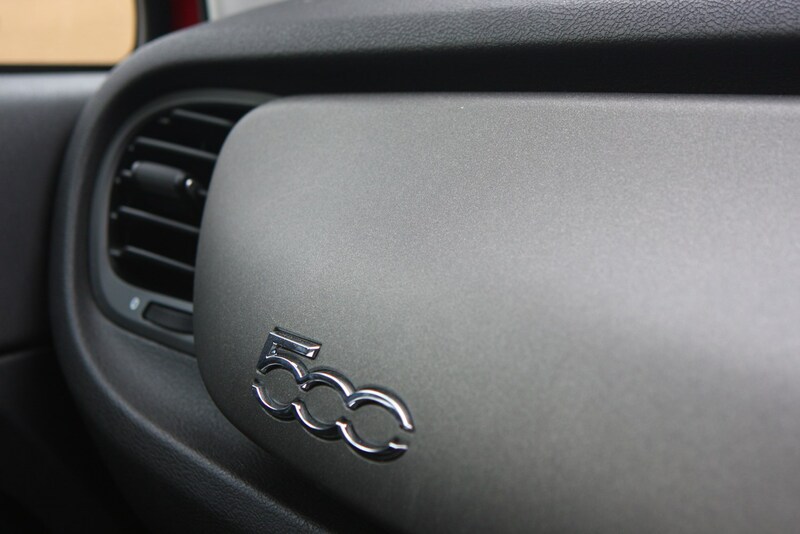 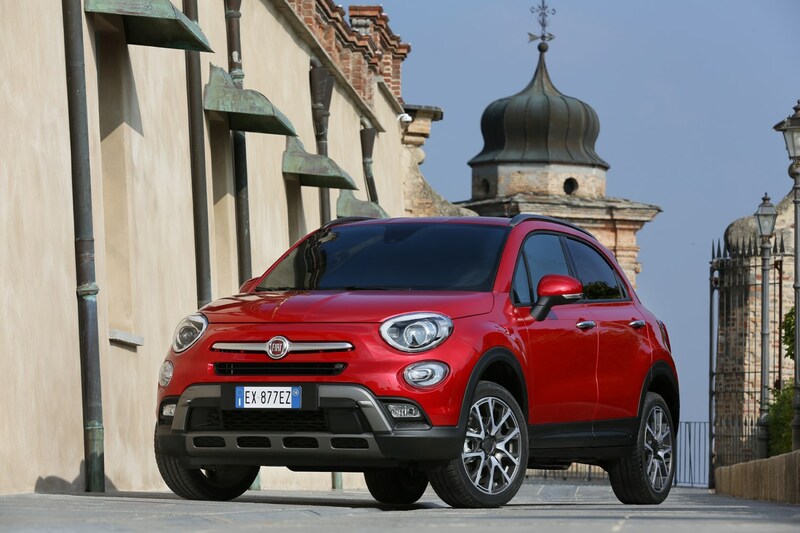 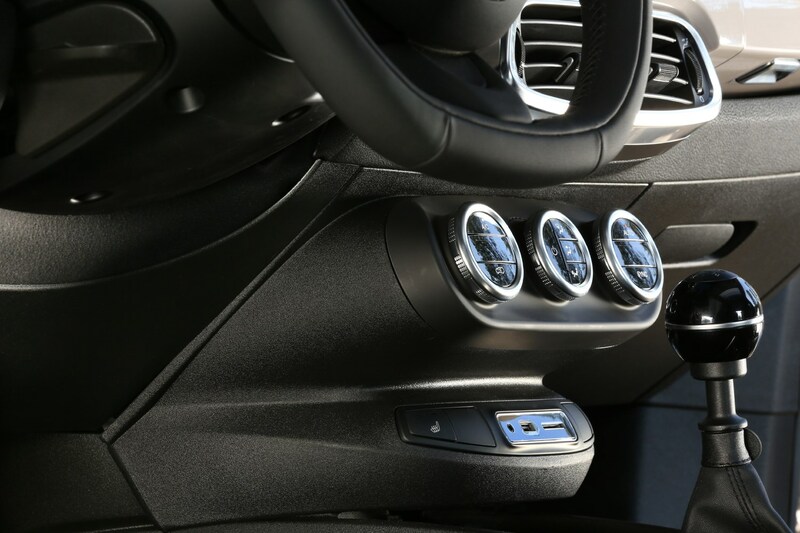 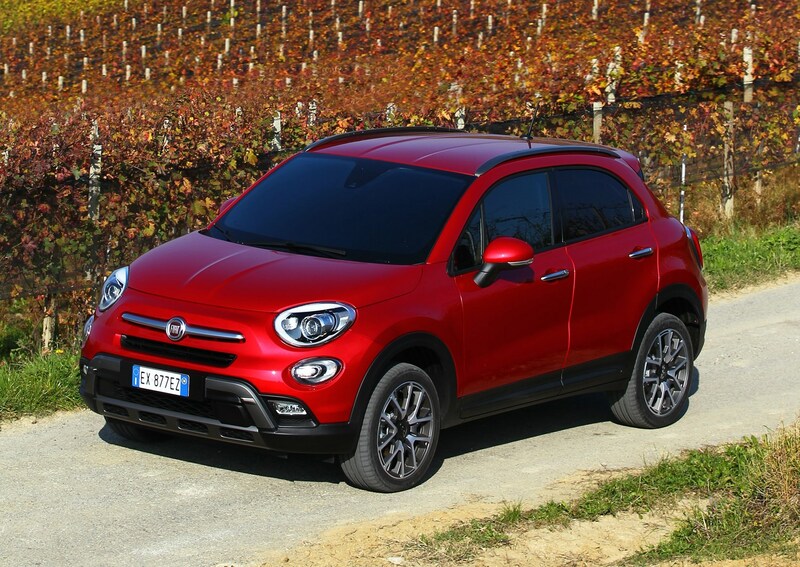 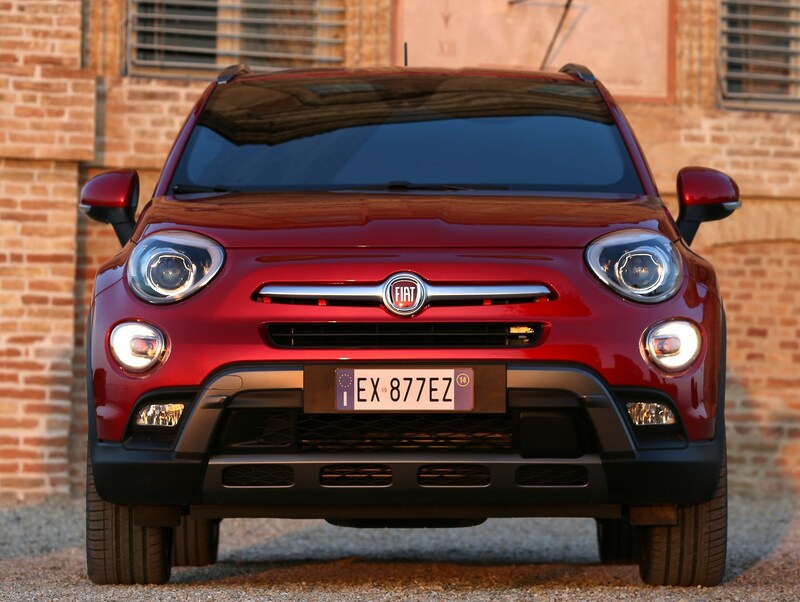 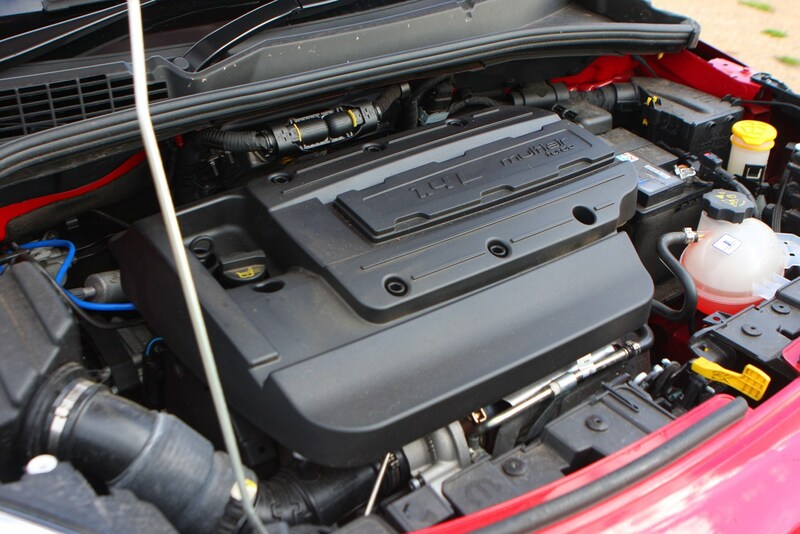 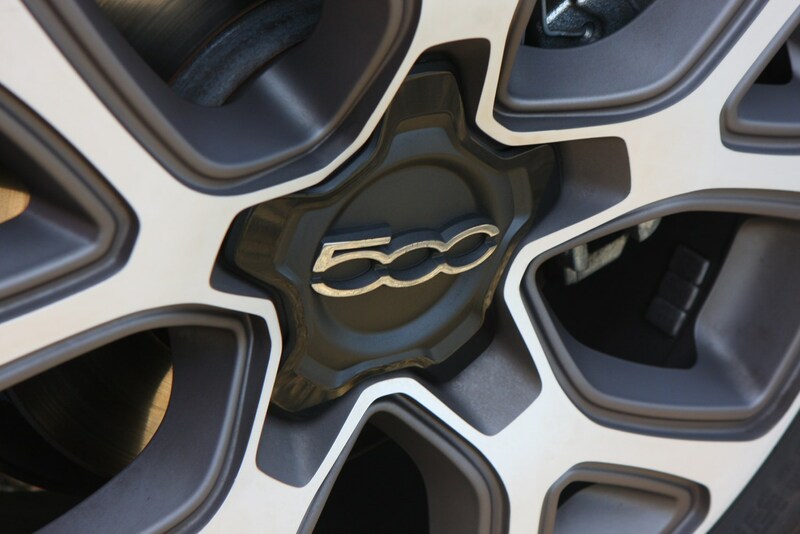 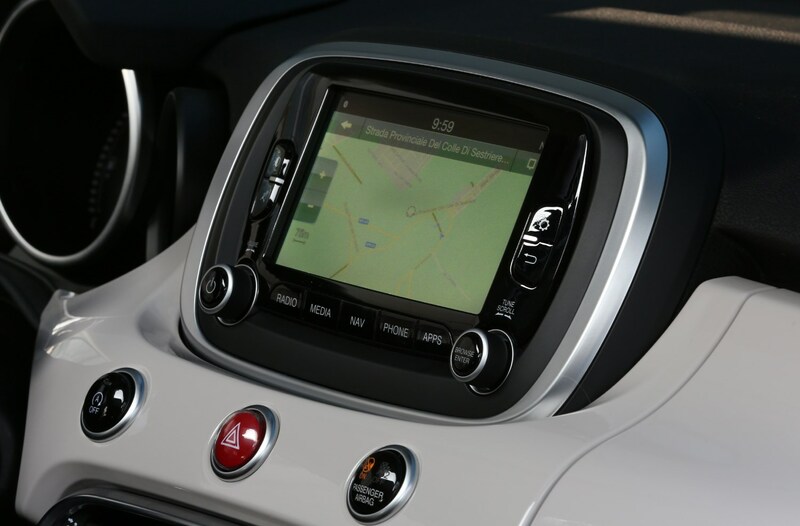 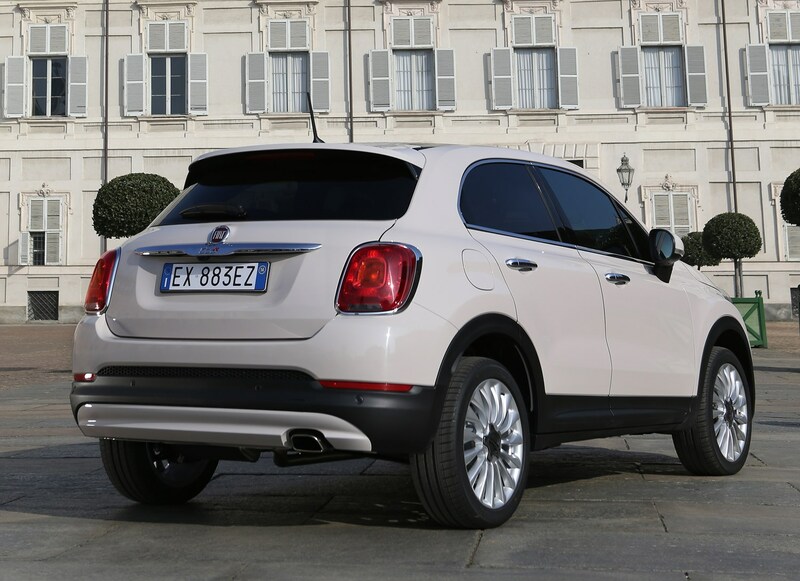 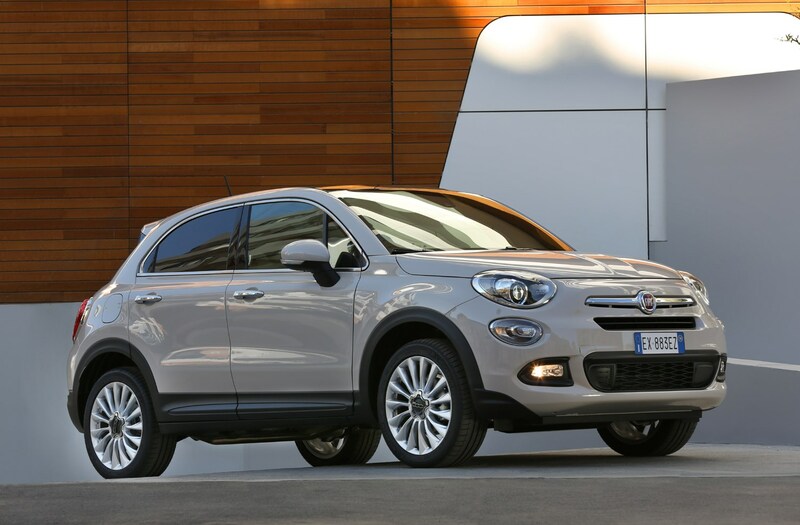 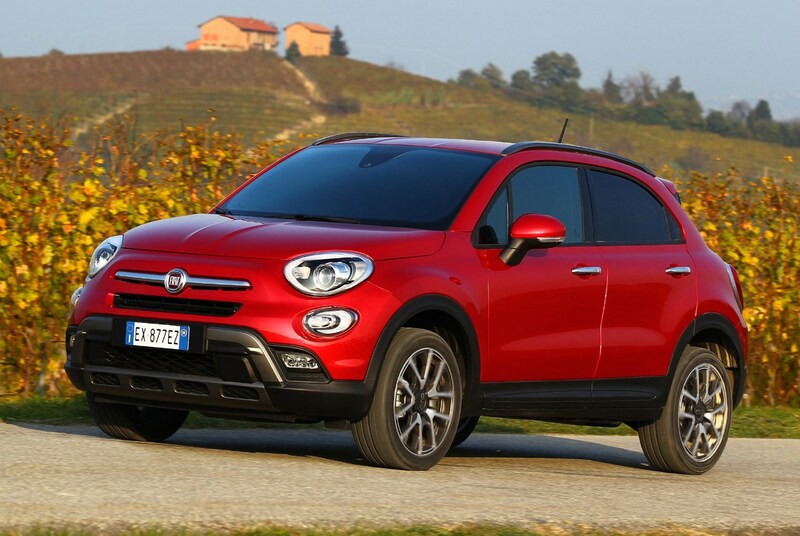 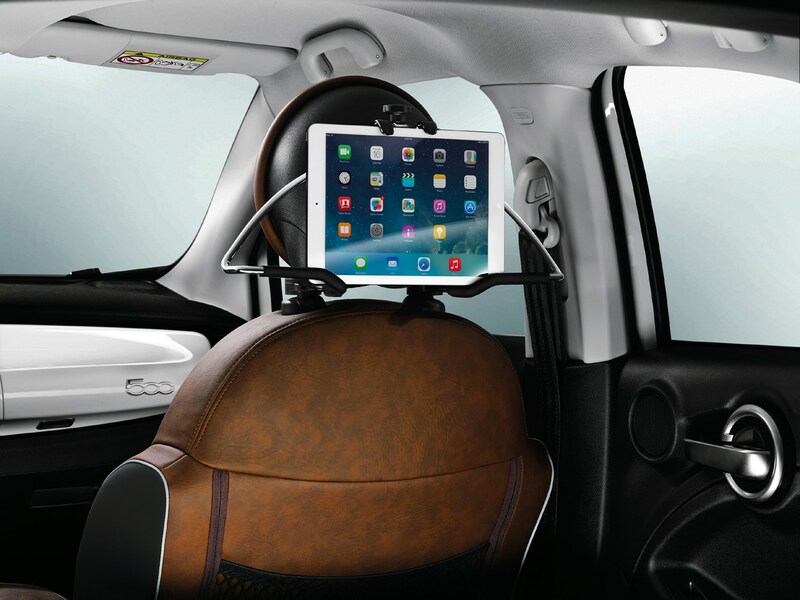 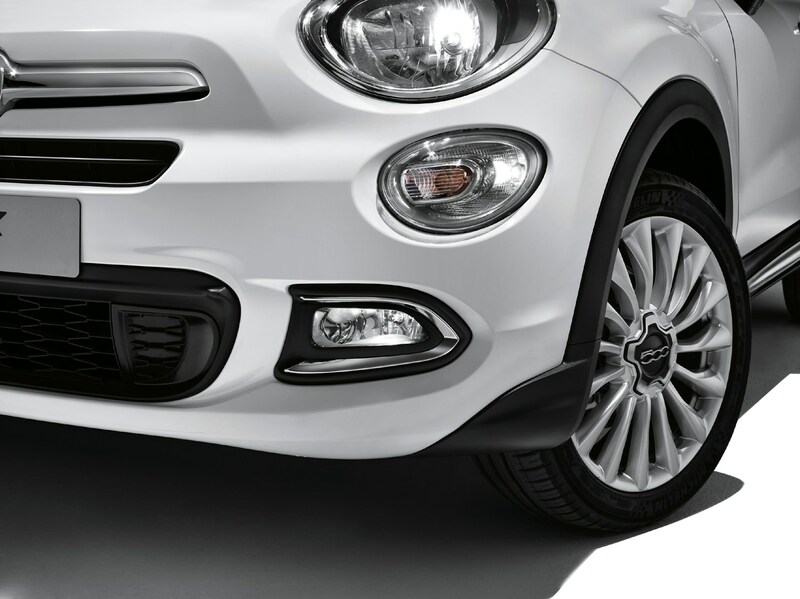 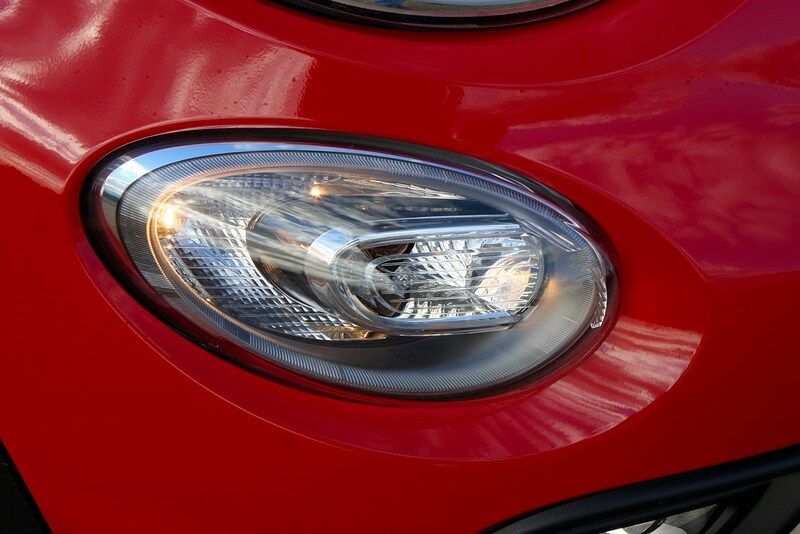 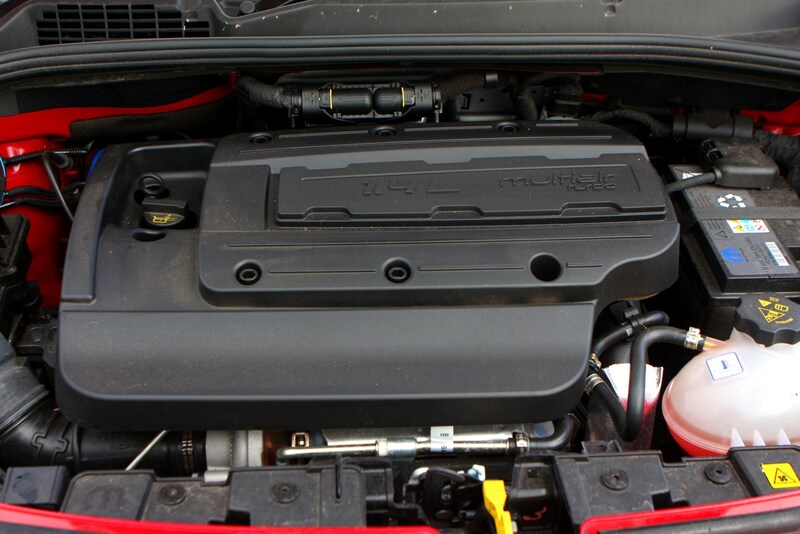 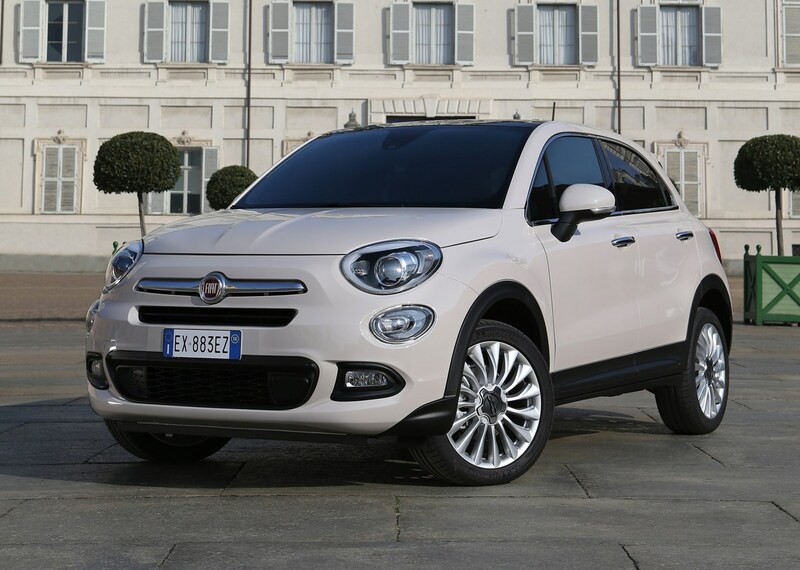 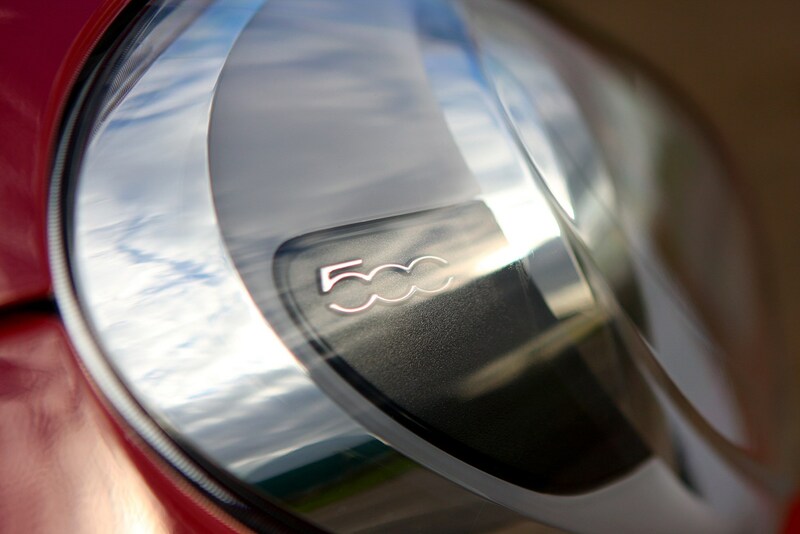 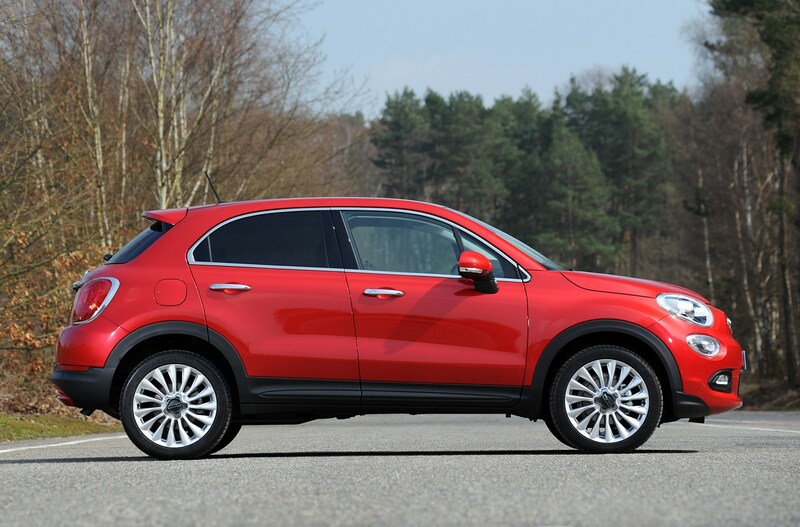 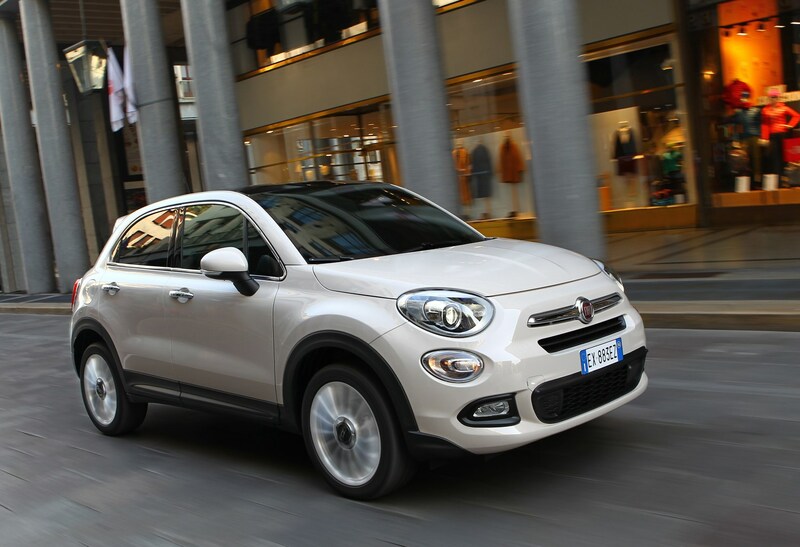 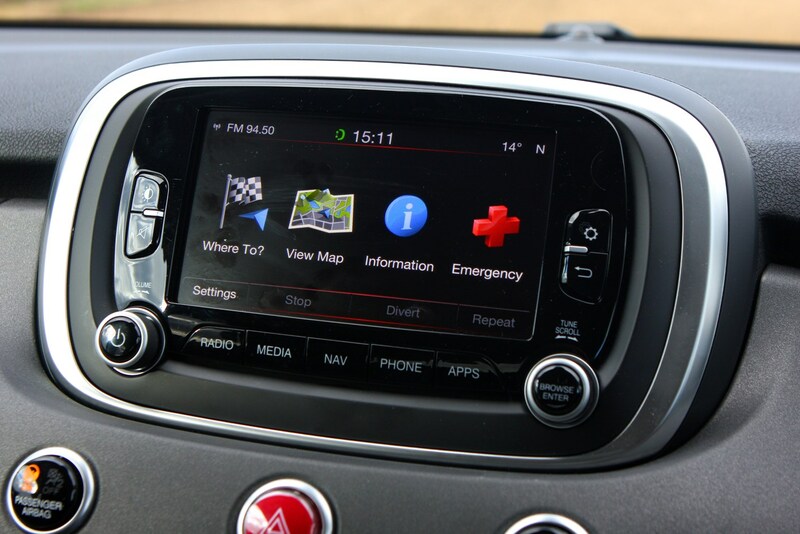 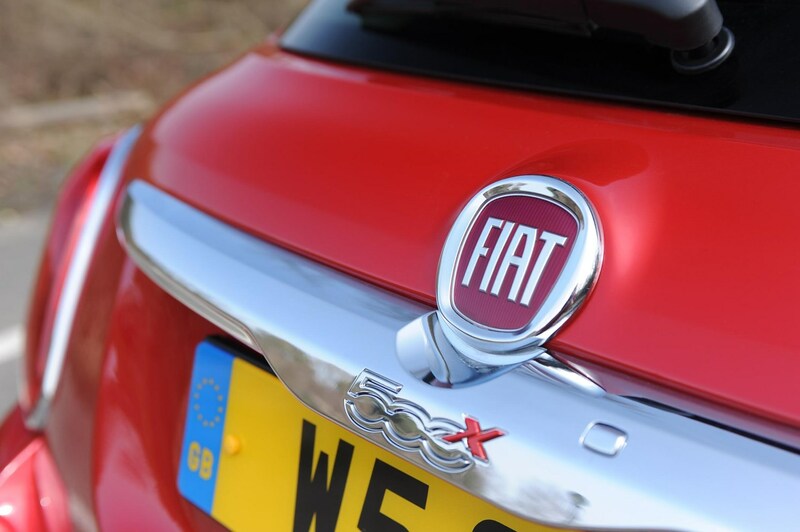 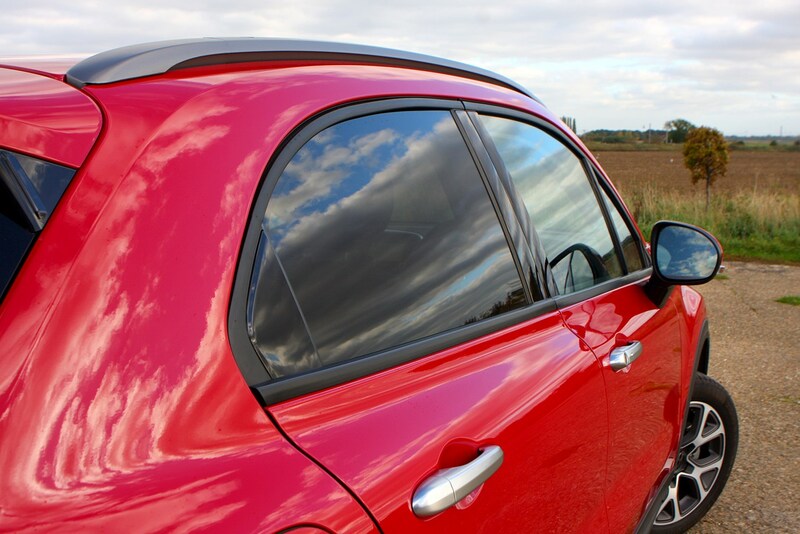 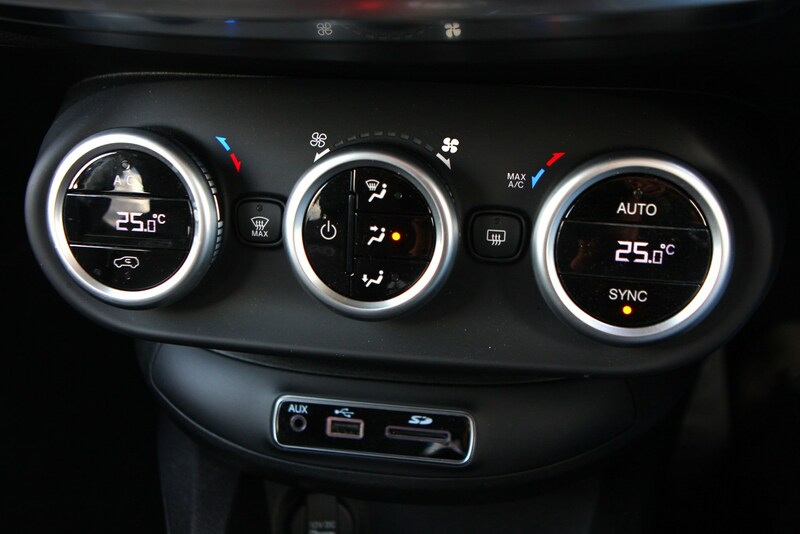 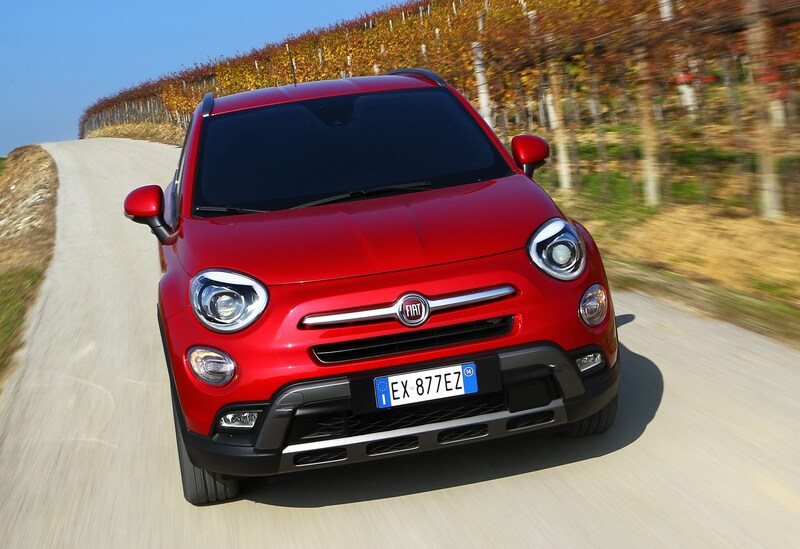 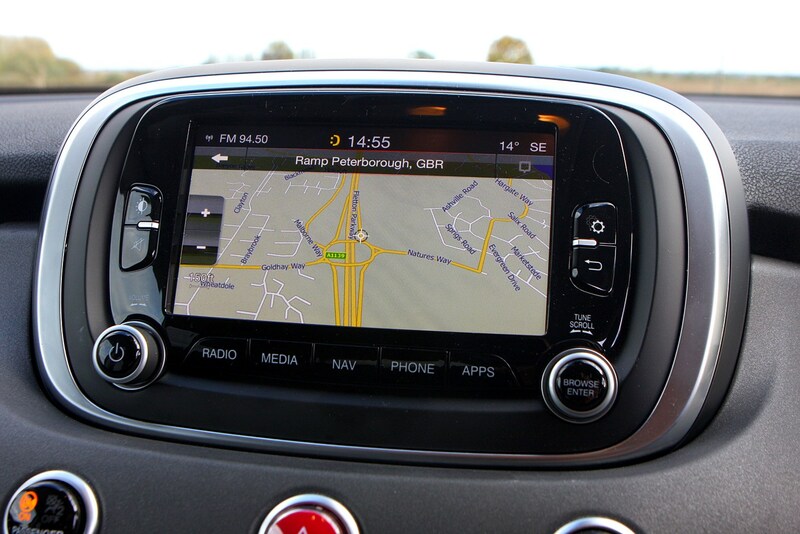 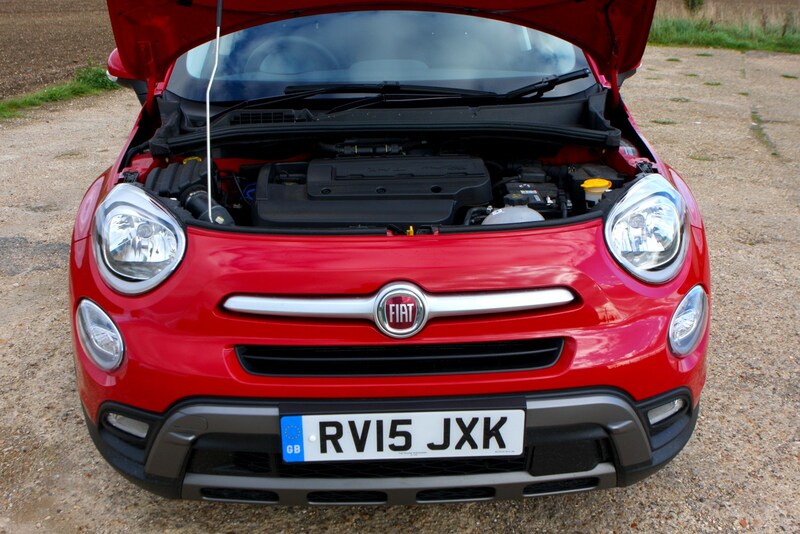 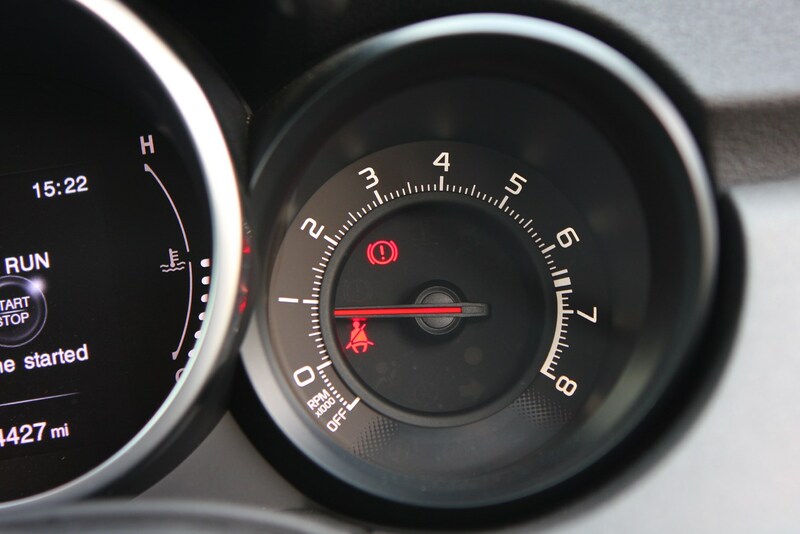 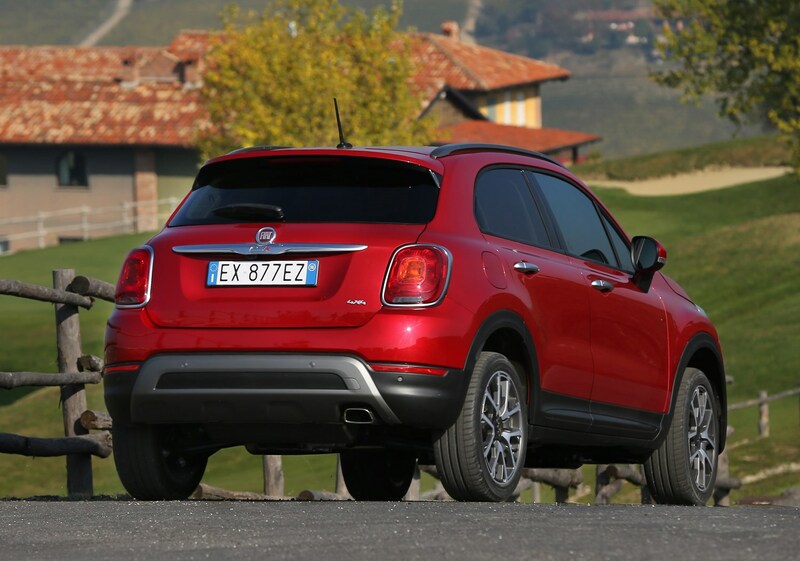 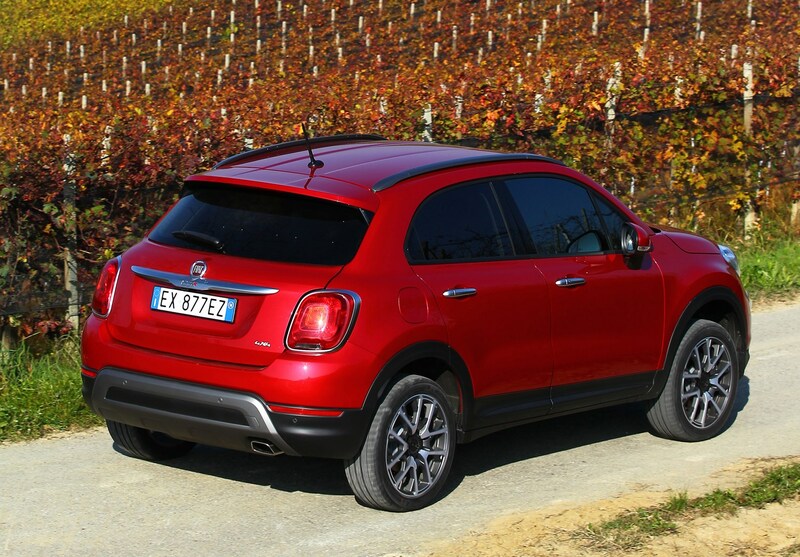 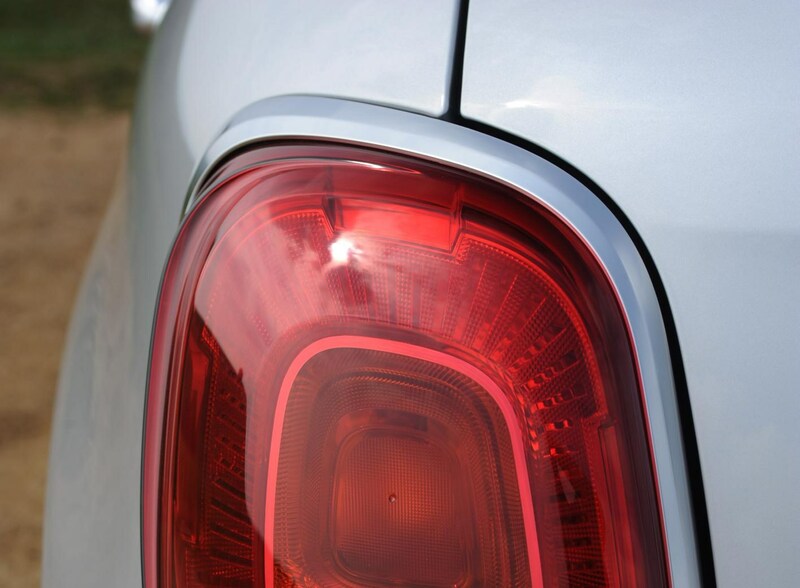 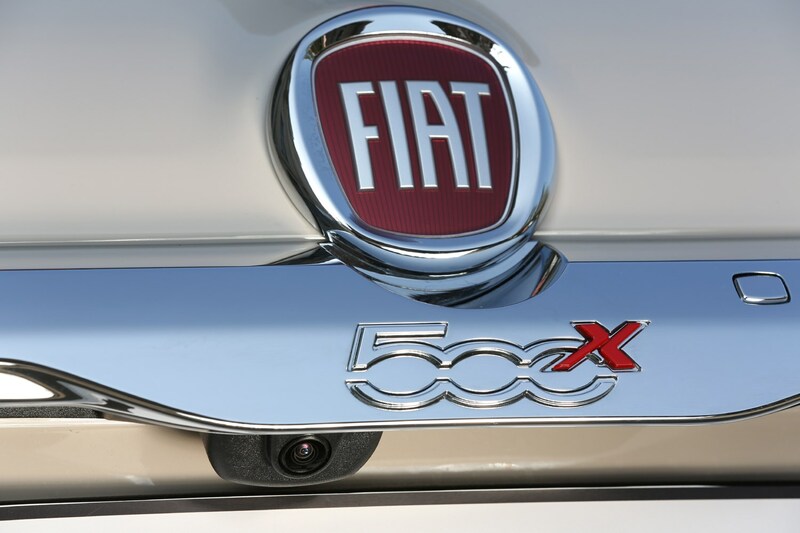 The basic equipment list includes equipment that is standard across all versions of the Fiat 500X. 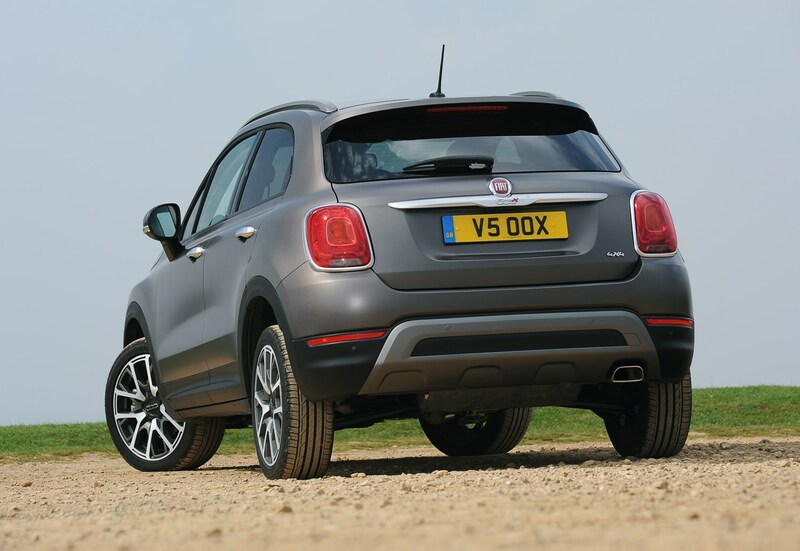 With four stars during its Euro NCAP crash tests in 2015, you’d be forgiven for expecting the 500X would fare badly when it comes to safety, but that’s not the case. 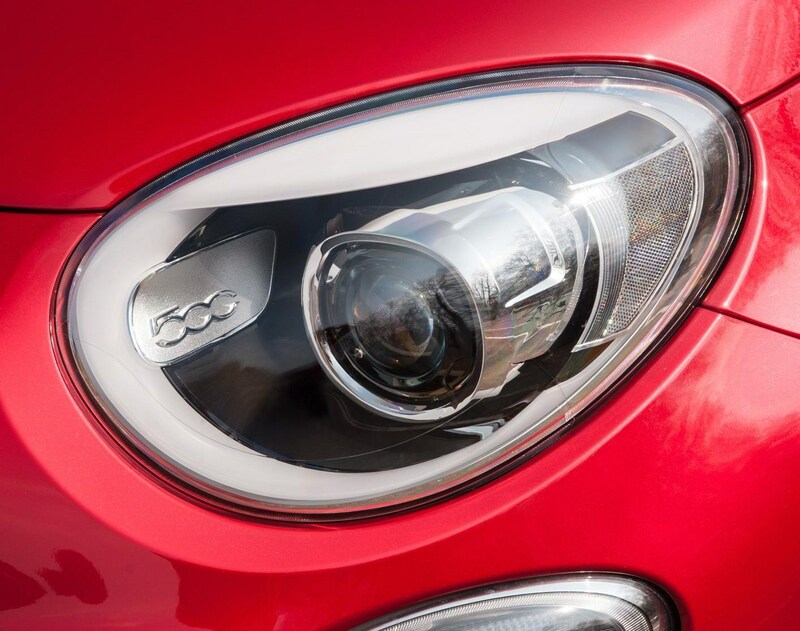 In fact, thanks to its facelift in 2018, it’s among the safer small cars around. 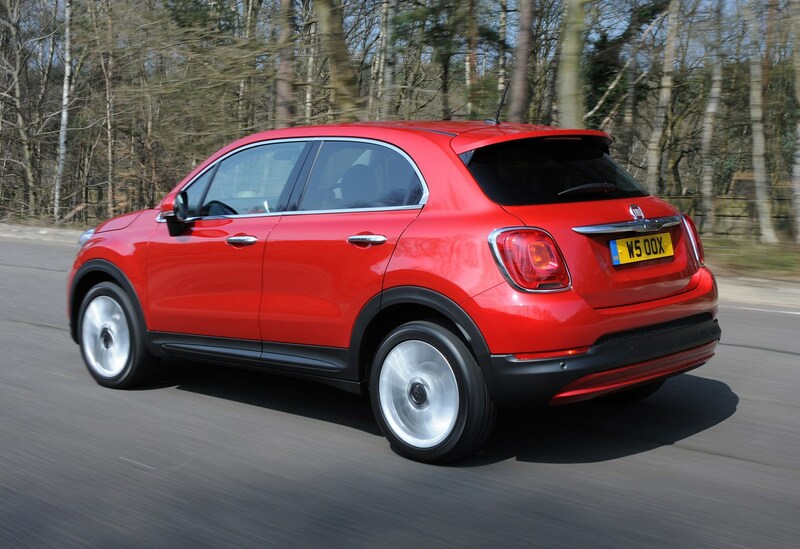 Although not as spacious as some other bigger SUVs, for its class the 500X is very good indeed with enough room for four adults to sit in comfort. 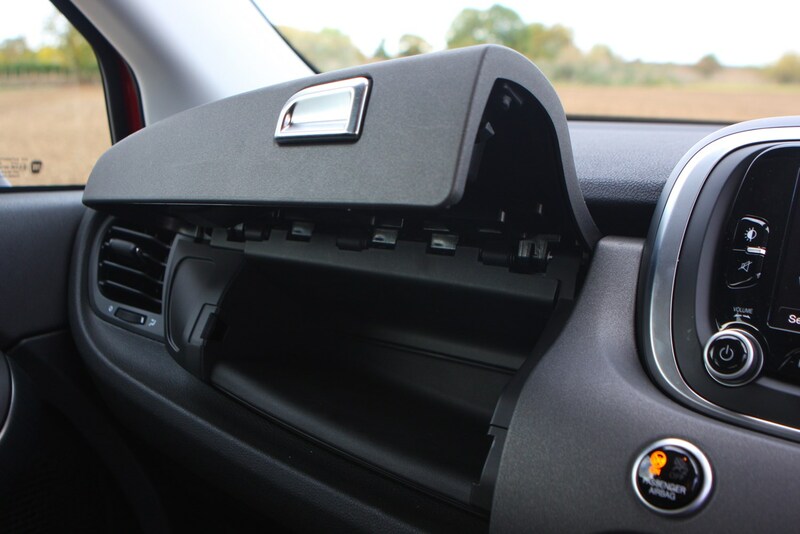 Plus there are plenty of cubbies to place your personal items like your smartphone, wallet and keys as well as a useful dual glove compartment with two separate areas to store items. 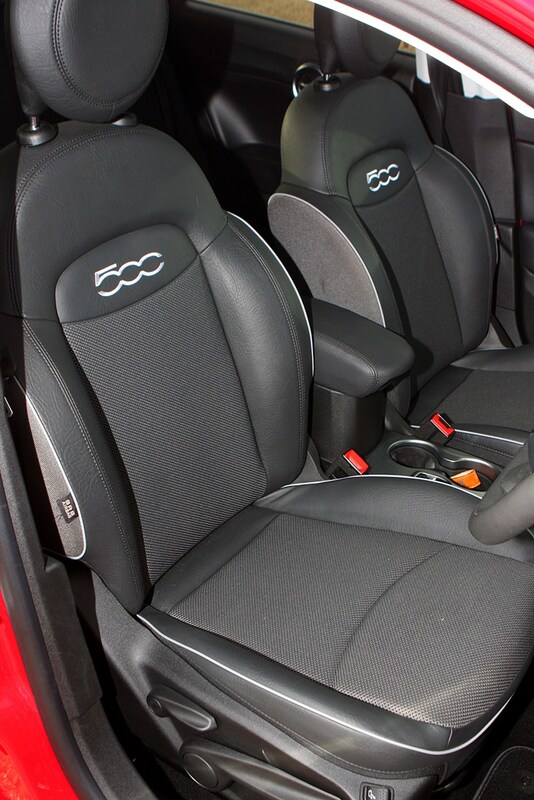 Cupholders cater for four occupants. 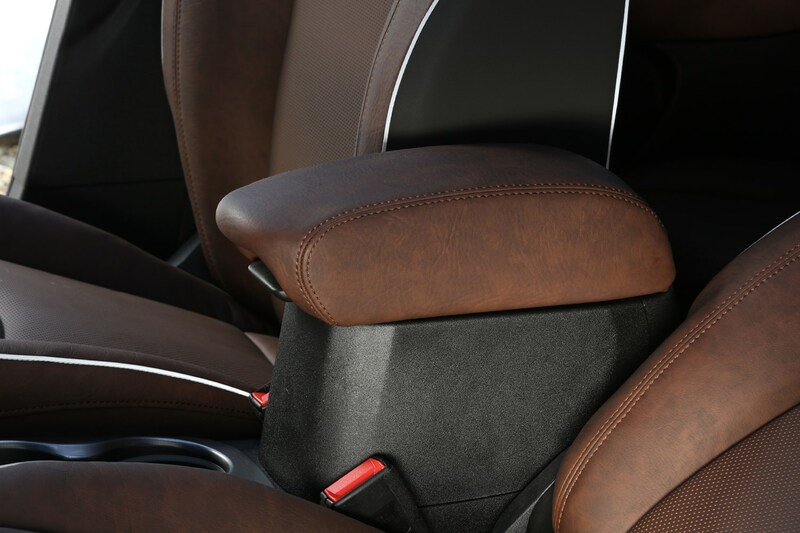 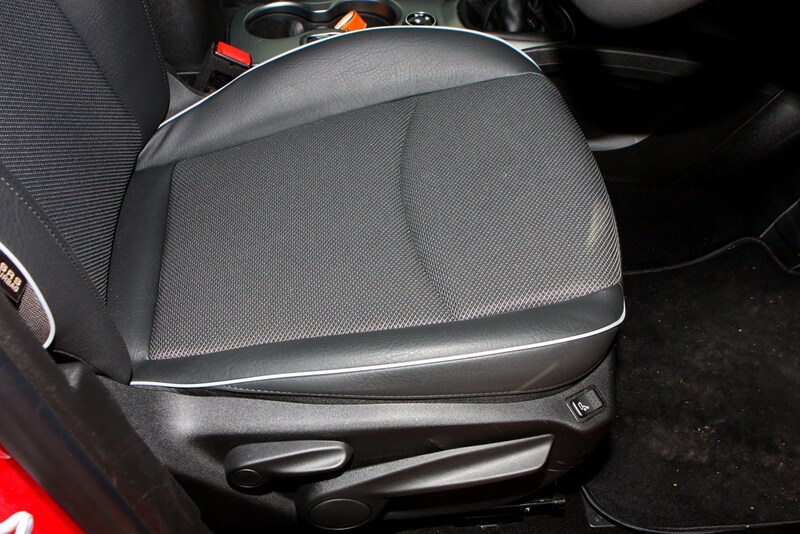 Depending on trim the front centre armrest can also be equipped with a handy storage compartment. 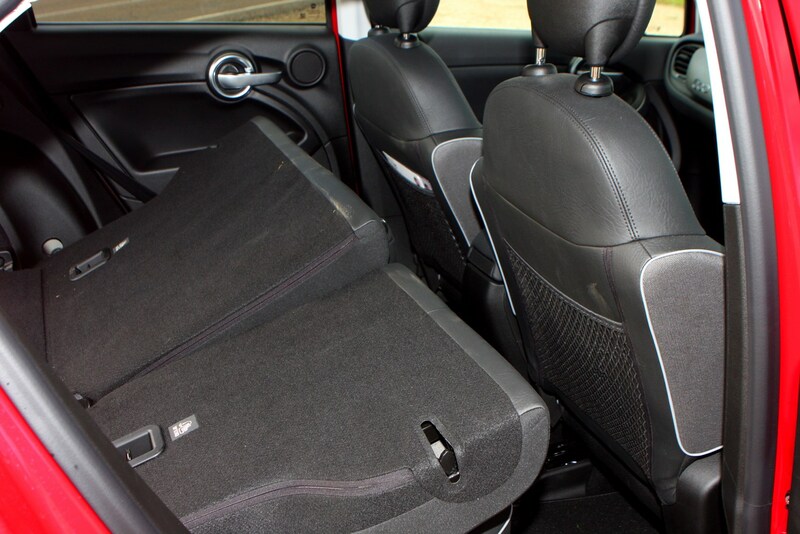 In the back there are nets behind the rear seats and various cubbies to store items, too. 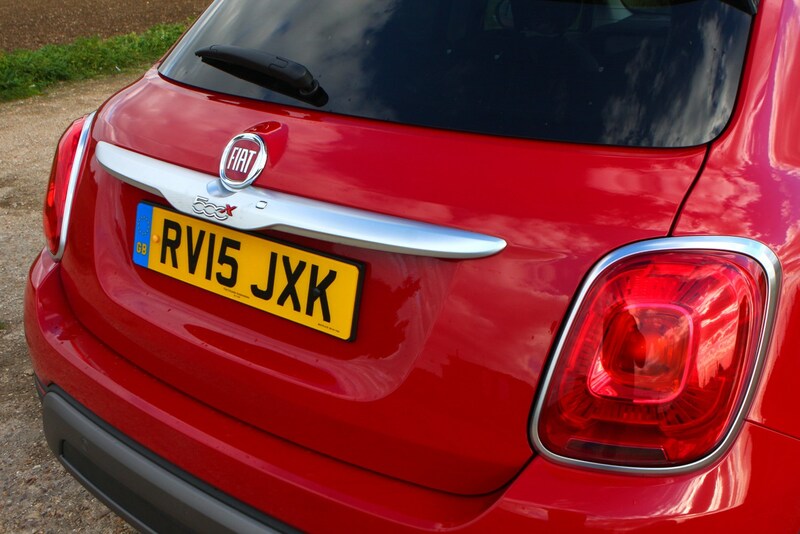 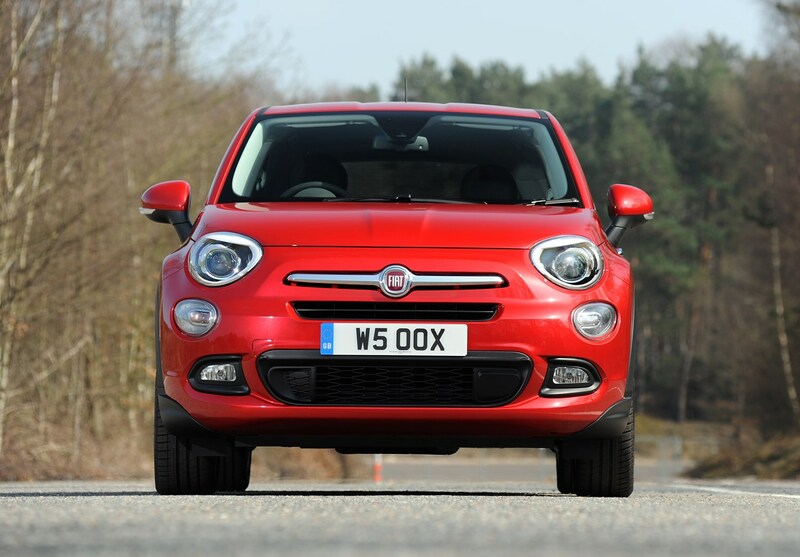 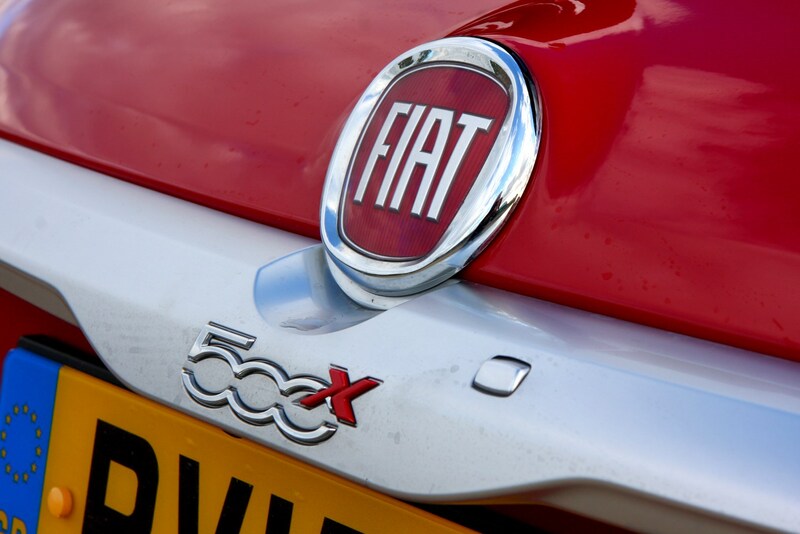 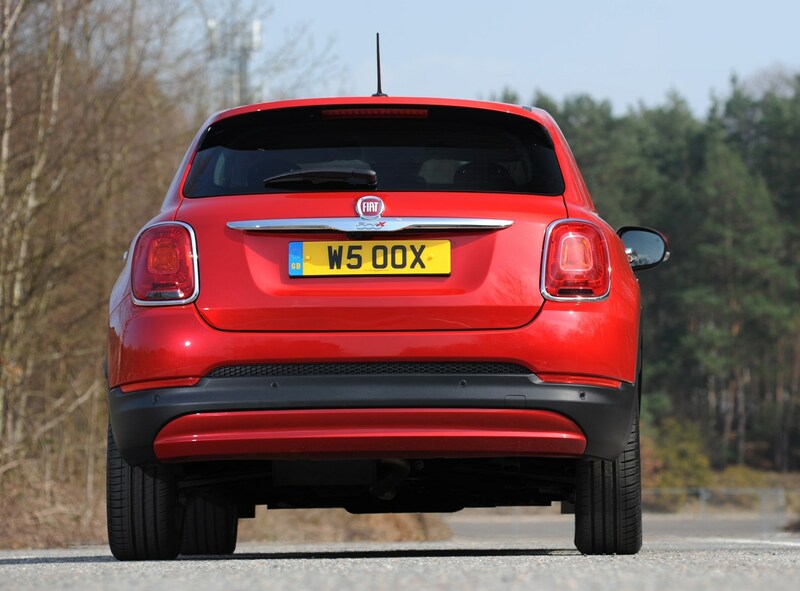 The 500X isn’t a large car, with a footprint no bigger than a mid-sized family hatchback. 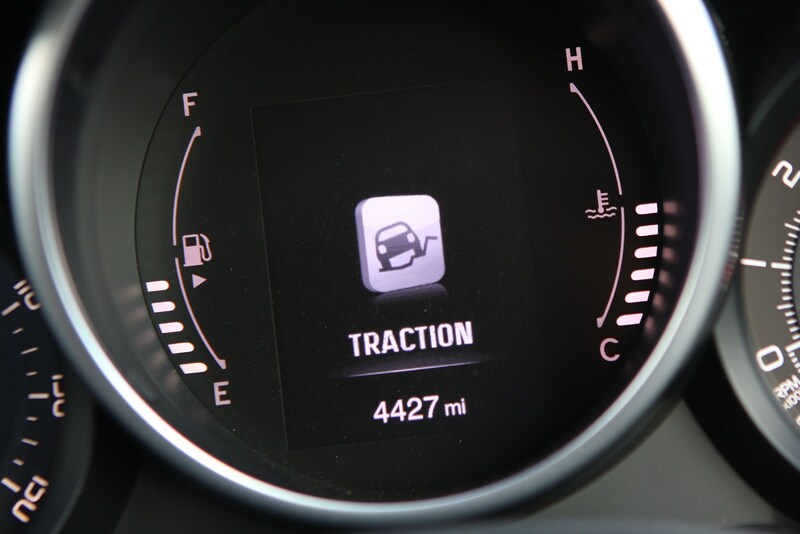 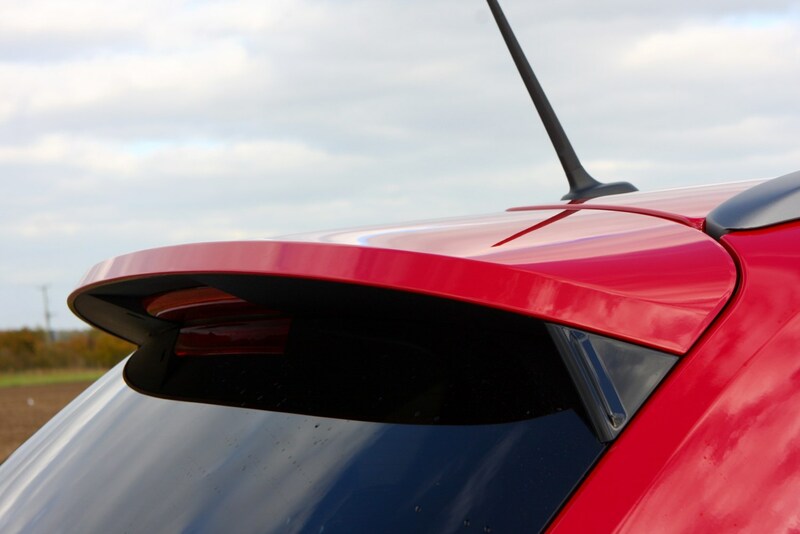 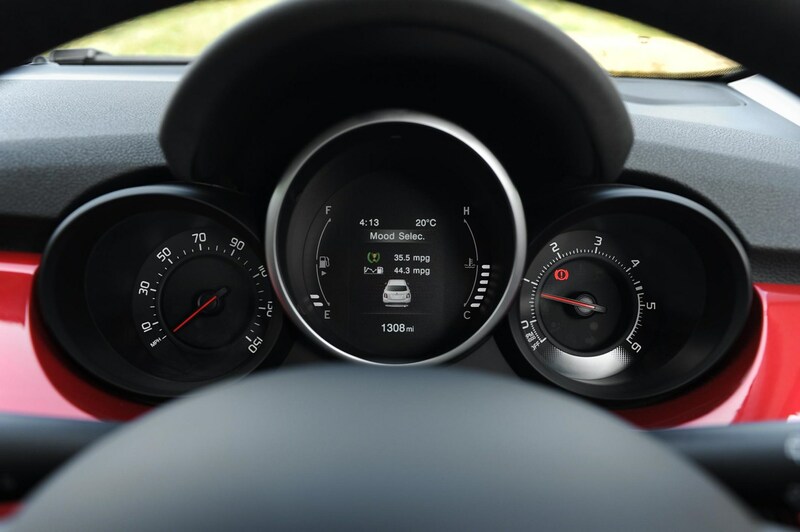 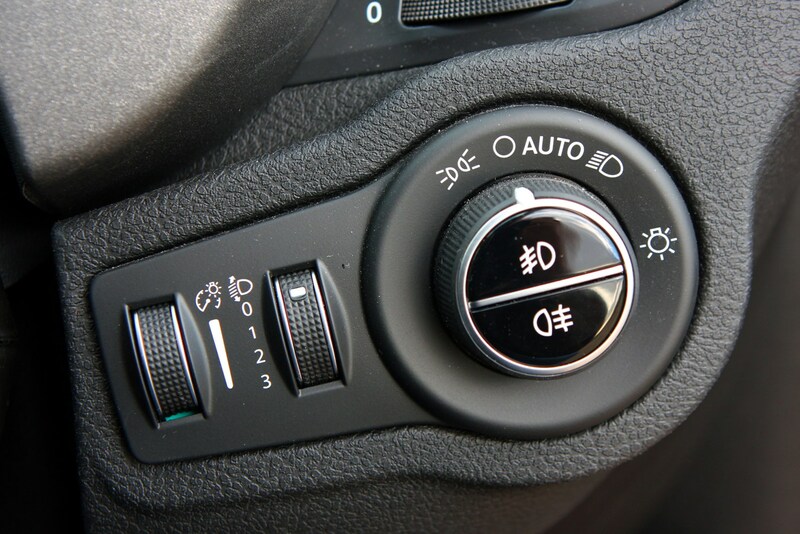 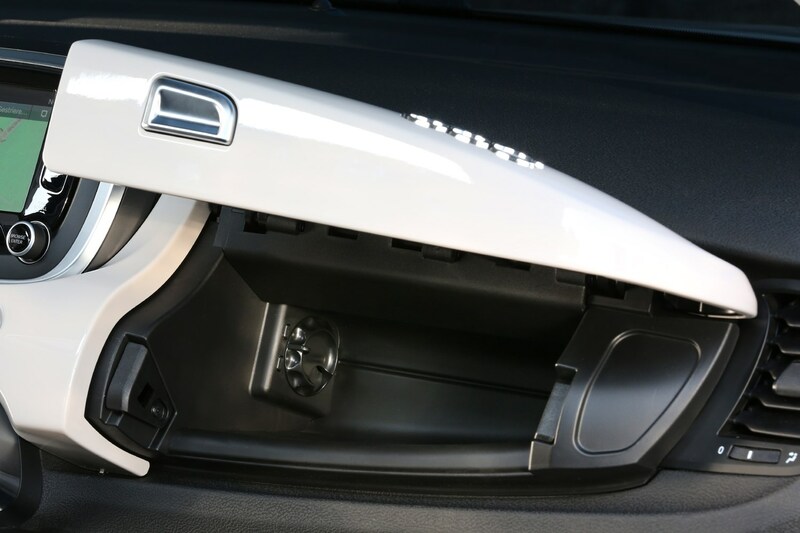 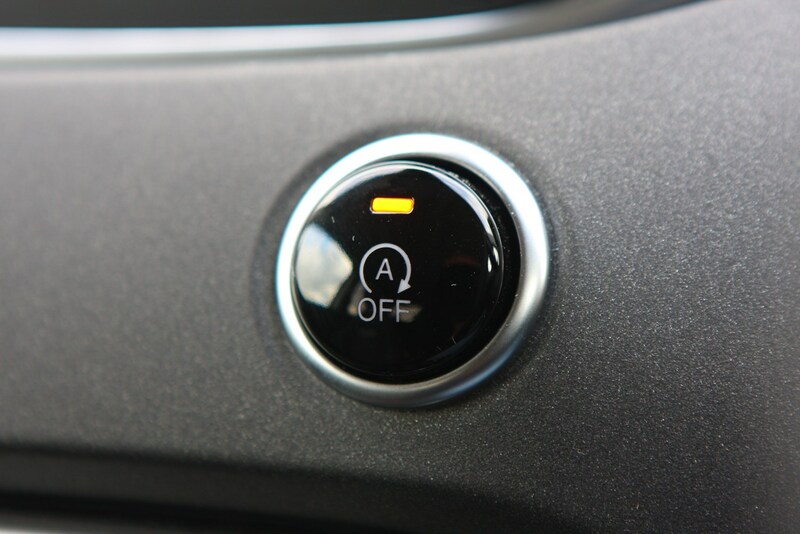 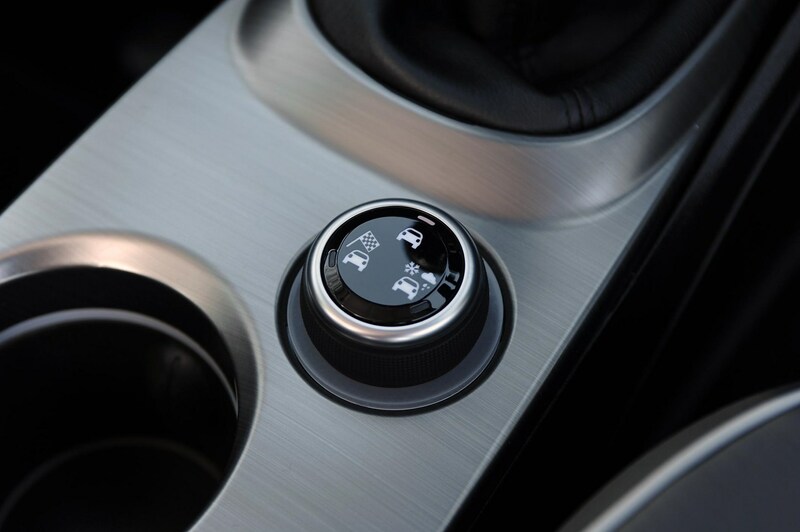 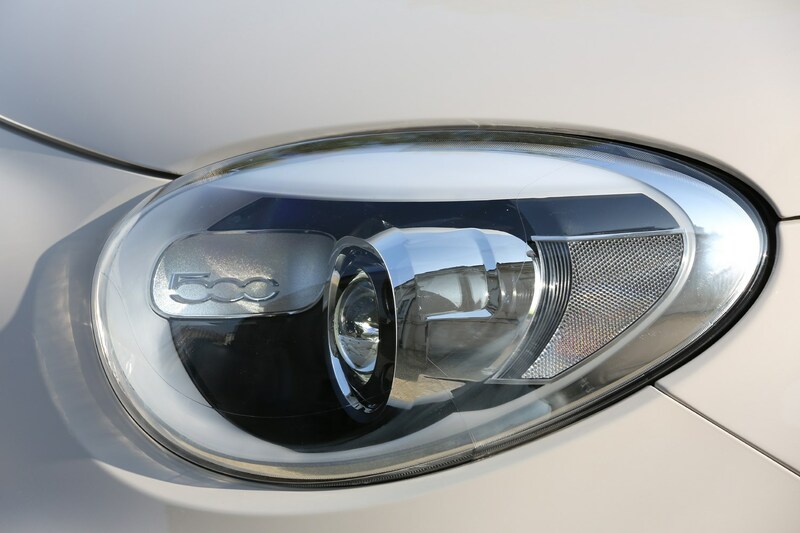 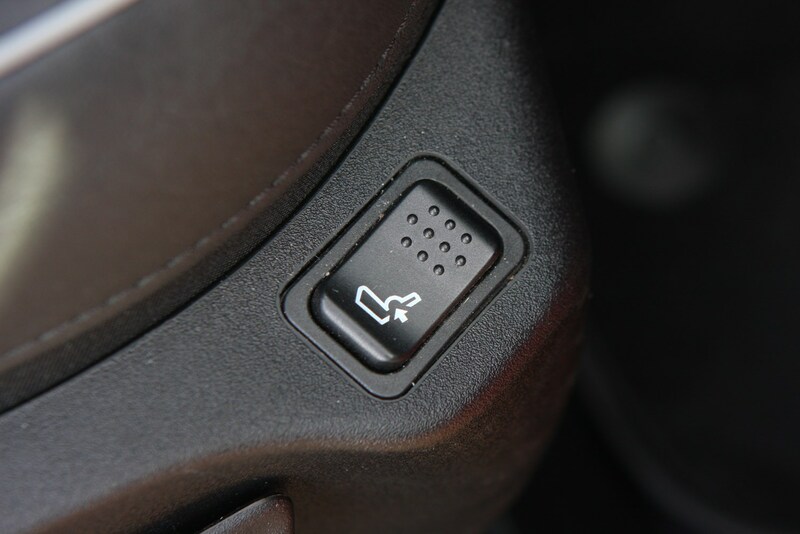 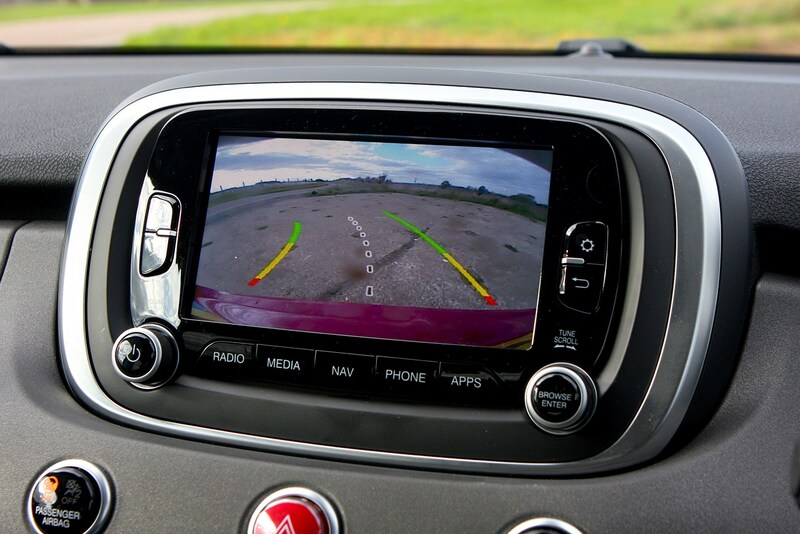 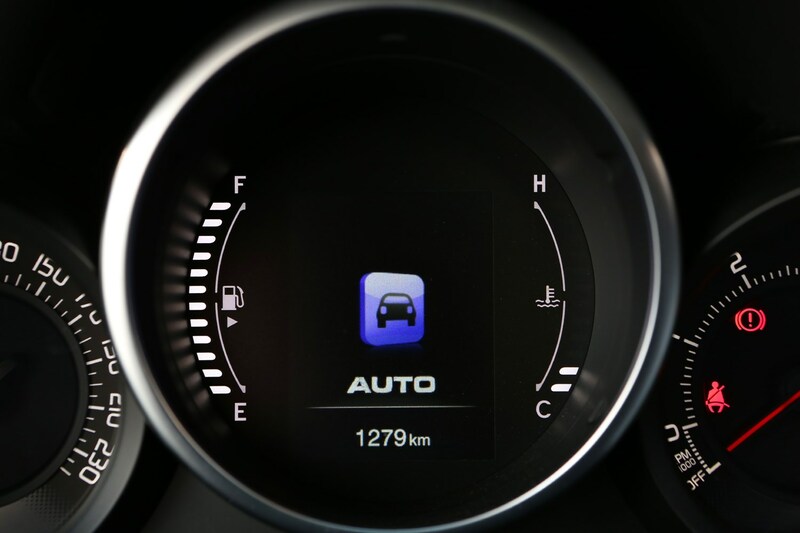 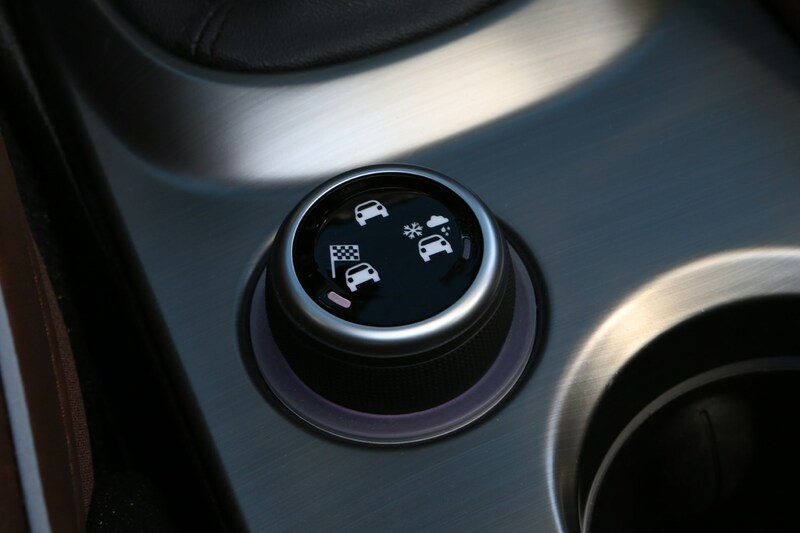 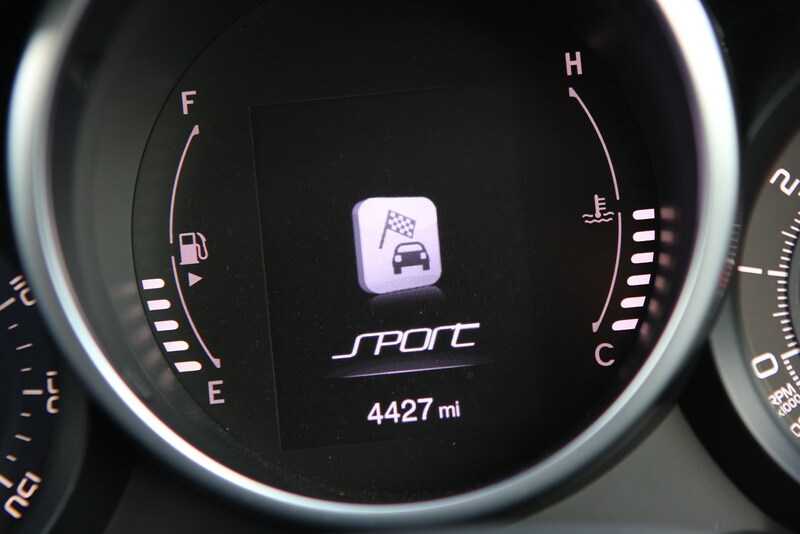 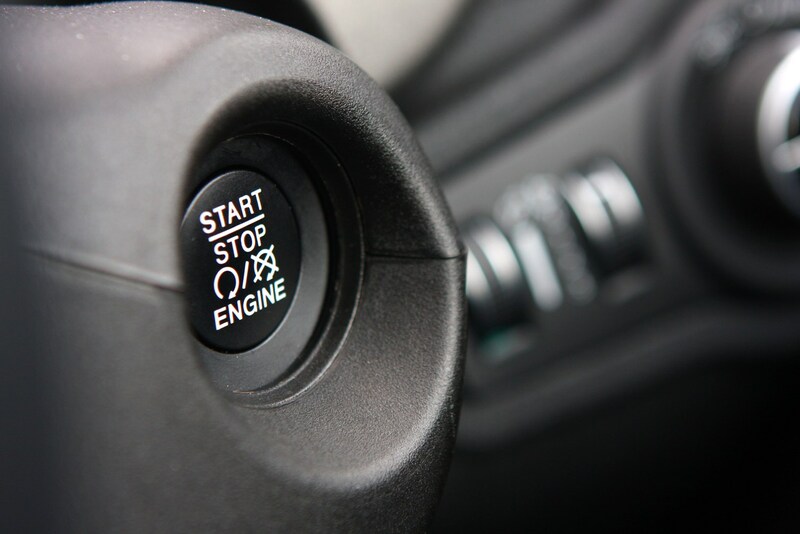 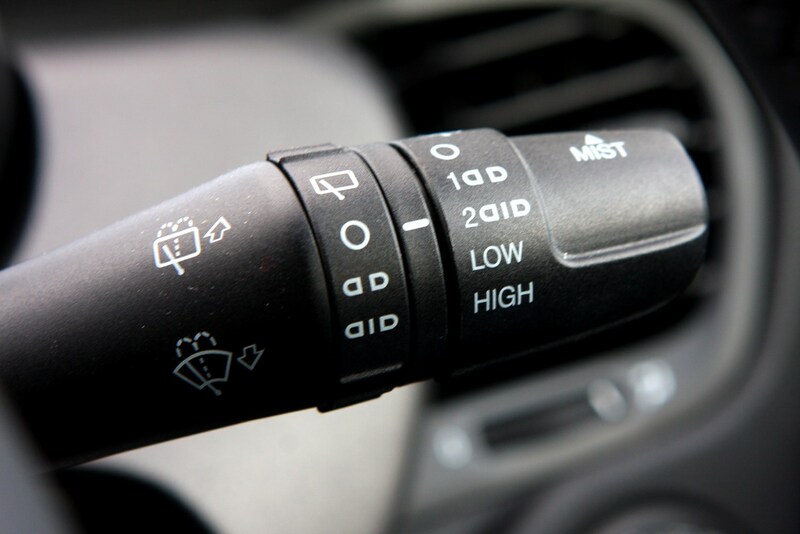 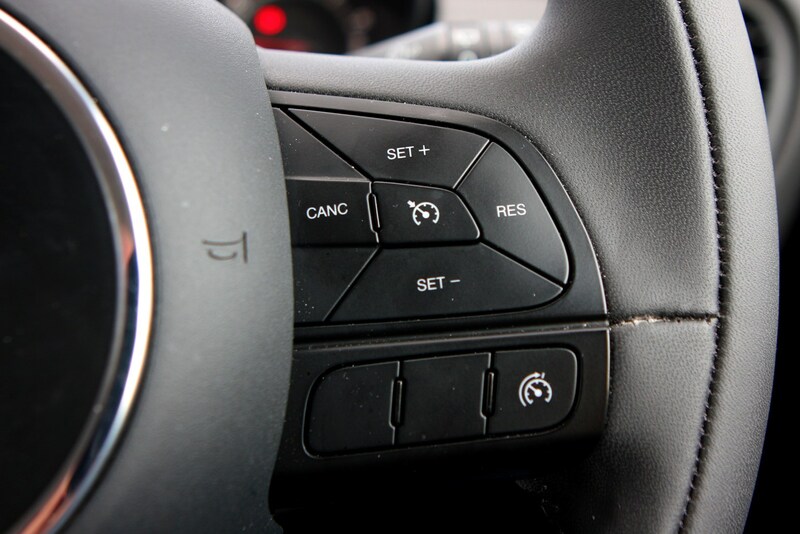 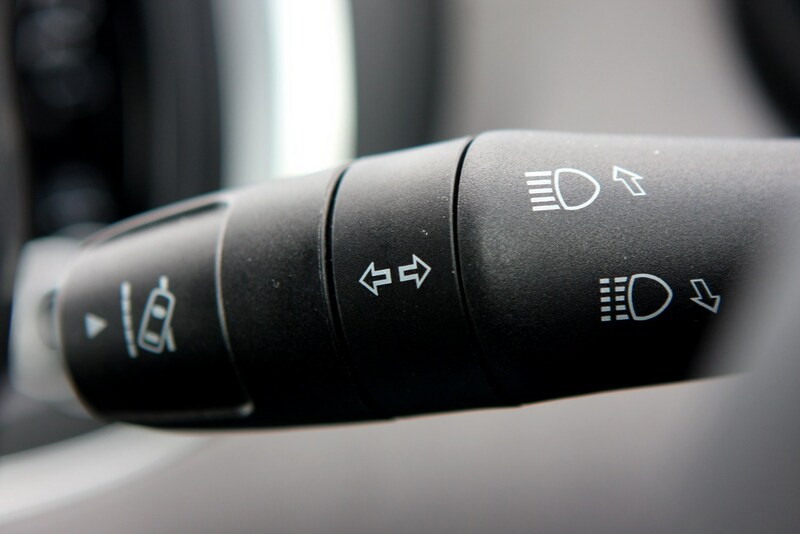 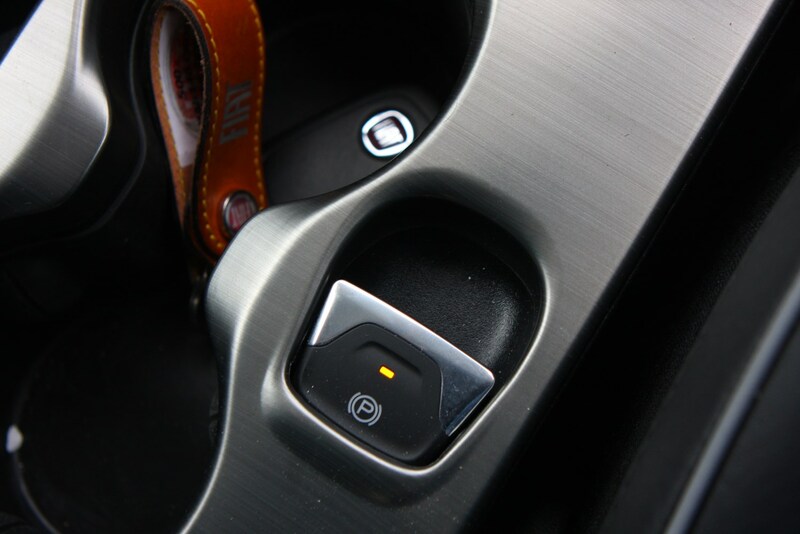 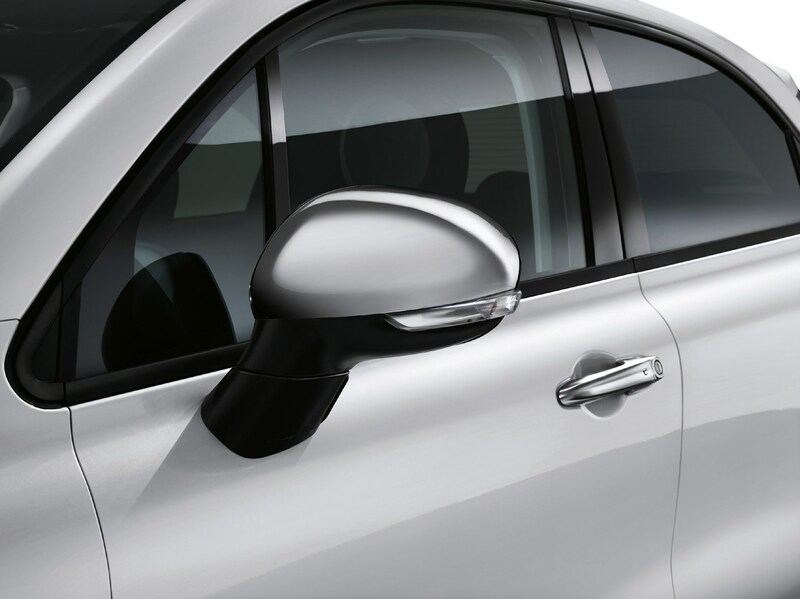 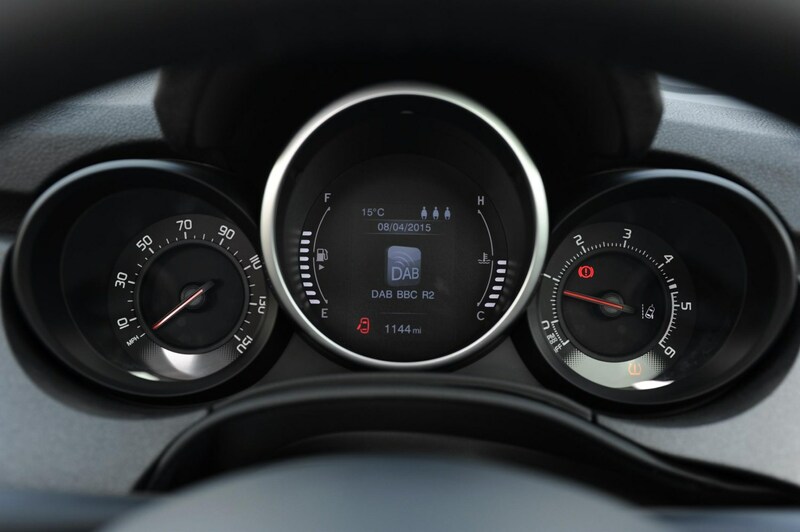 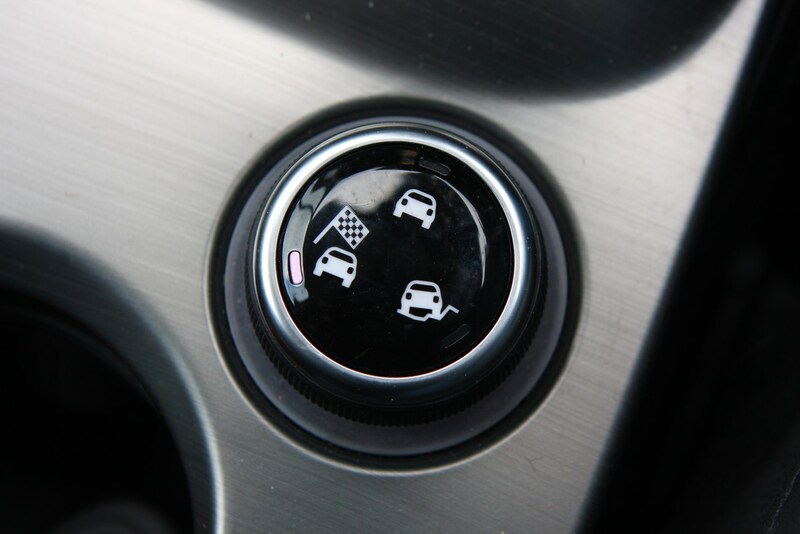 Its high driving position means excellent visibility, while higher trim levels get acoustic parking sensors to help work out how close objects are around the car. 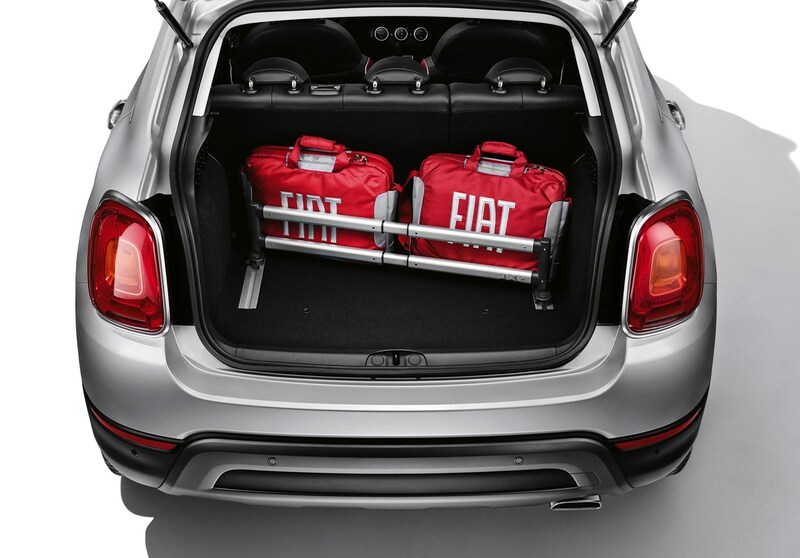 The boot is a fair size with 350 litres available, the same as the MINI Countryman that was on sale at the time (the latest Countryman has a 450-litre boot), which is easily big enough for the weekly shop or a couple of medium sized suitcases. 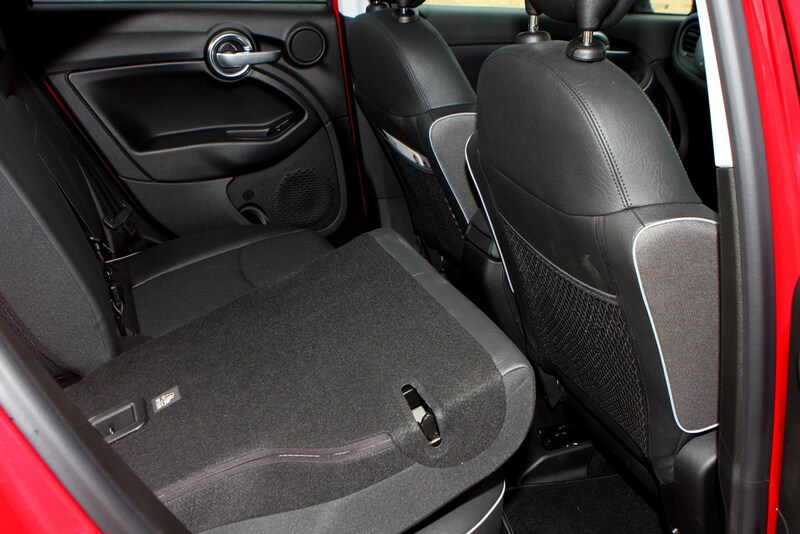 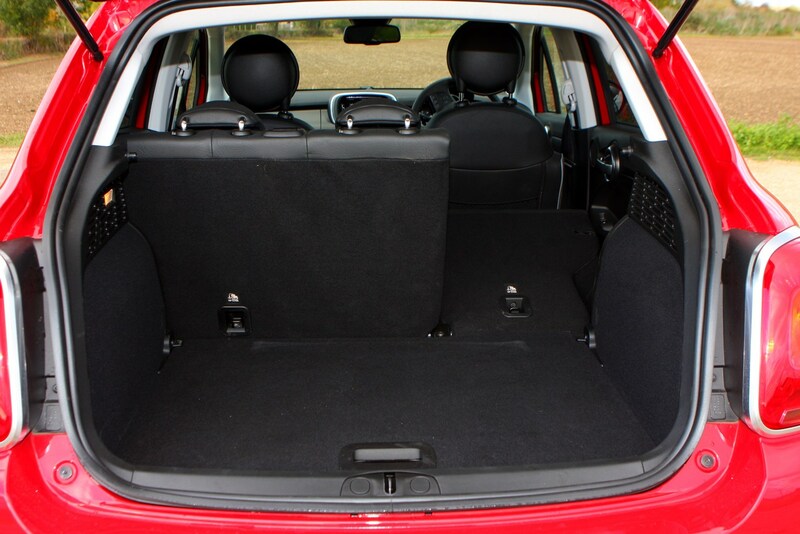 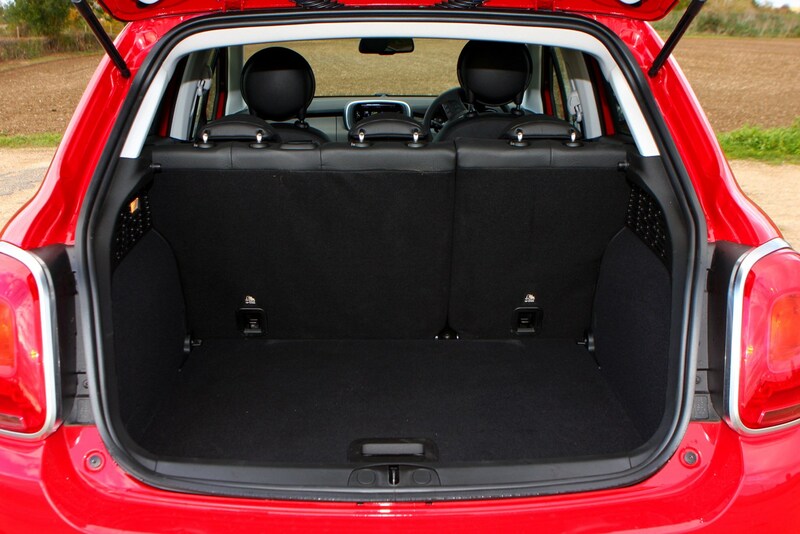 The rear seats fold down easily too in a 60:40 format expanding boot volume to 1,000 litres. 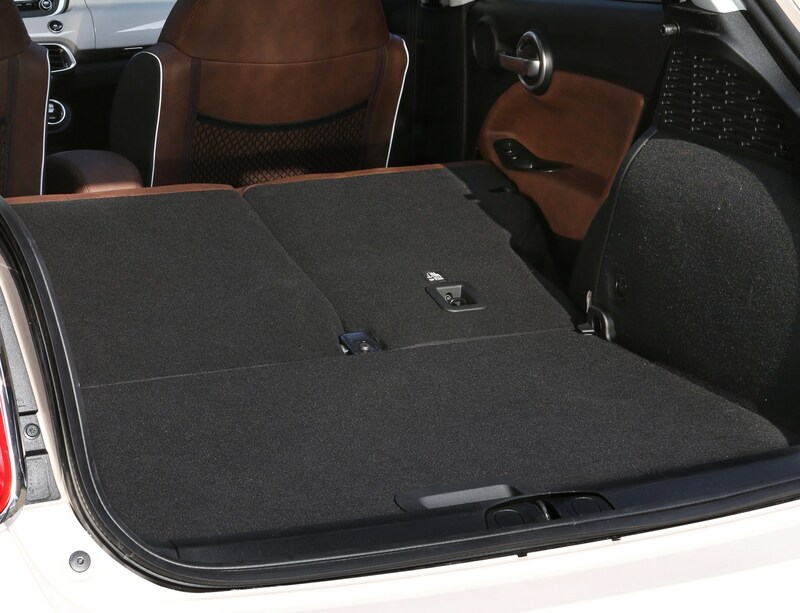 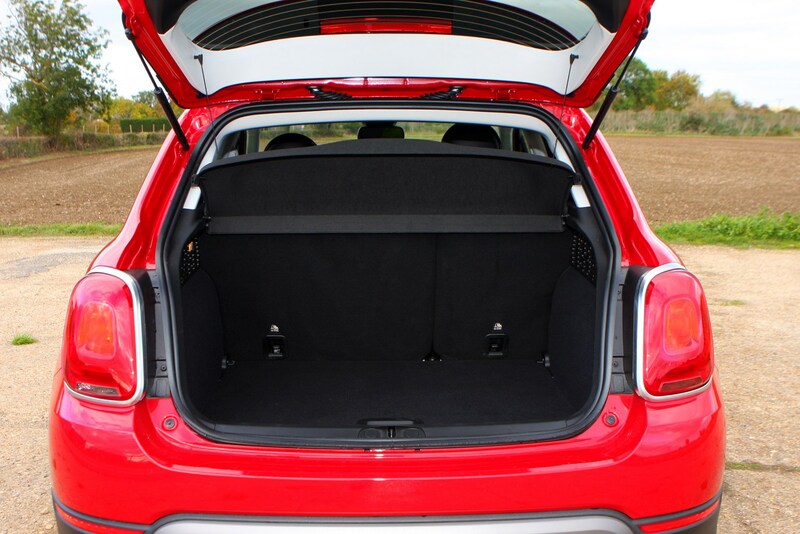 There is an optional split floor for the boot which is reversible and height-adjustable, meaning you can securely store your more valuable items while on the move. 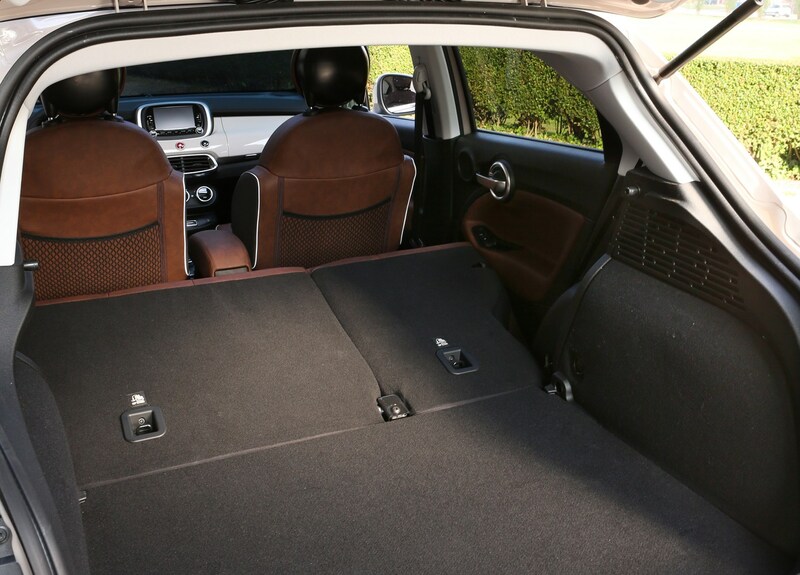 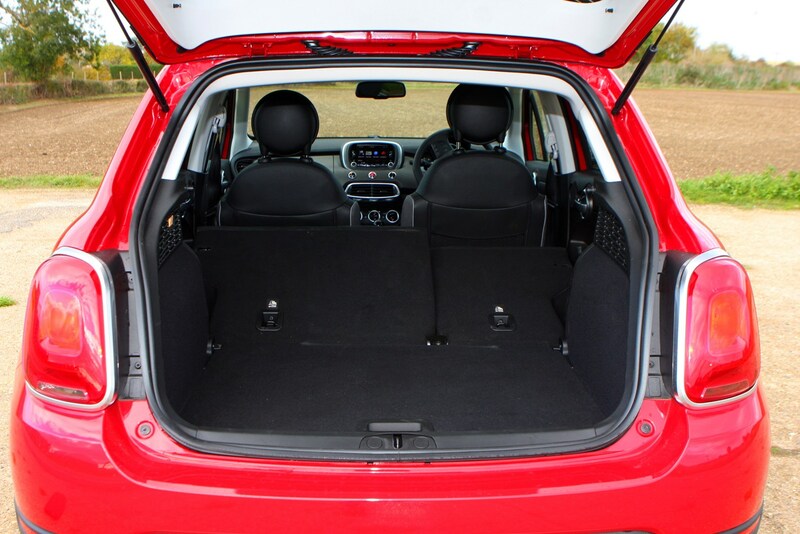 Check the table below to see how the Fiat 500X compares to other similar cars in terms of available boot space.